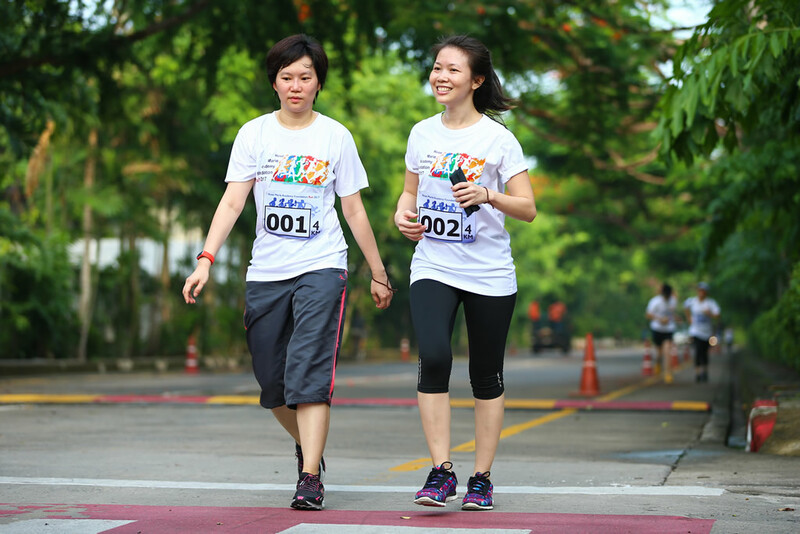 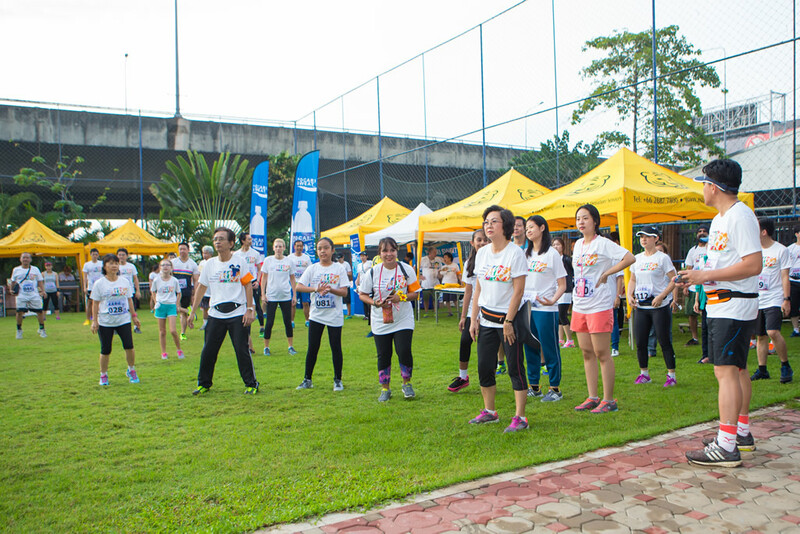 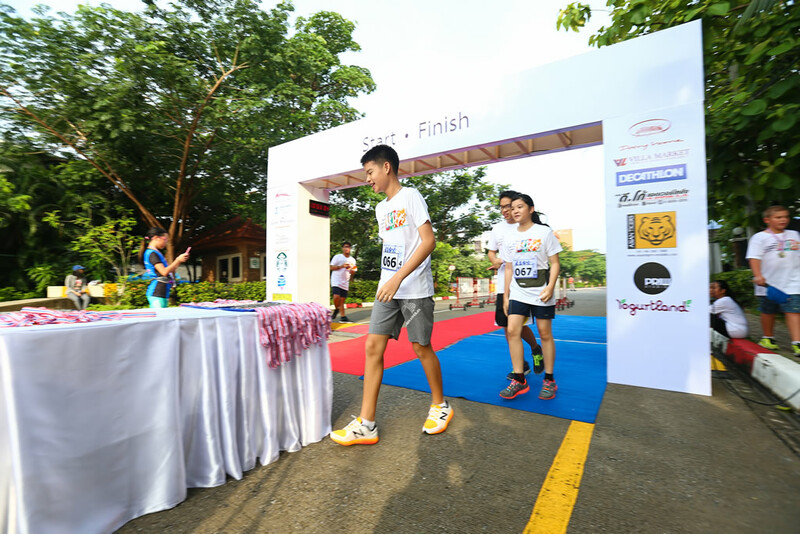 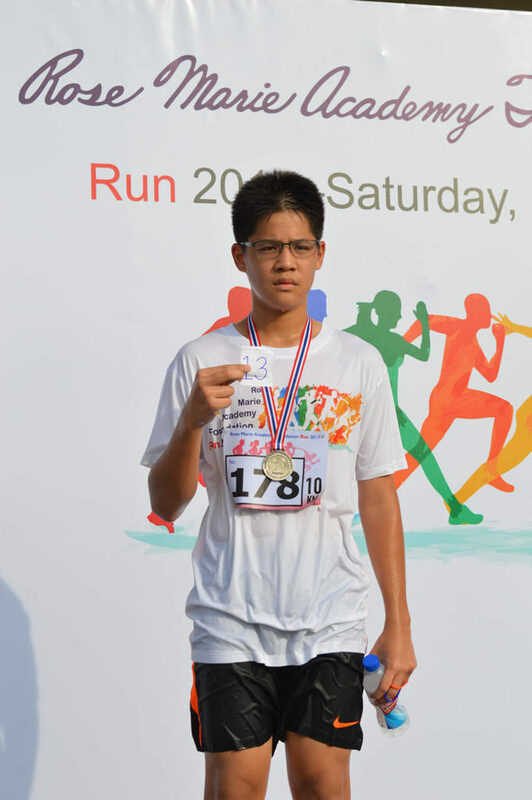 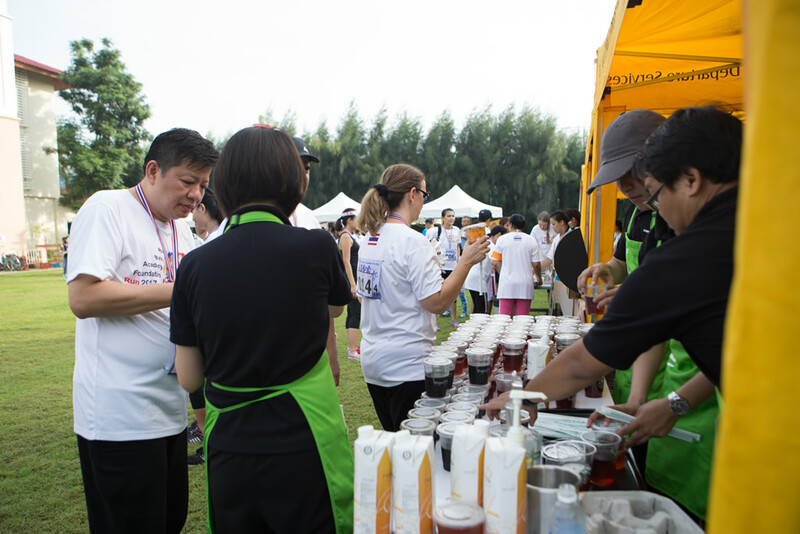 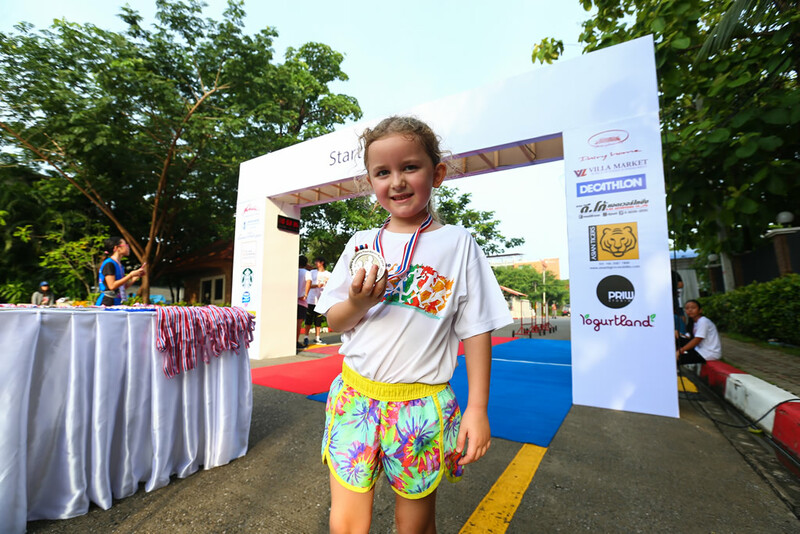 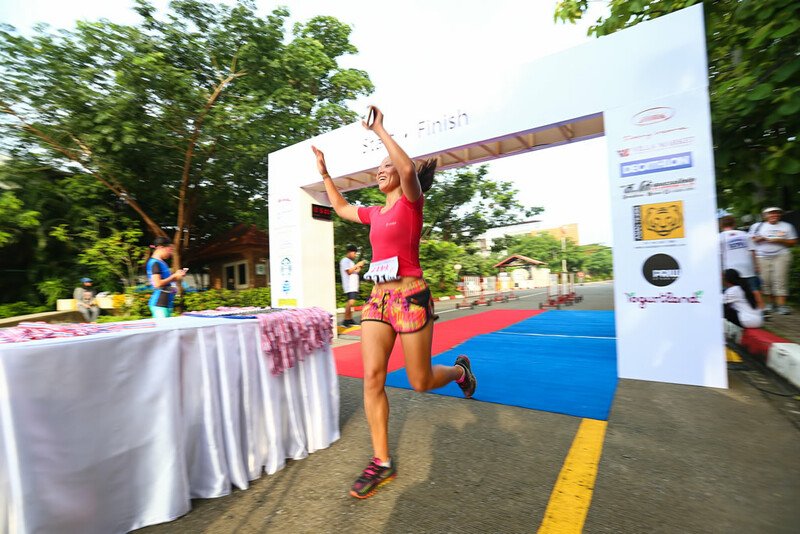 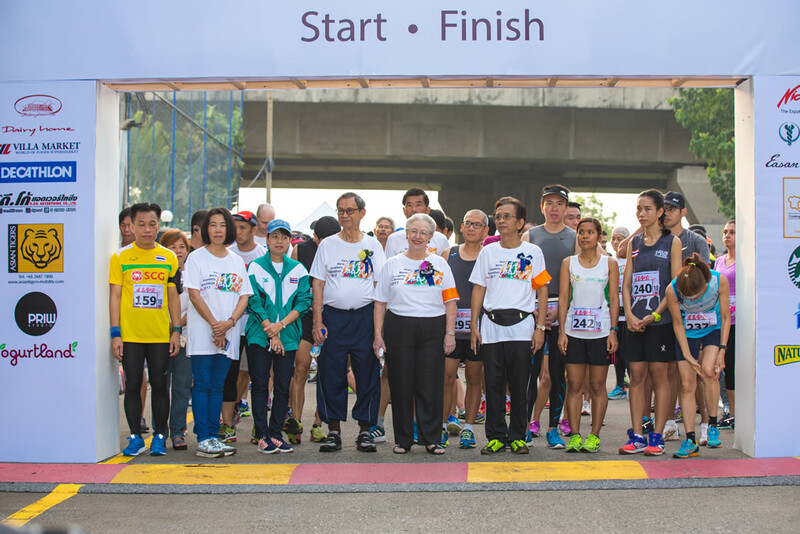 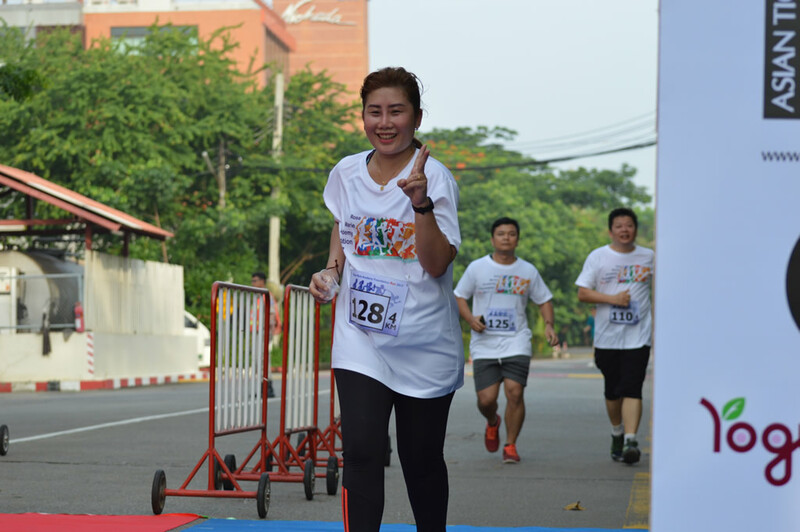 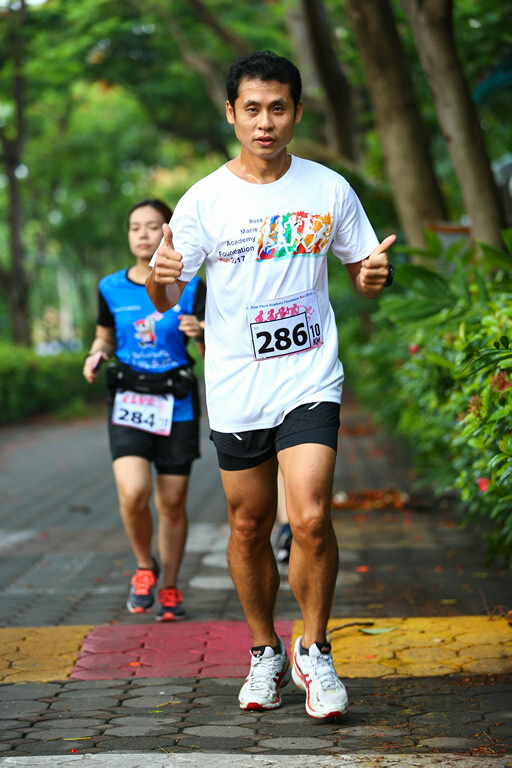 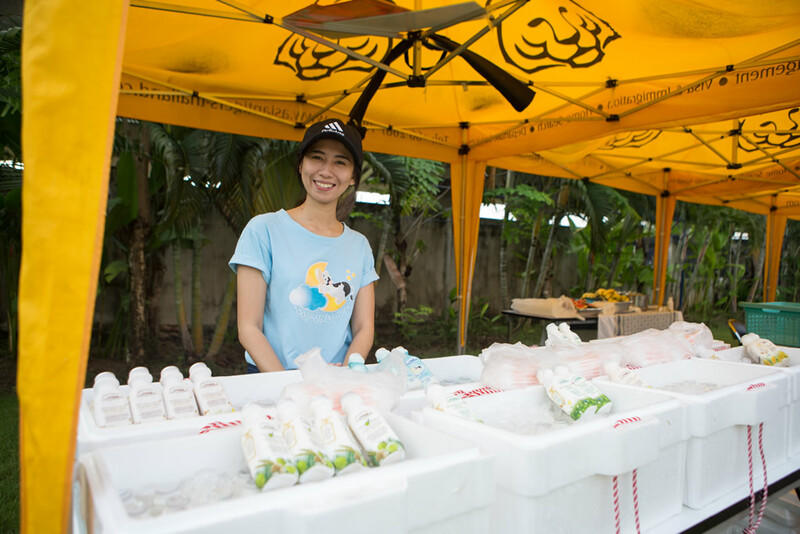 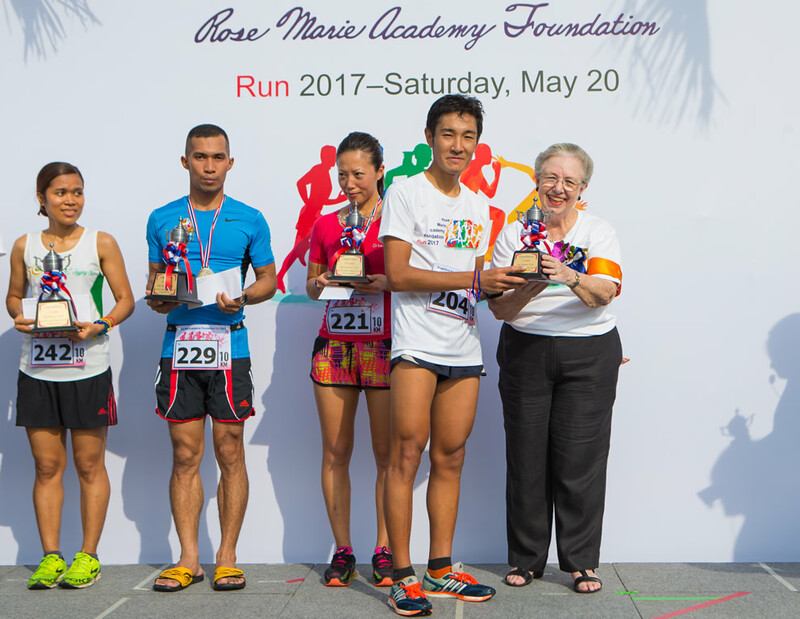 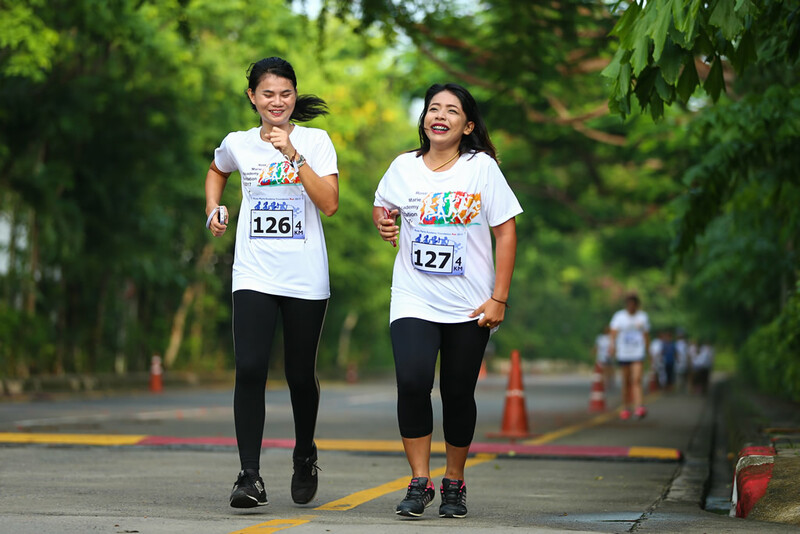 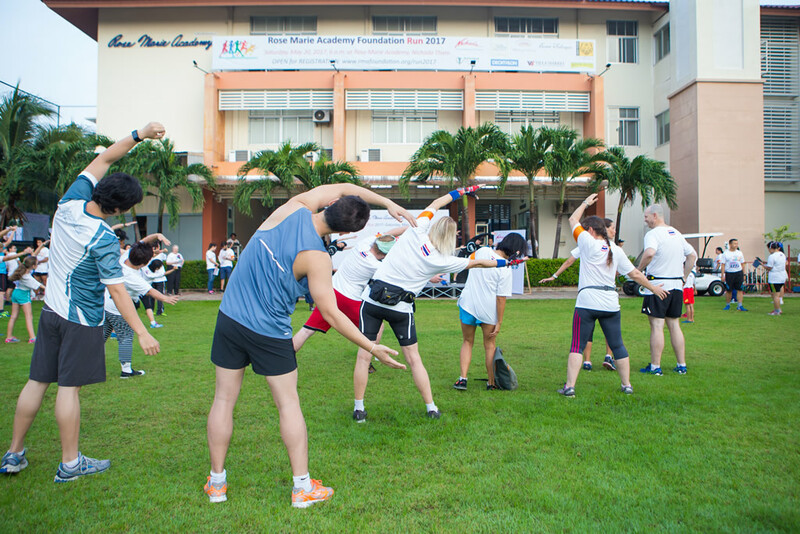 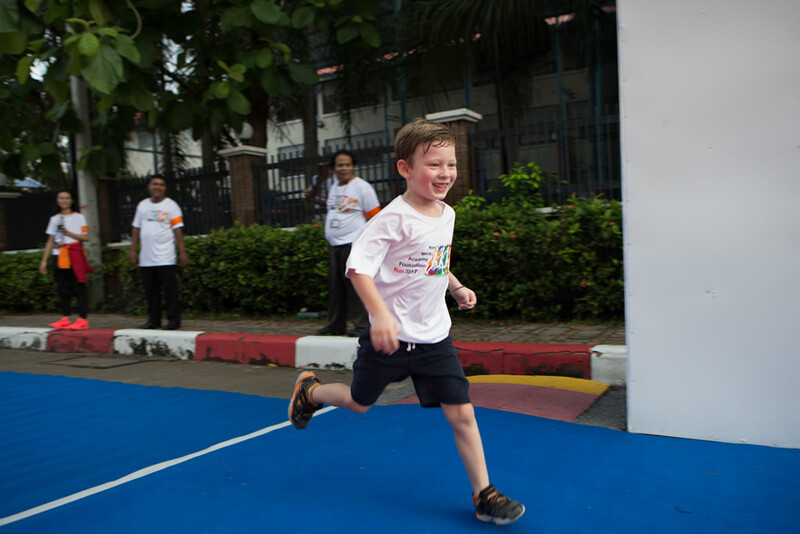 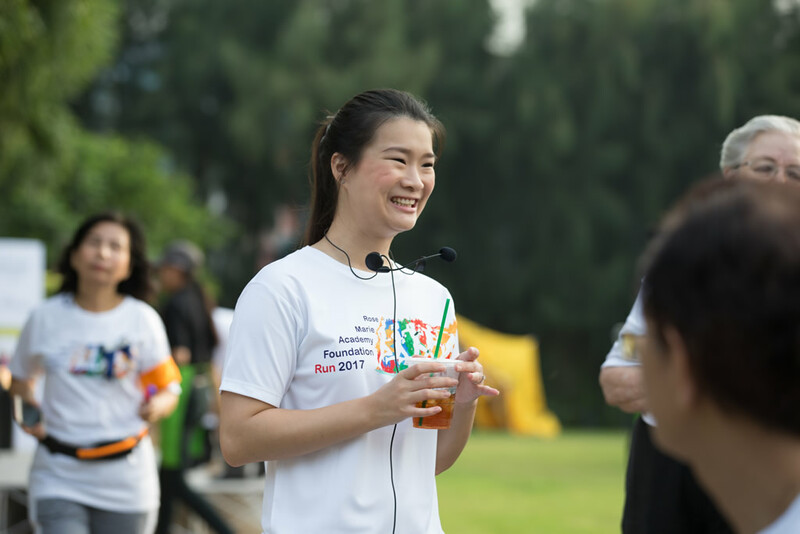 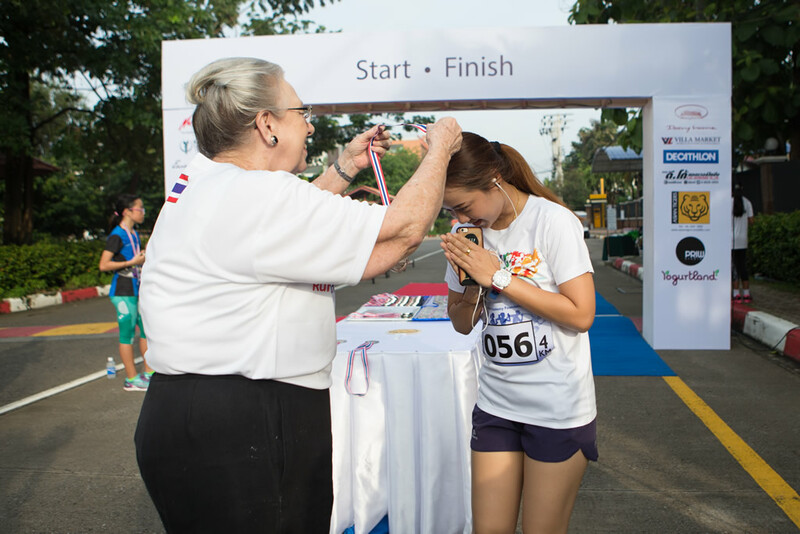 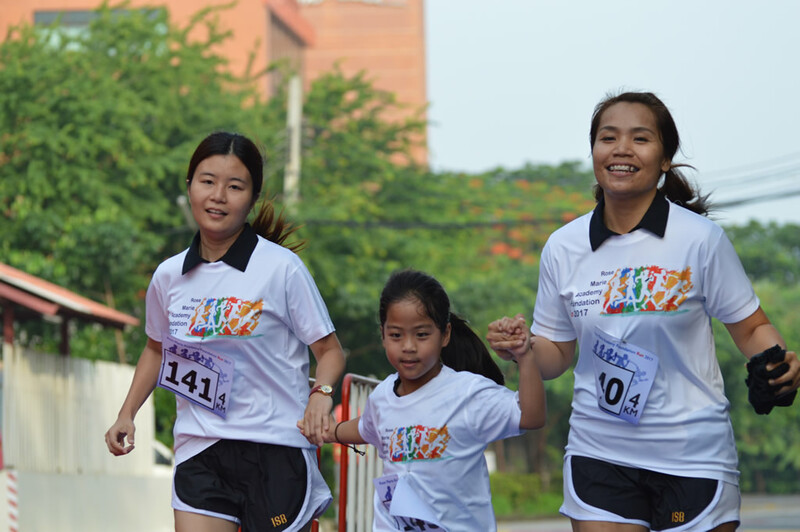 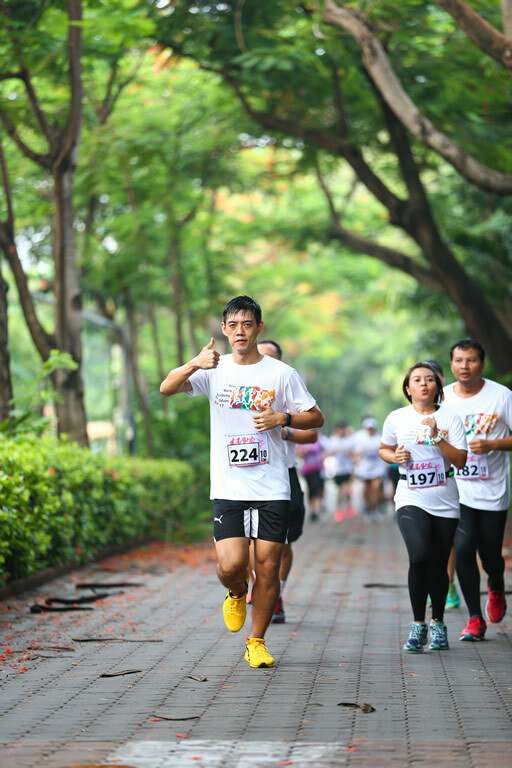 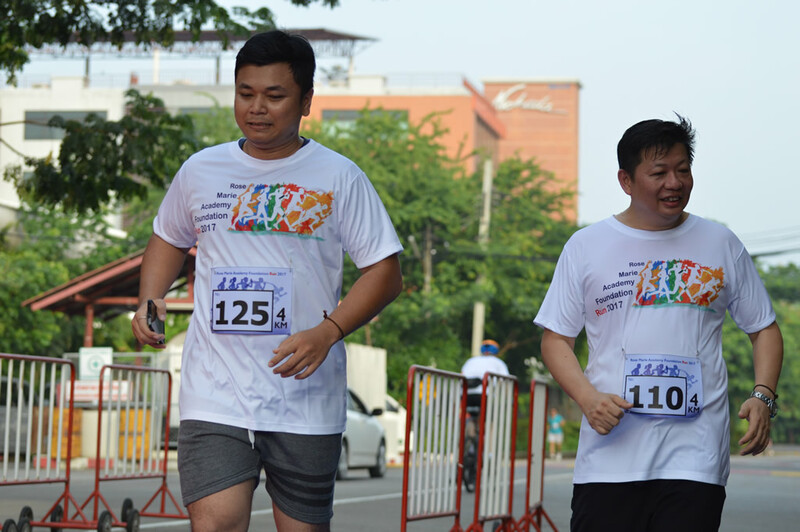 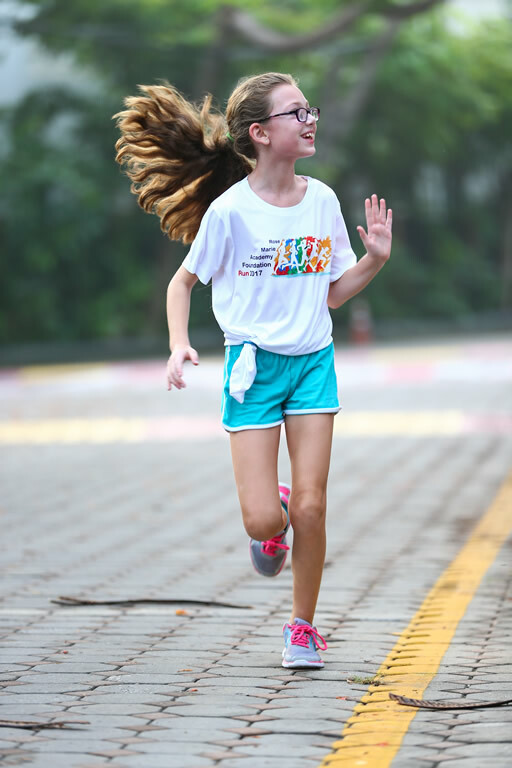 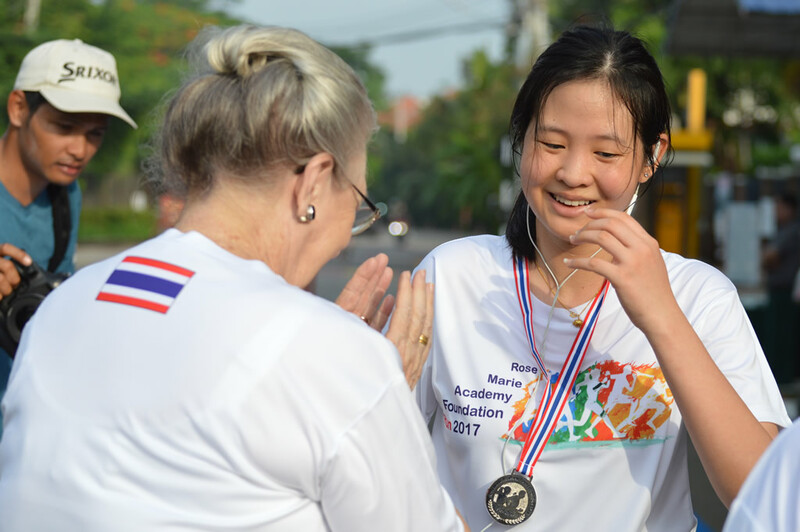 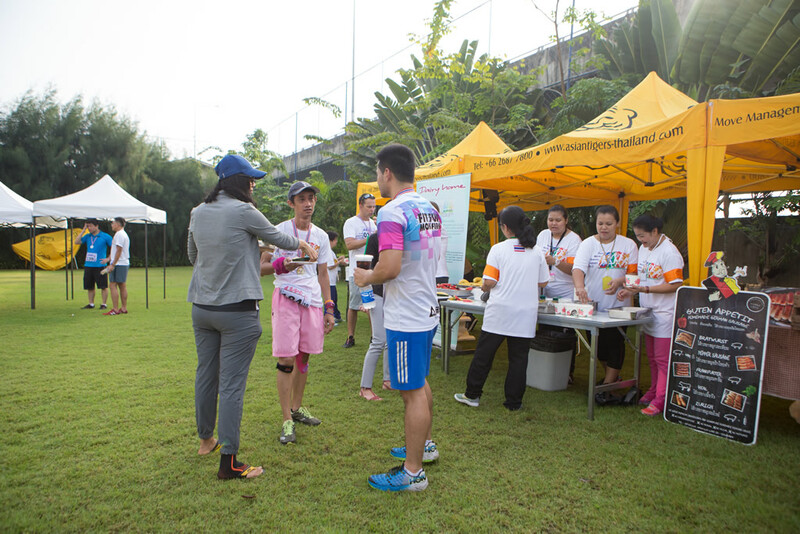 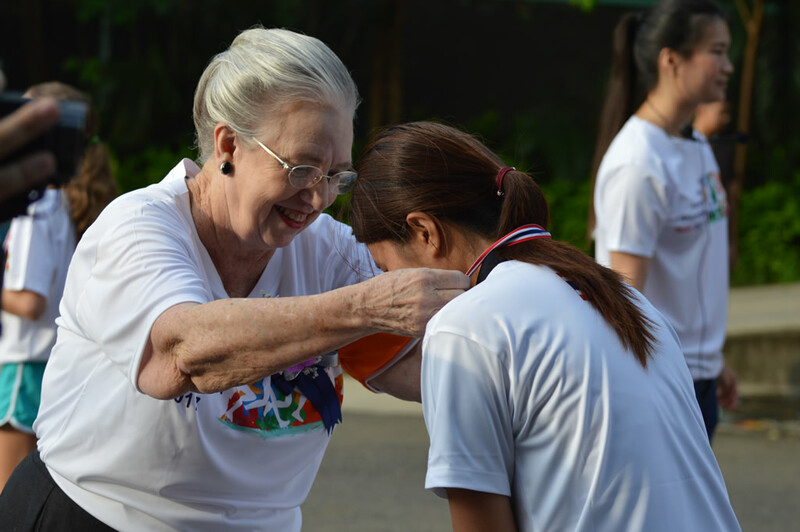 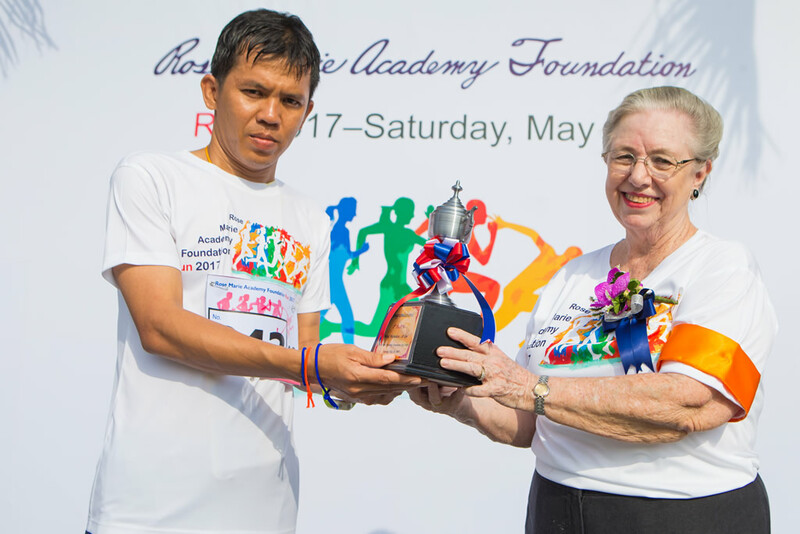 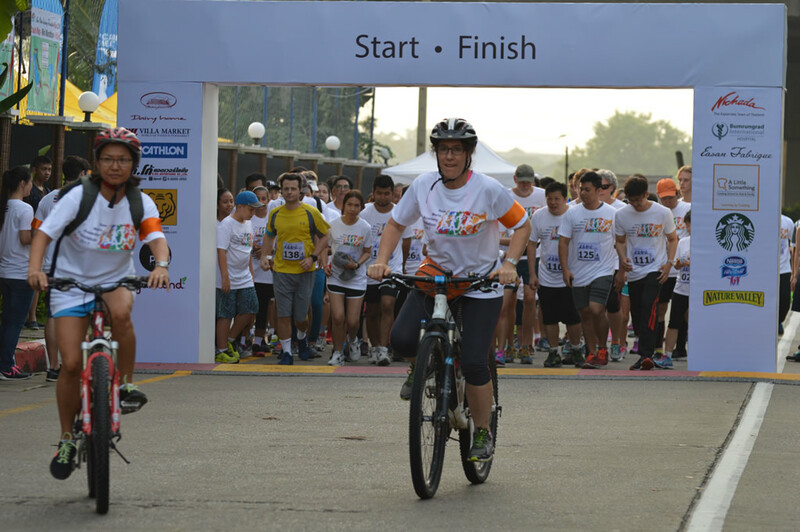 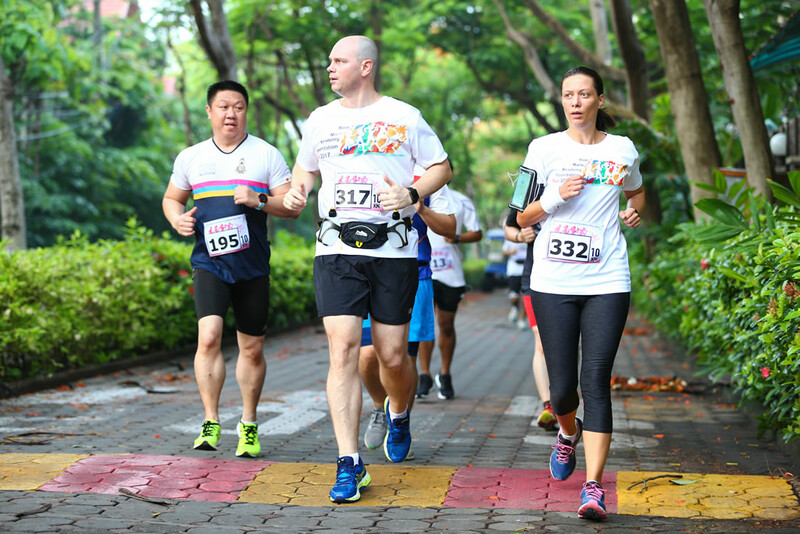 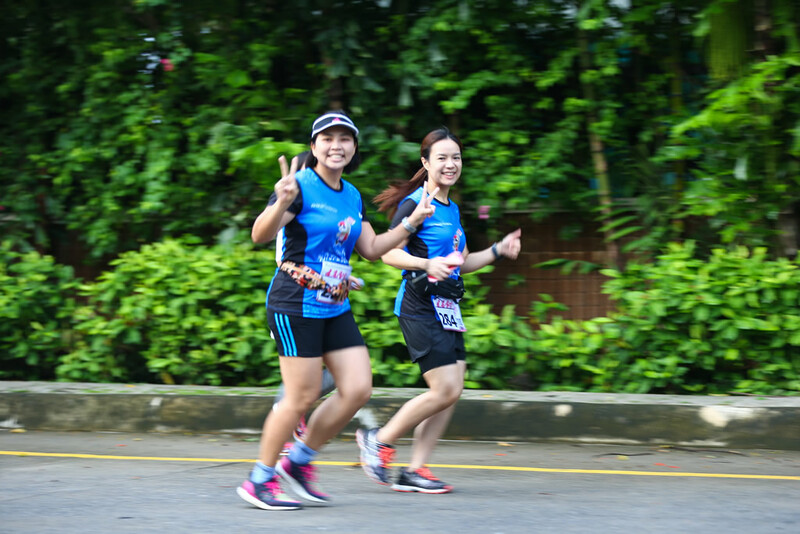 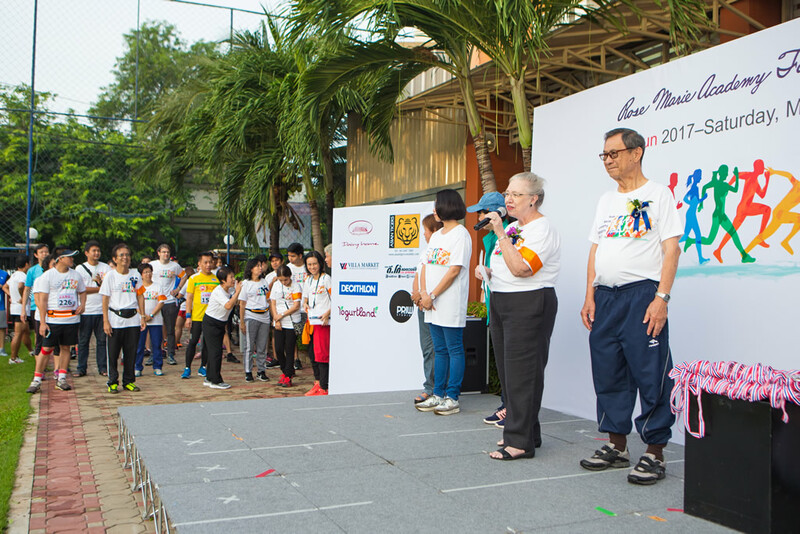 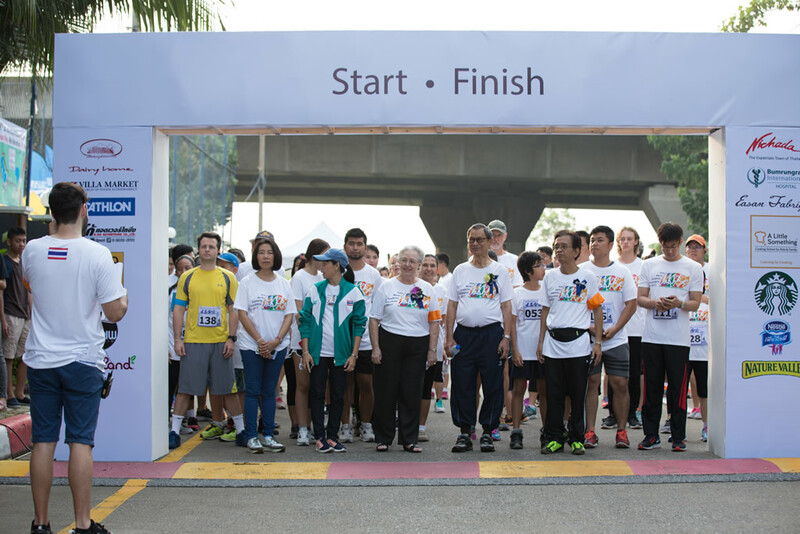 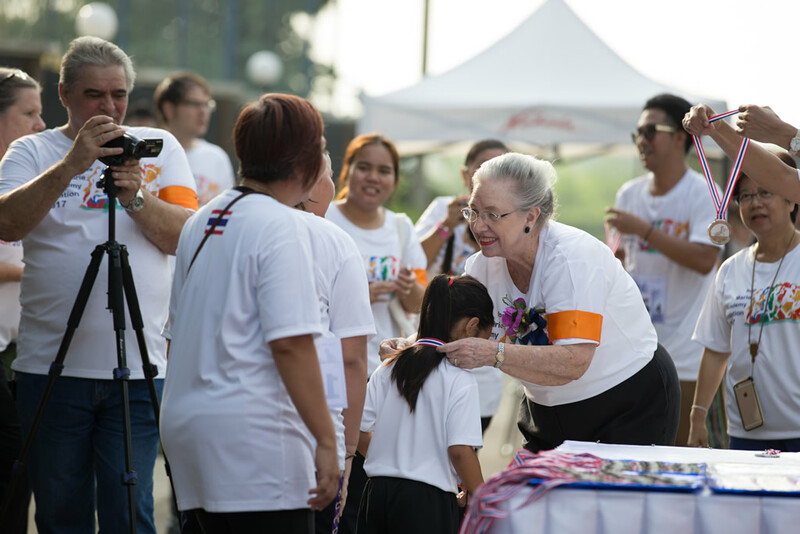 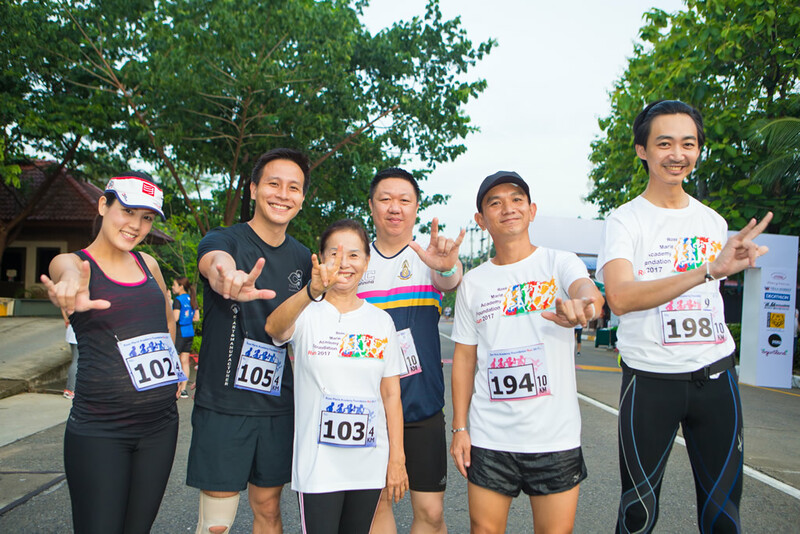 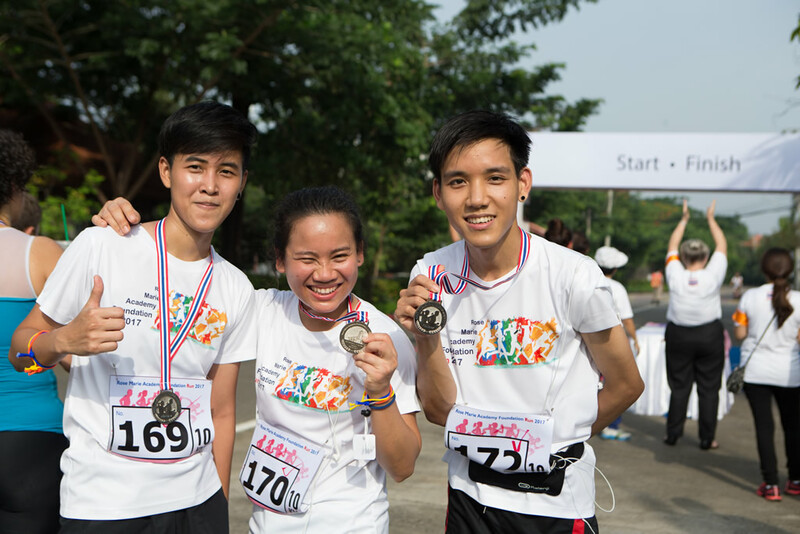 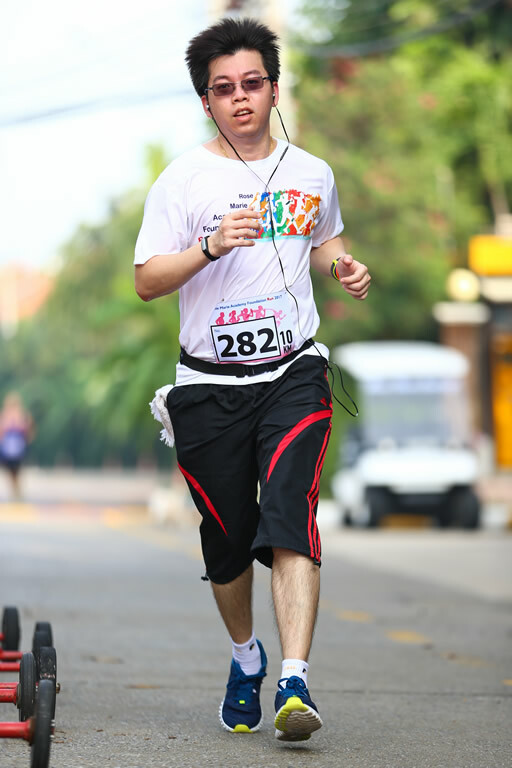 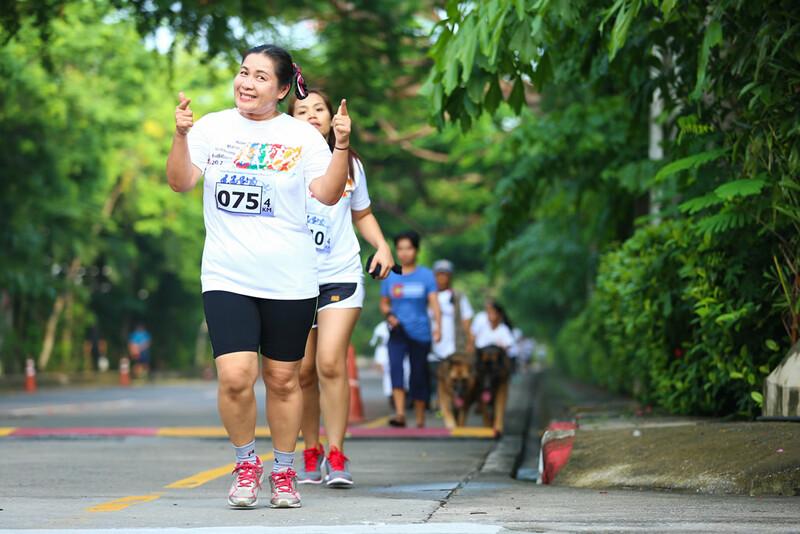 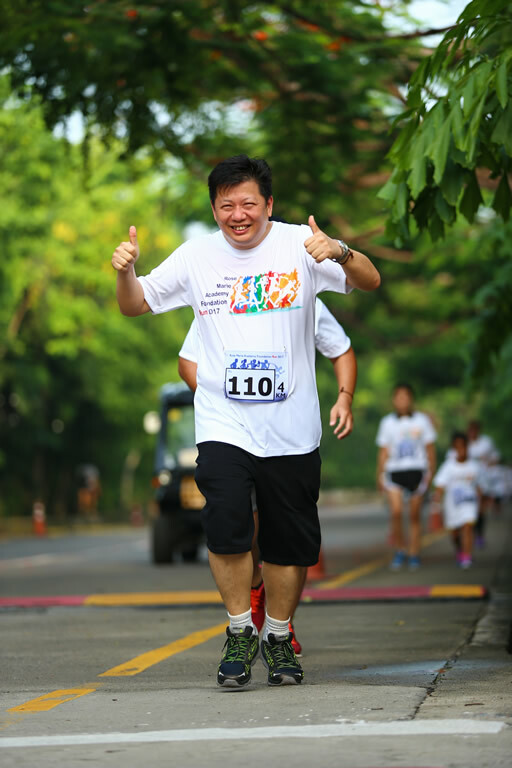 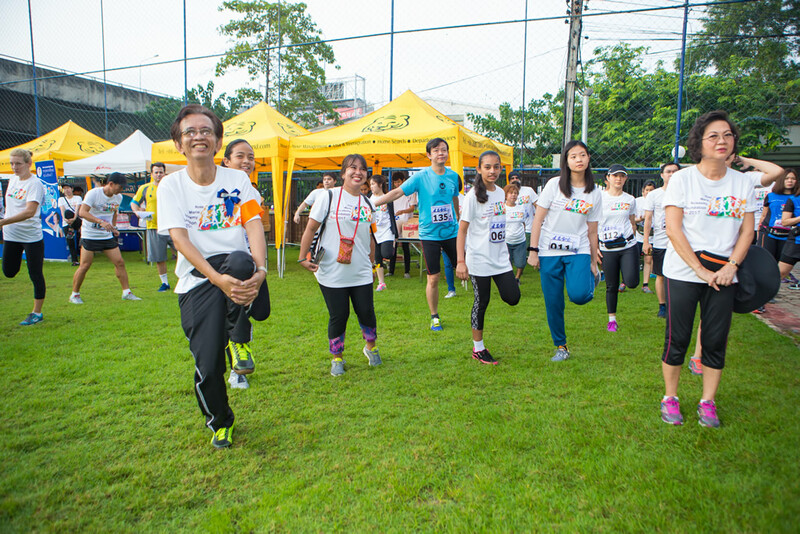 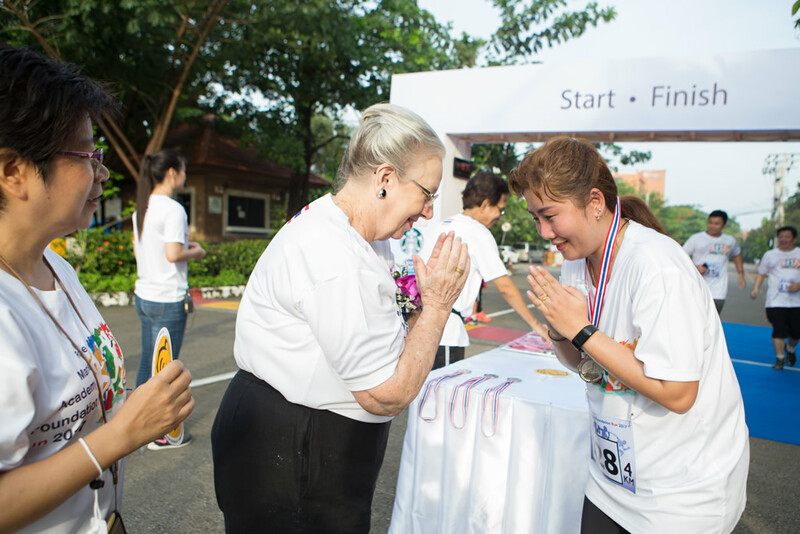 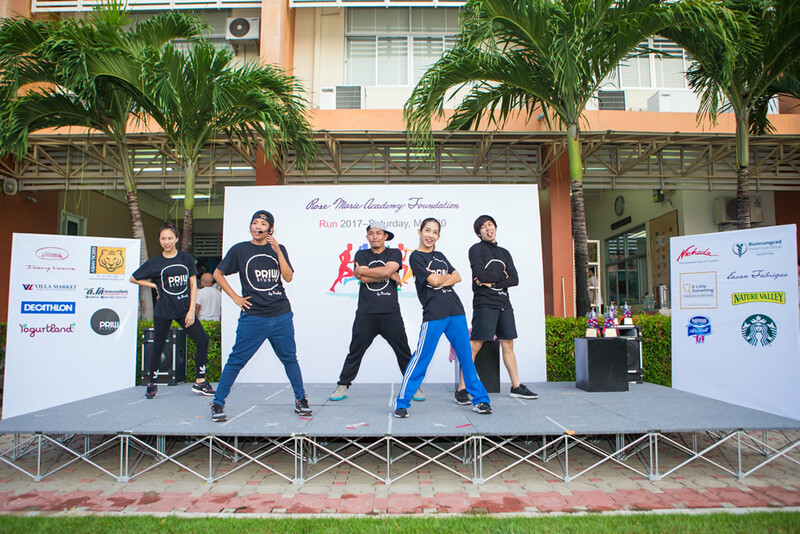 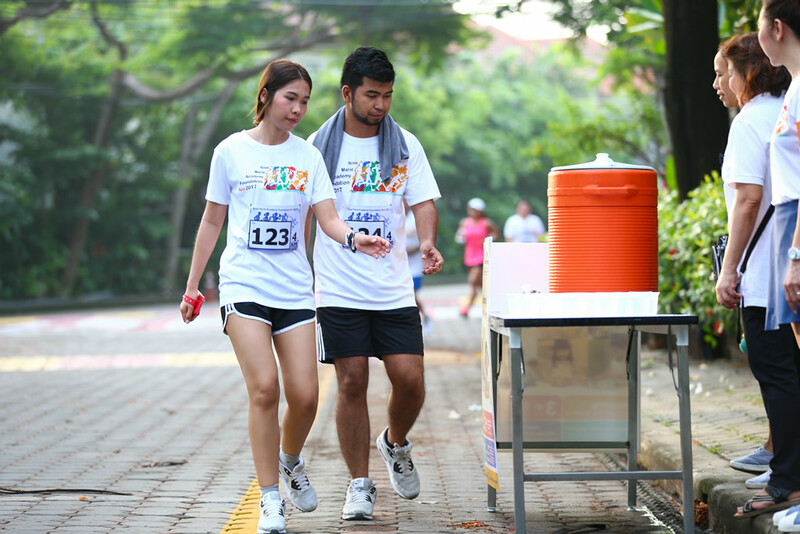 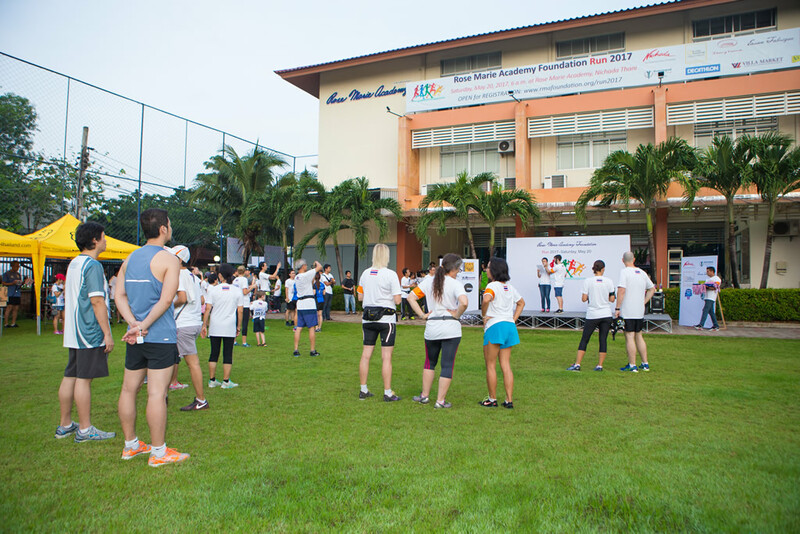 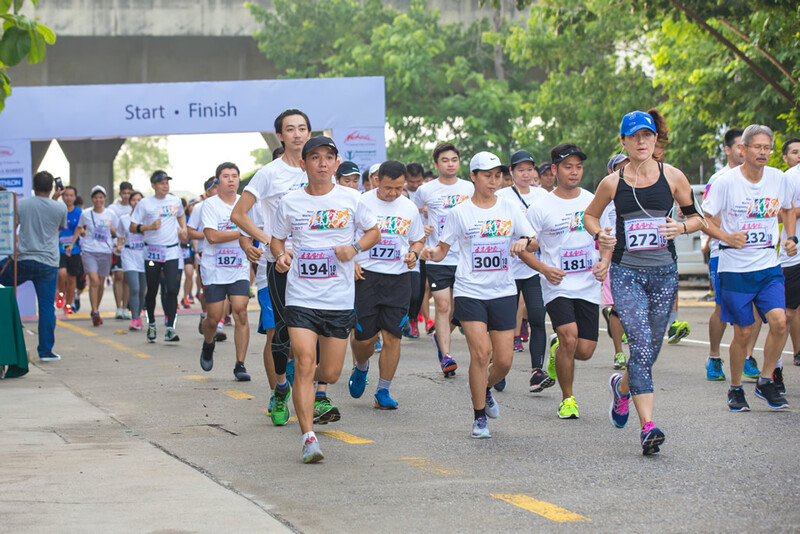 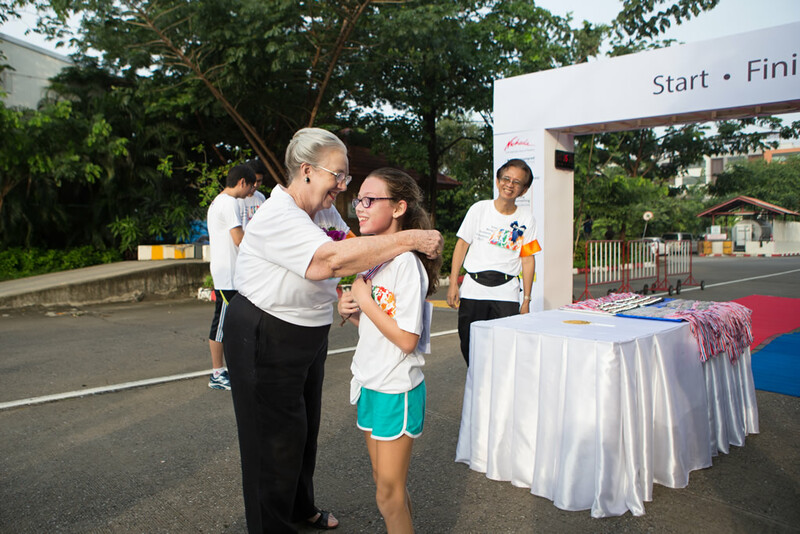 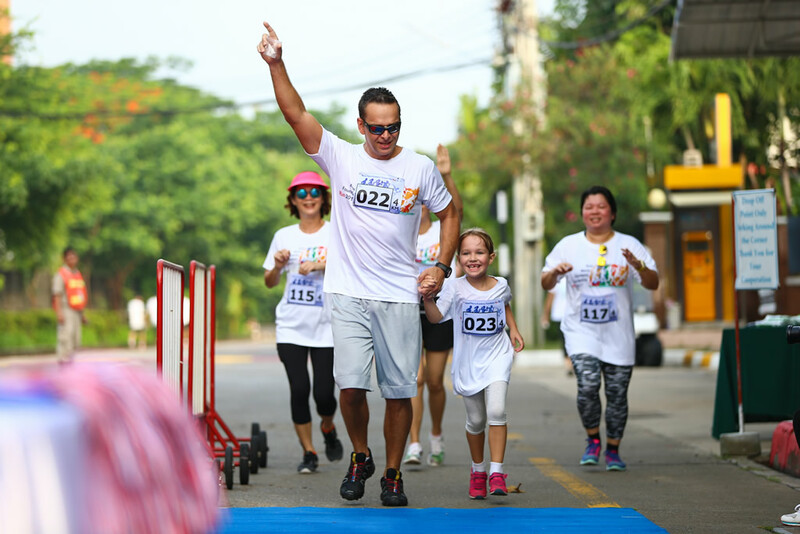 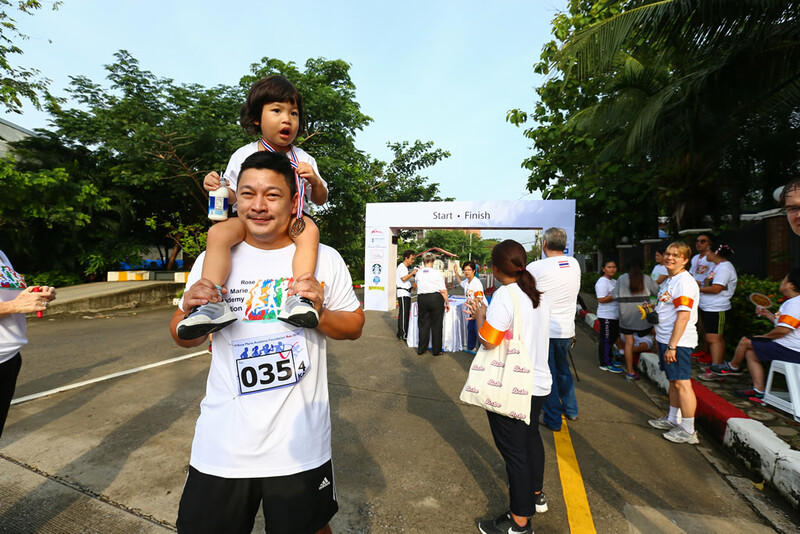 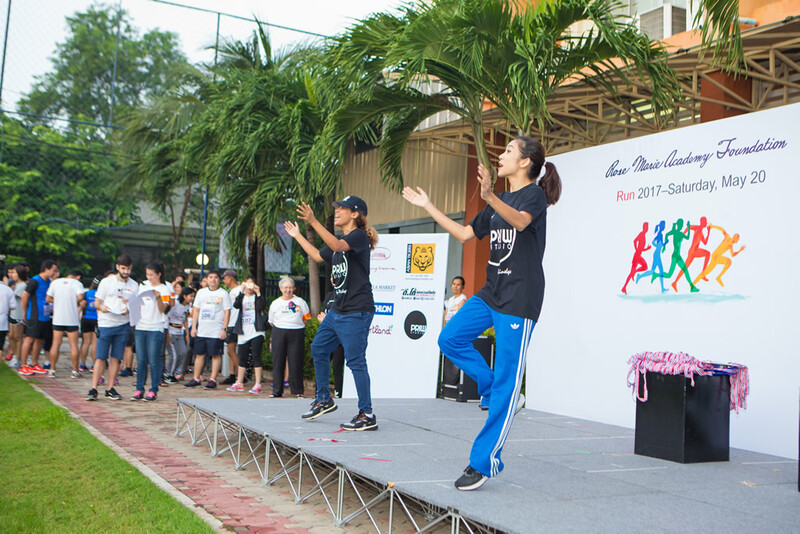 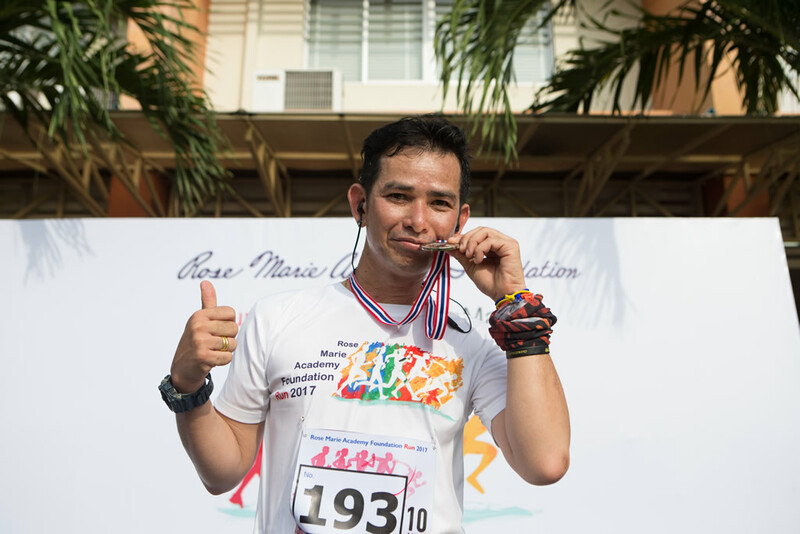 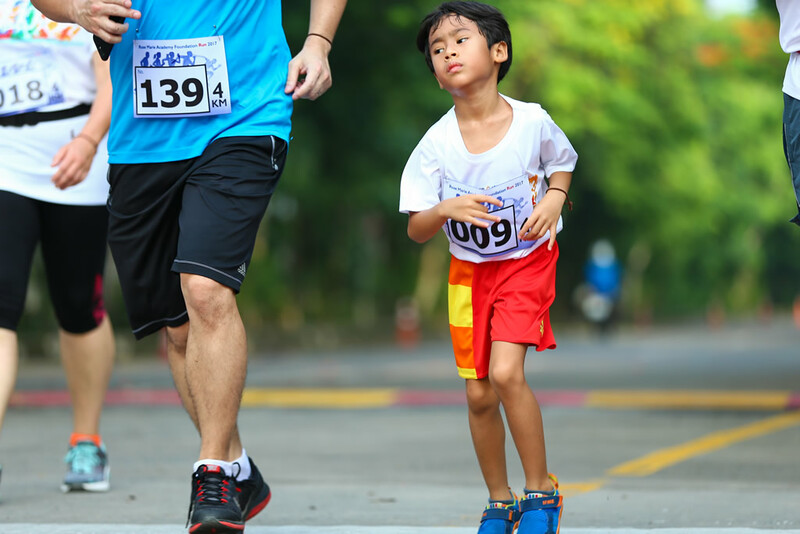 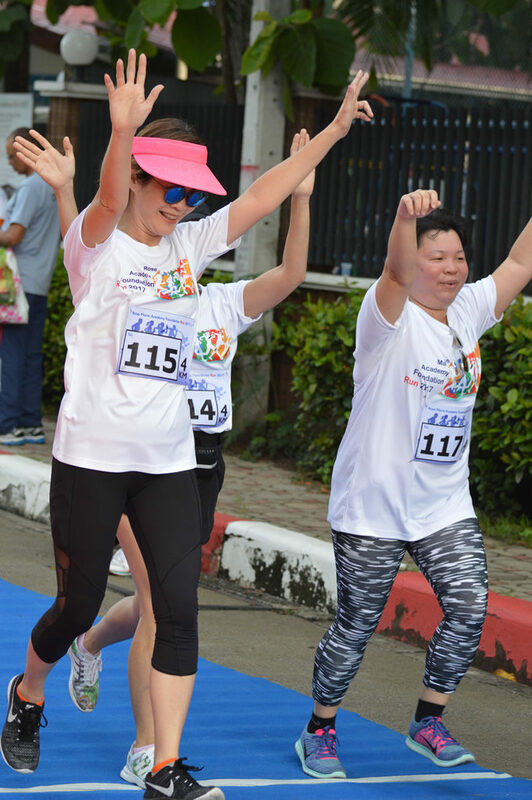 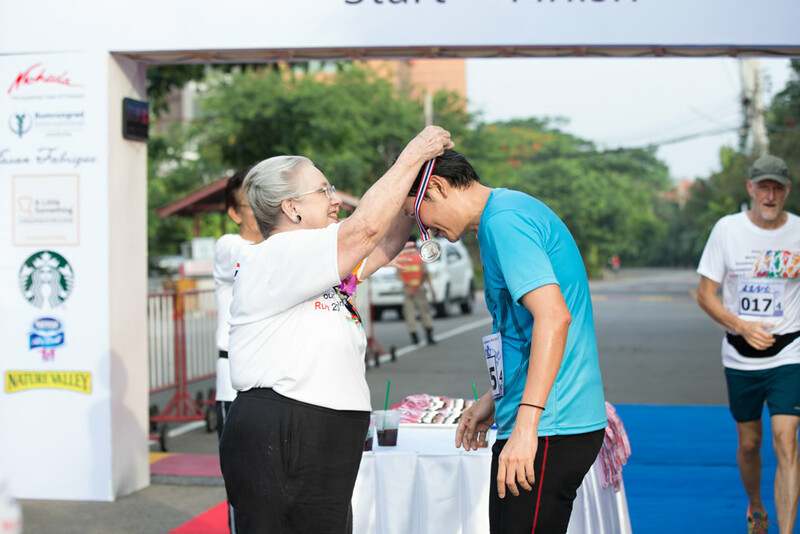 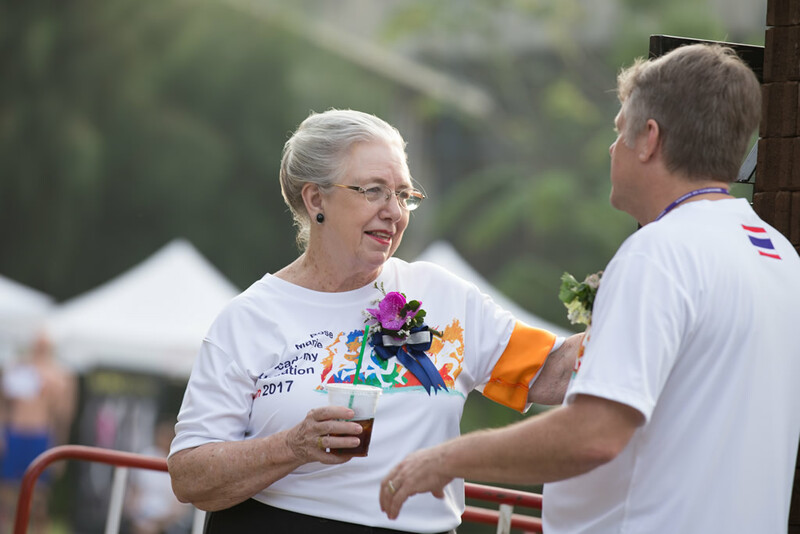 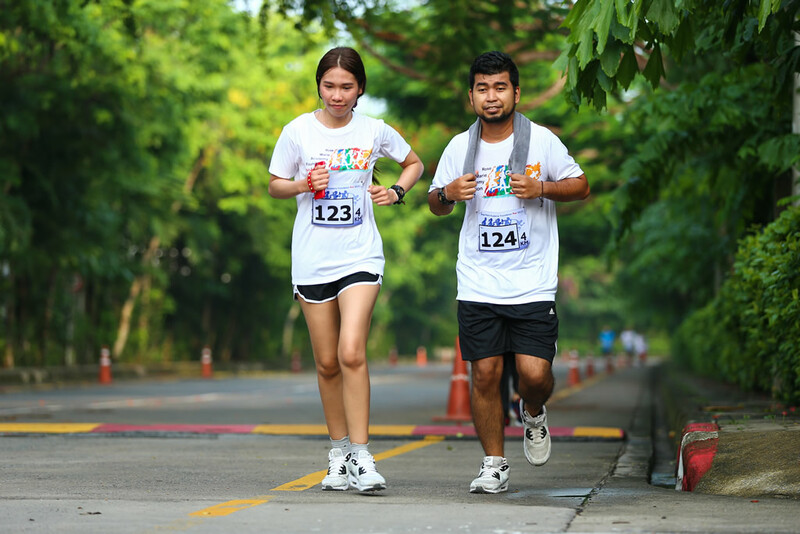 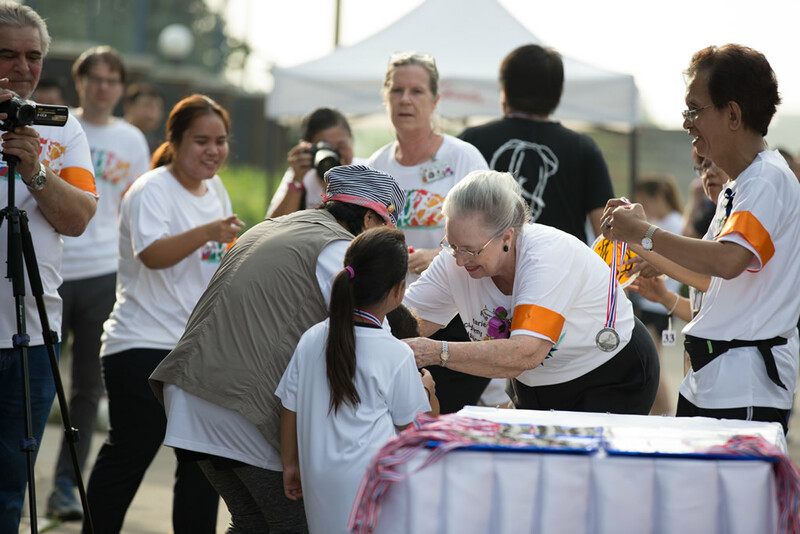 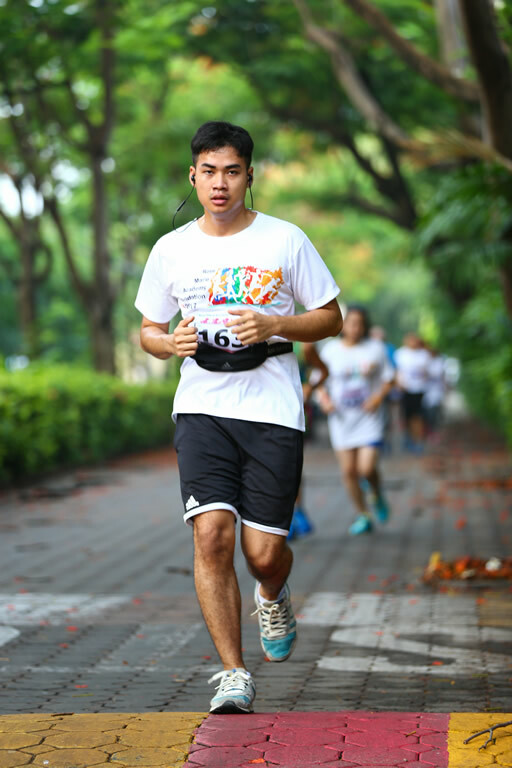 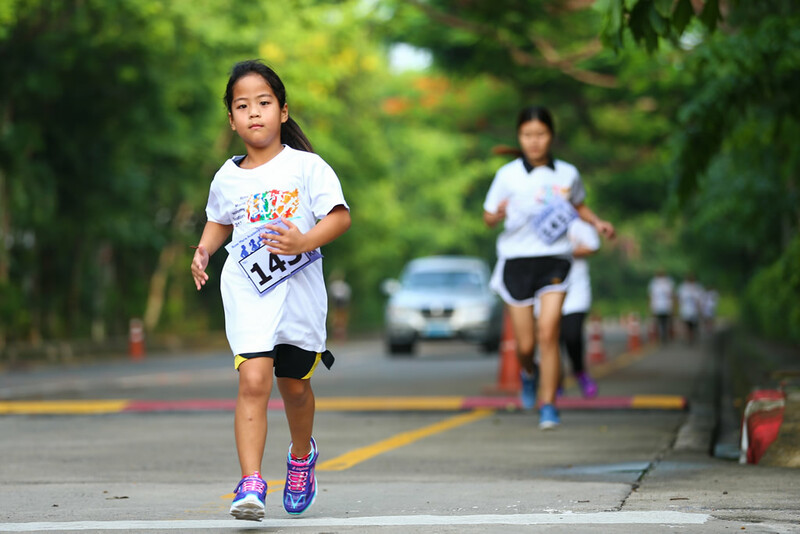 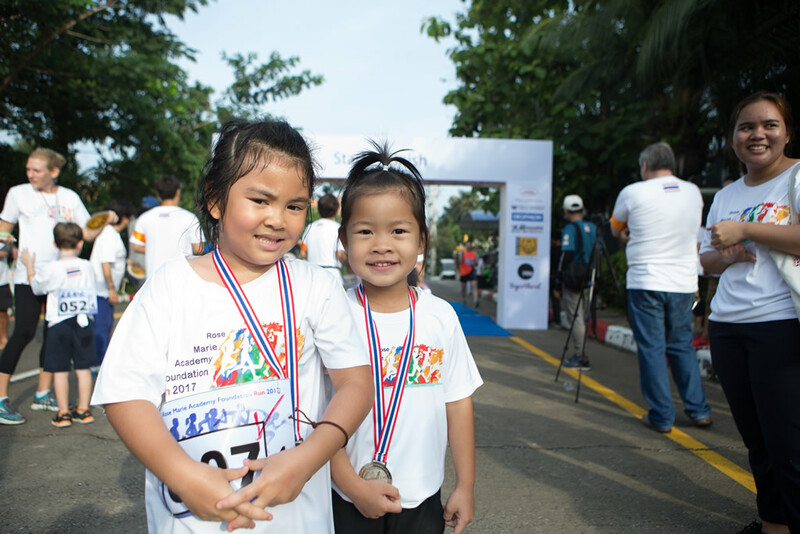 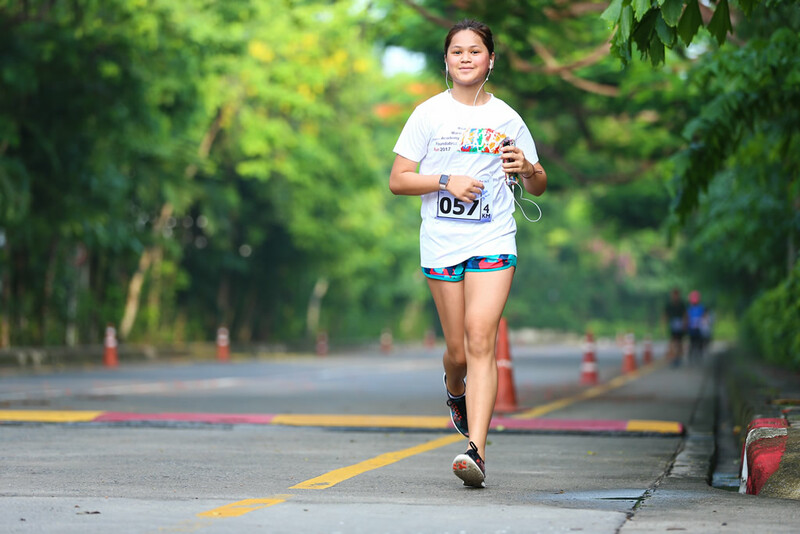 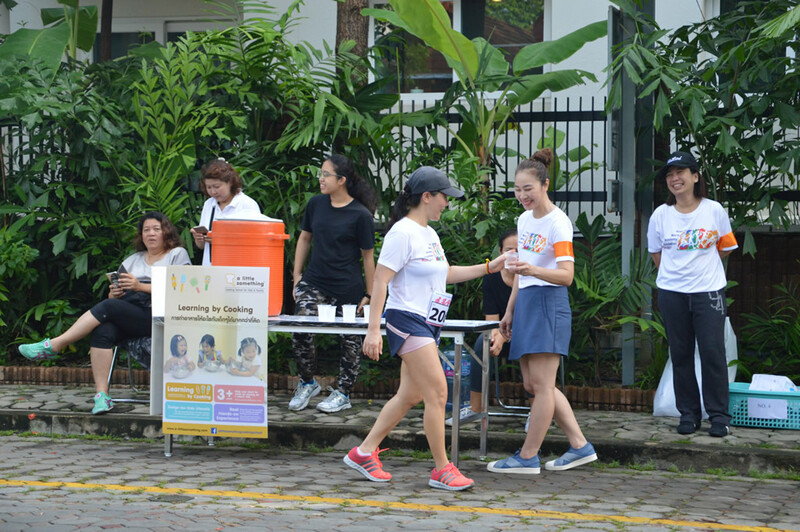 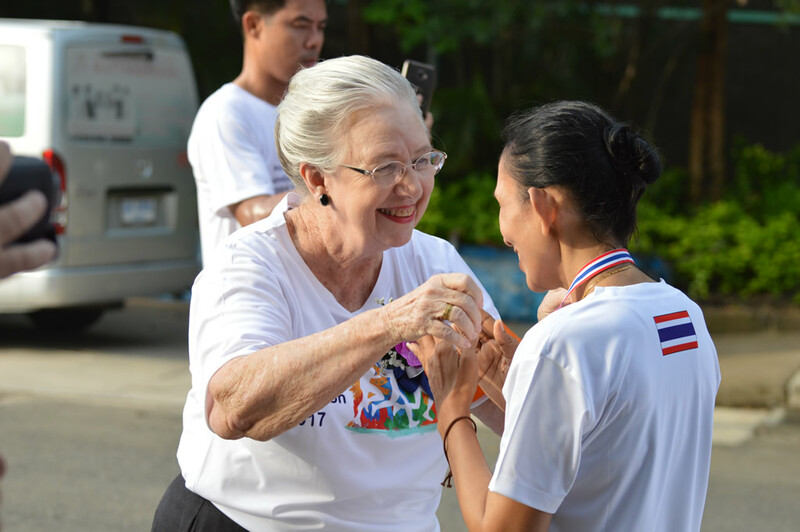 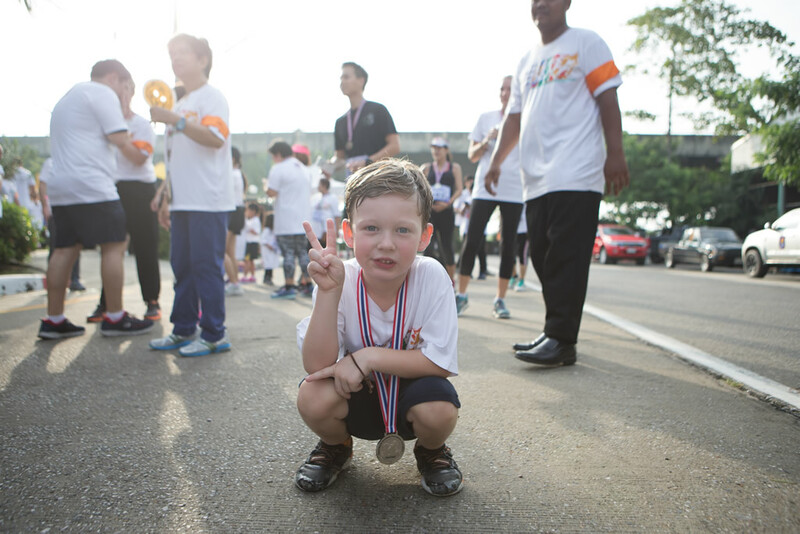 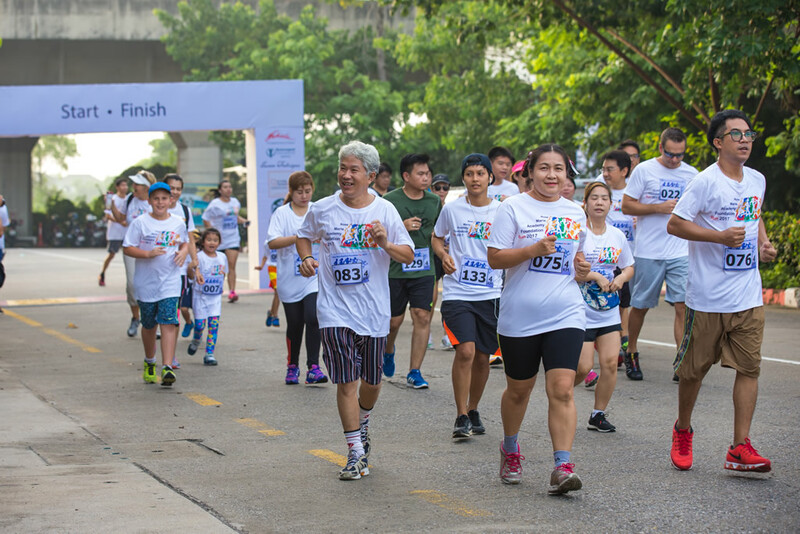 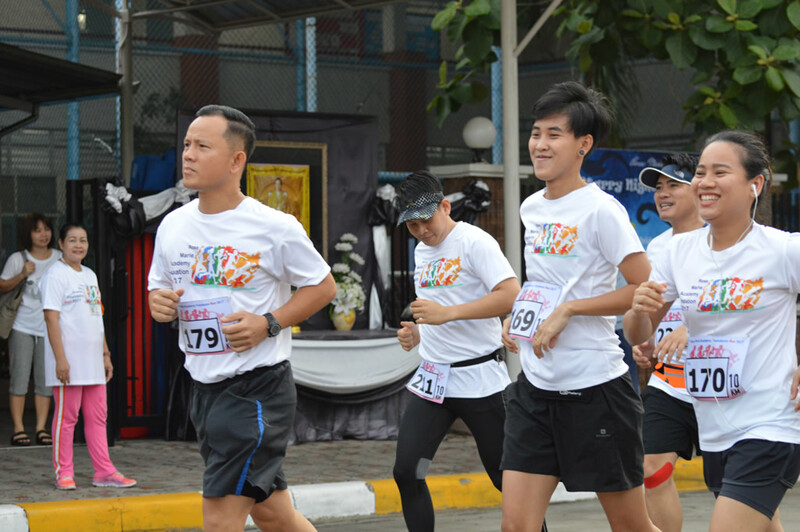 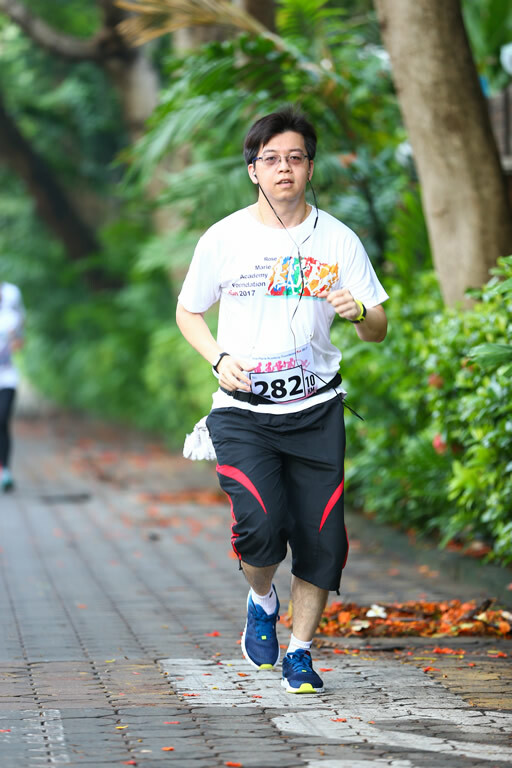 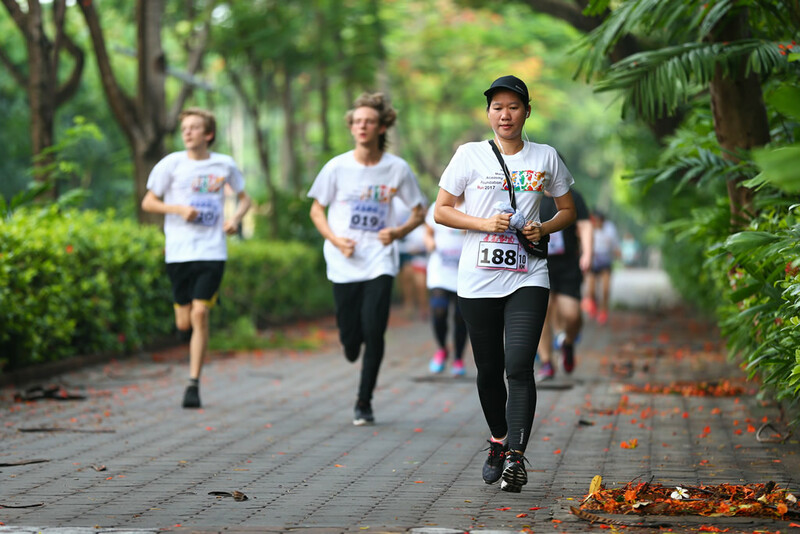 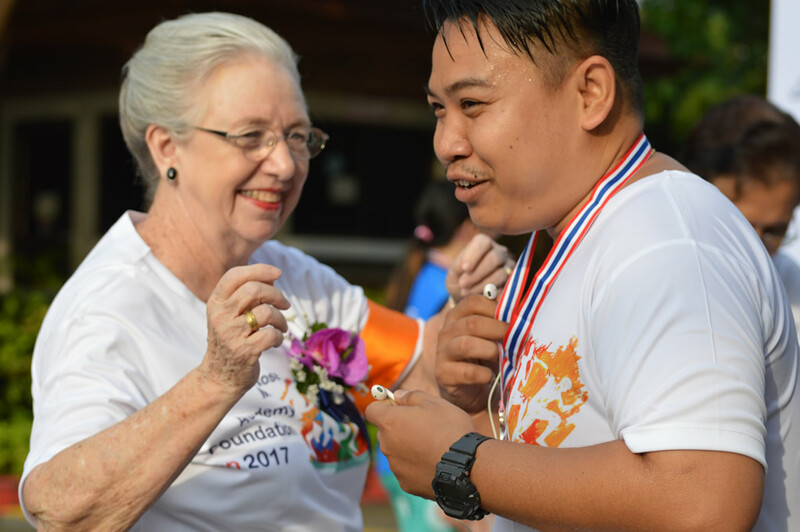 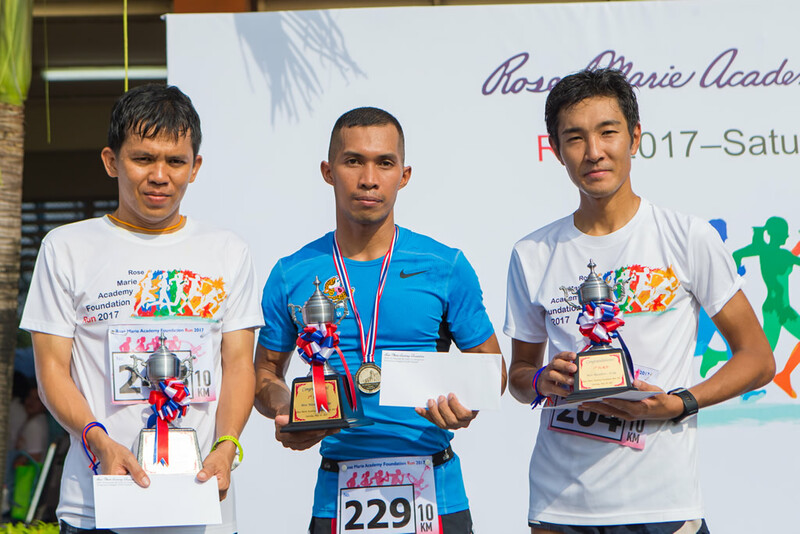 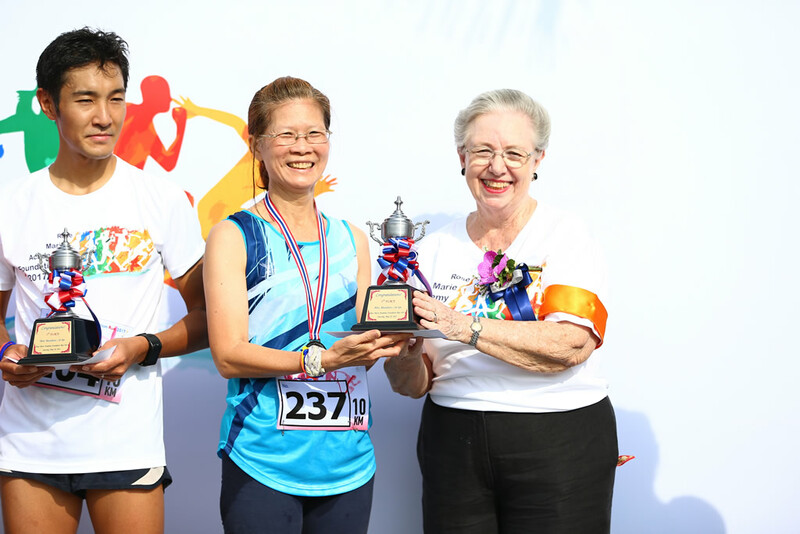 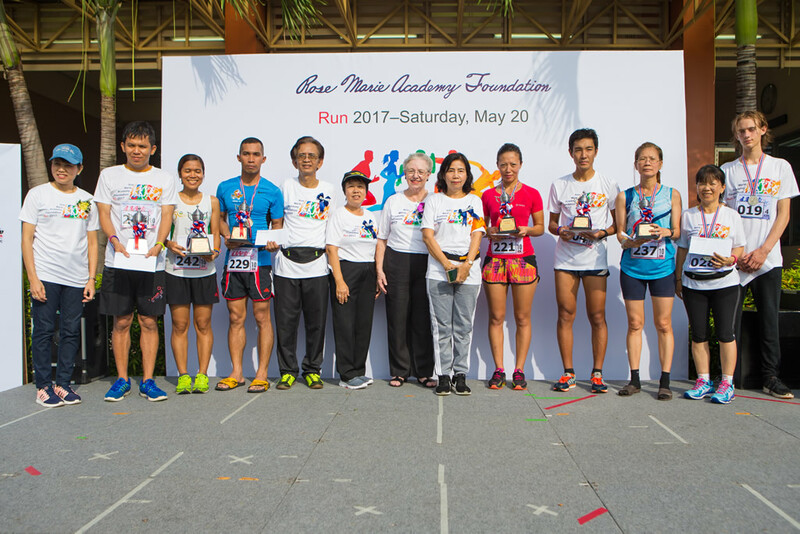 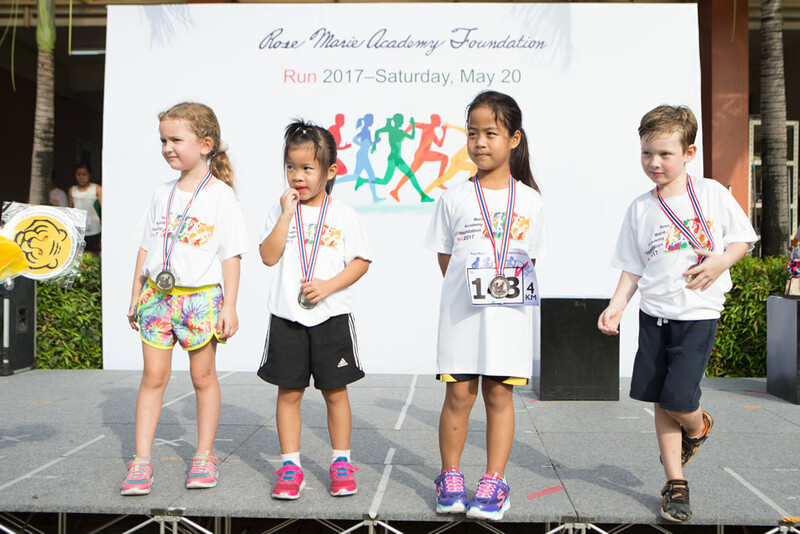 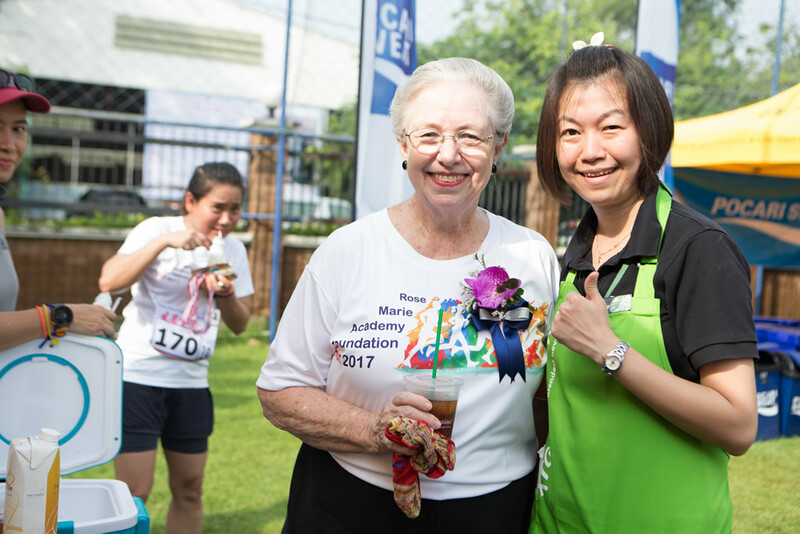 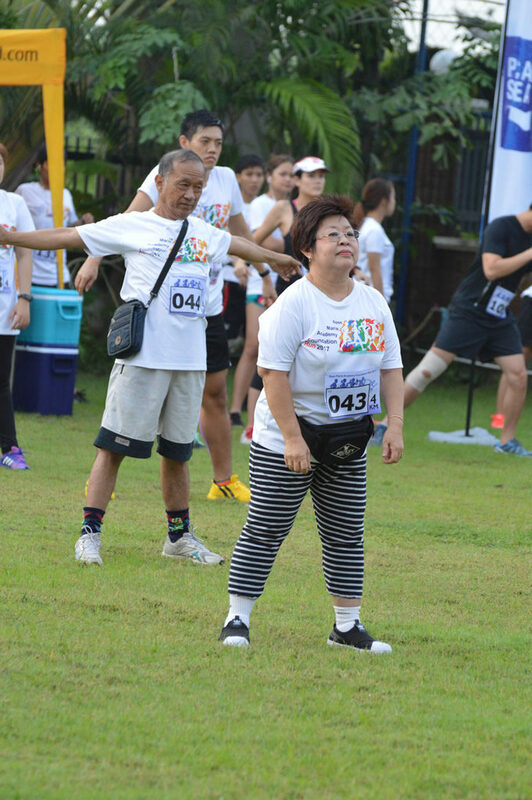 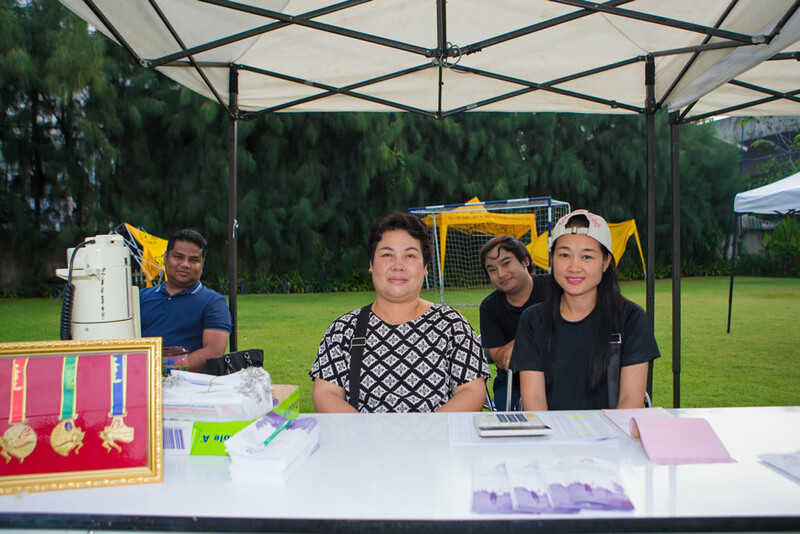 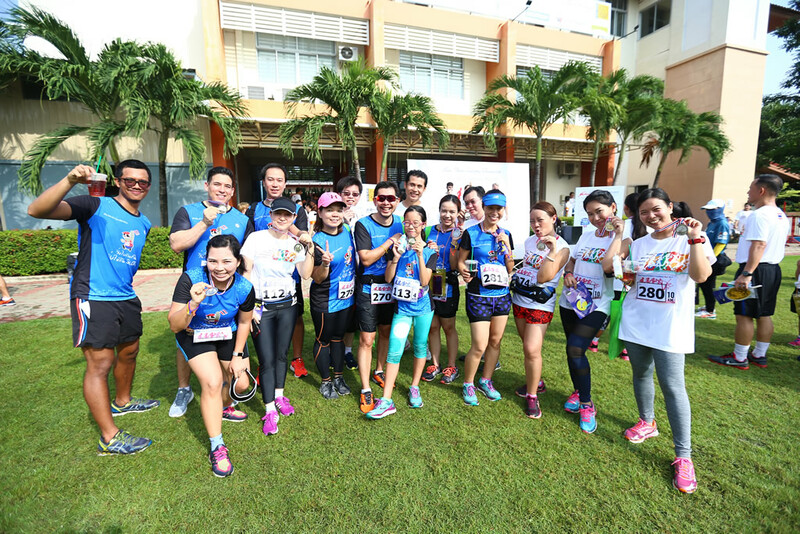 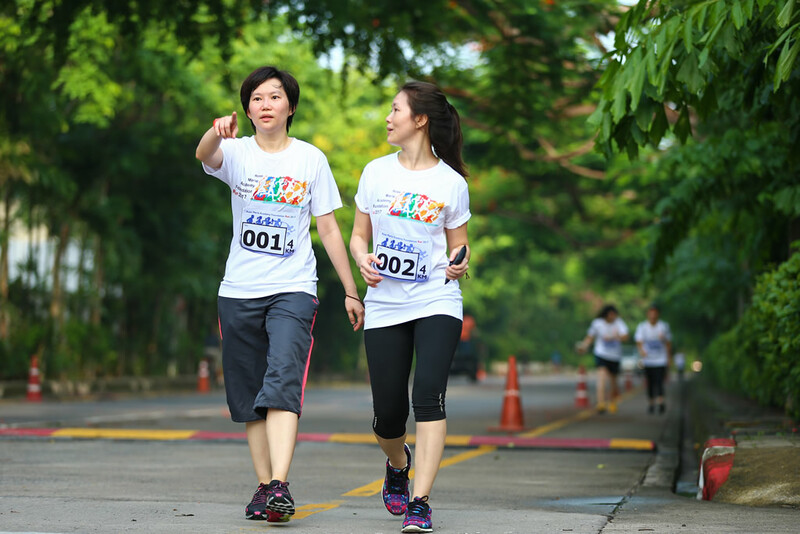 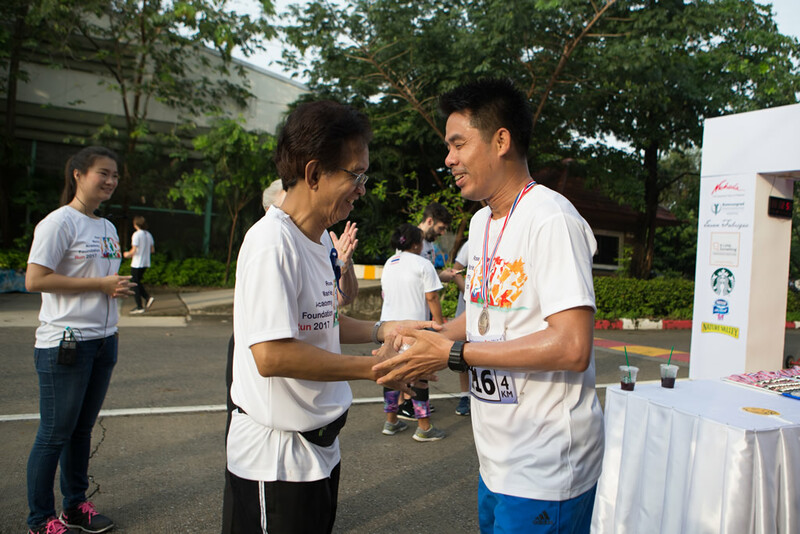 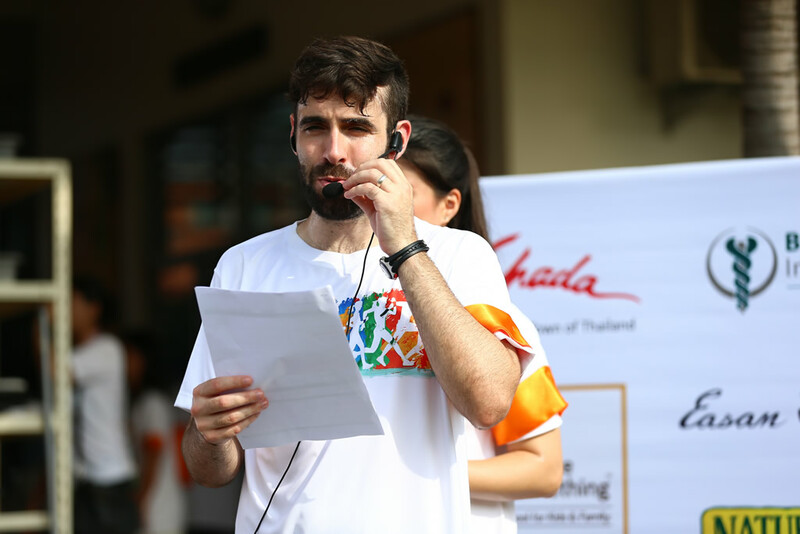 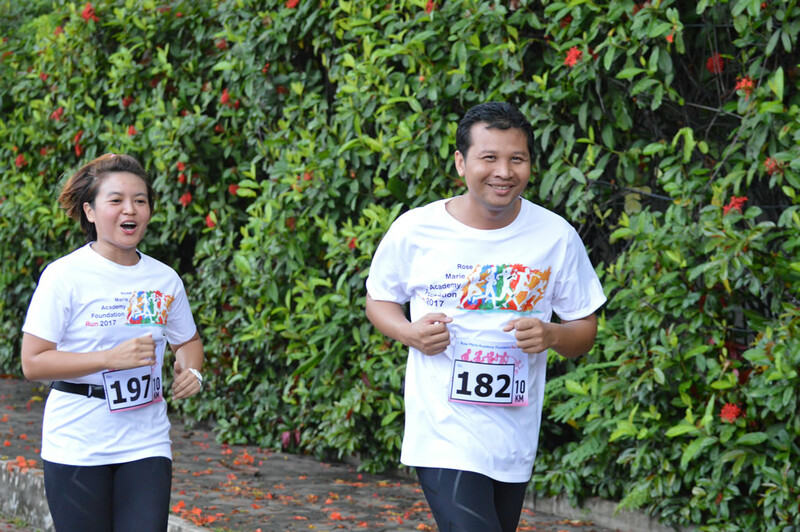 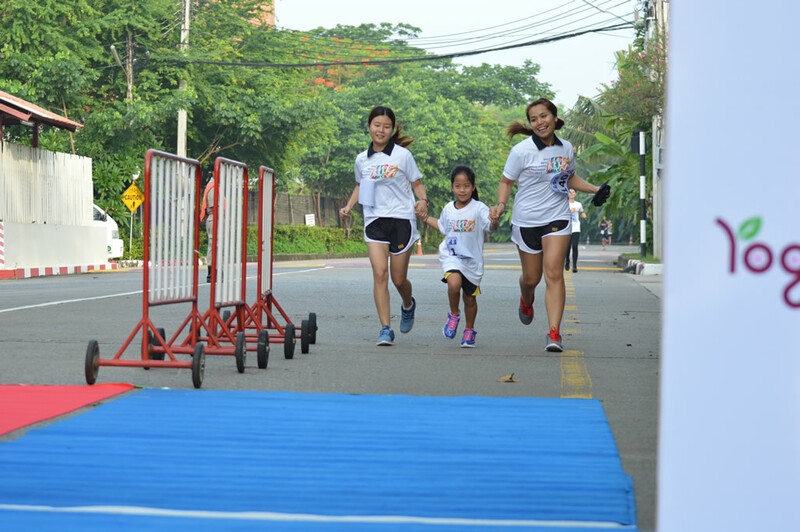 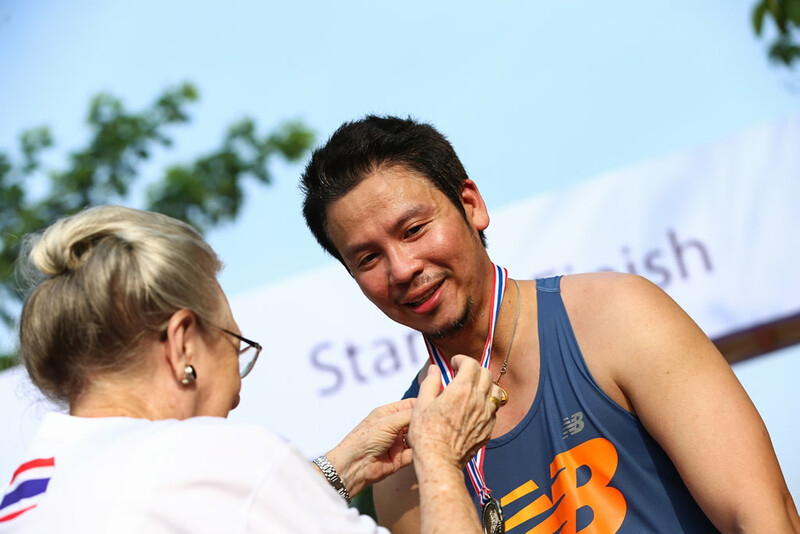 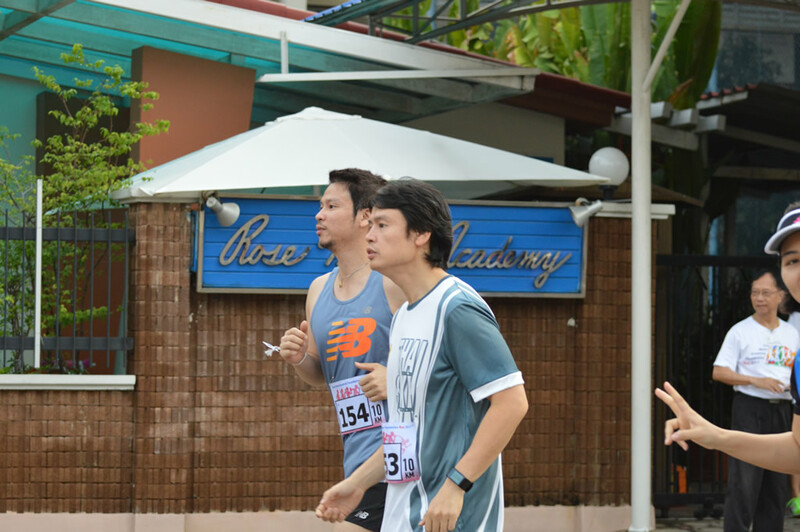 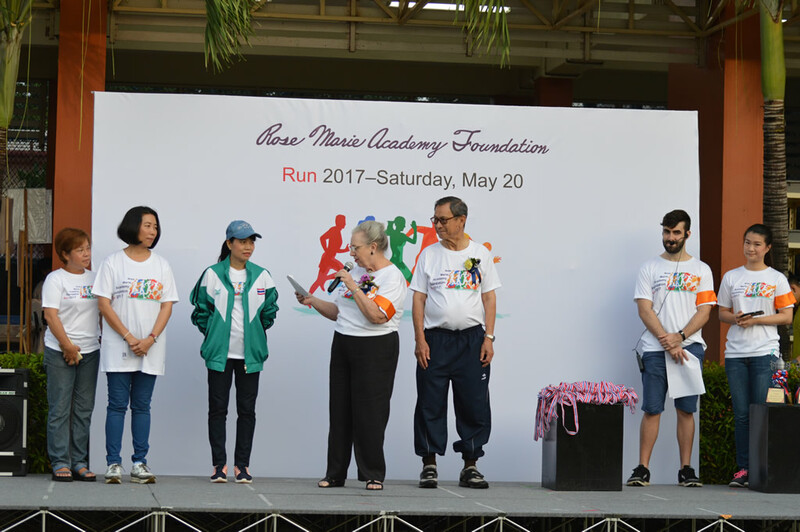 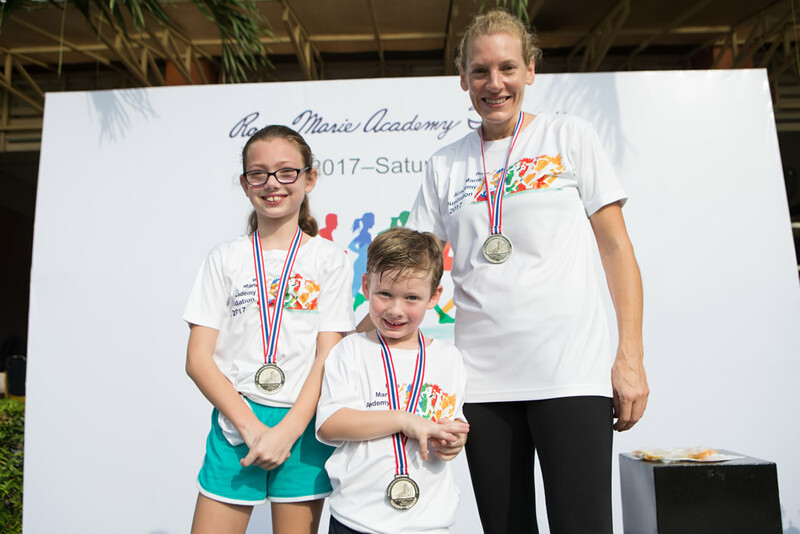 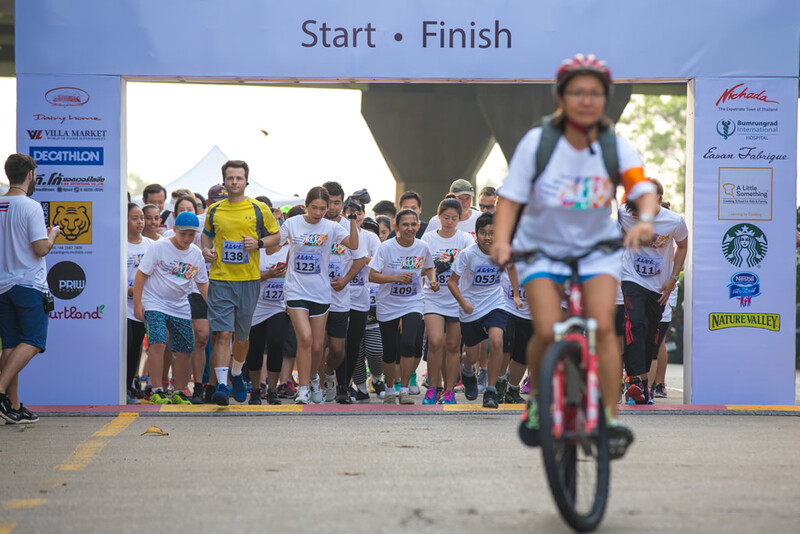 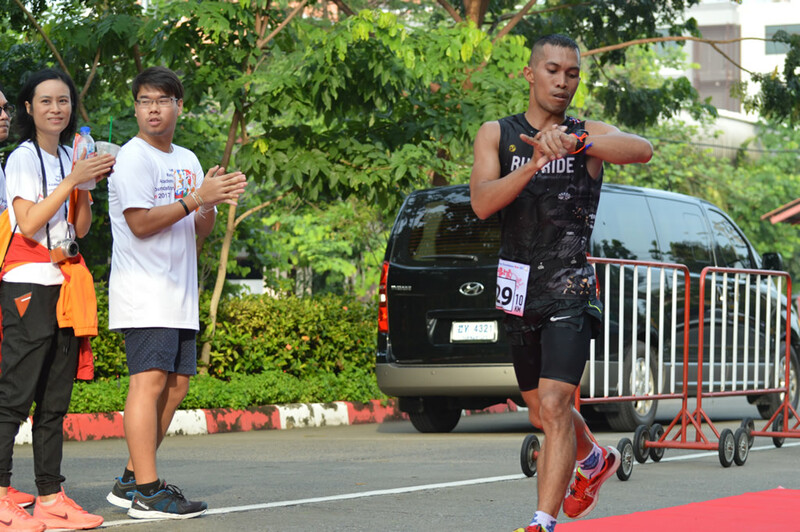 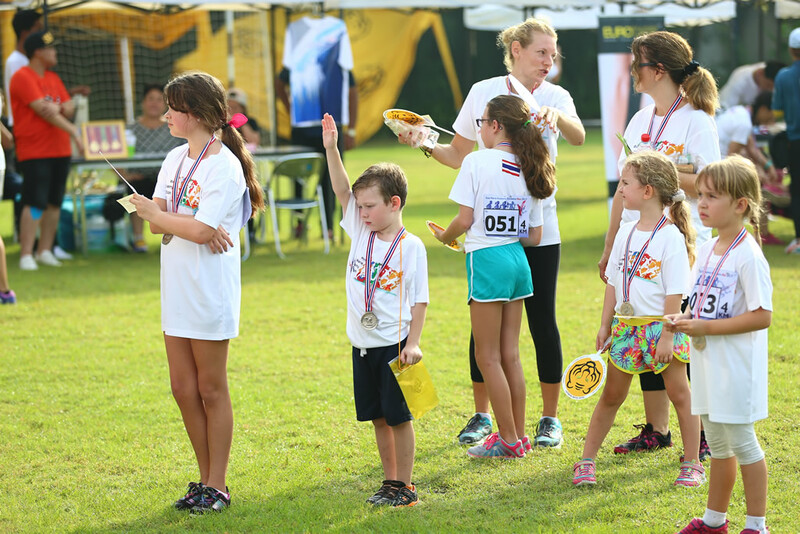 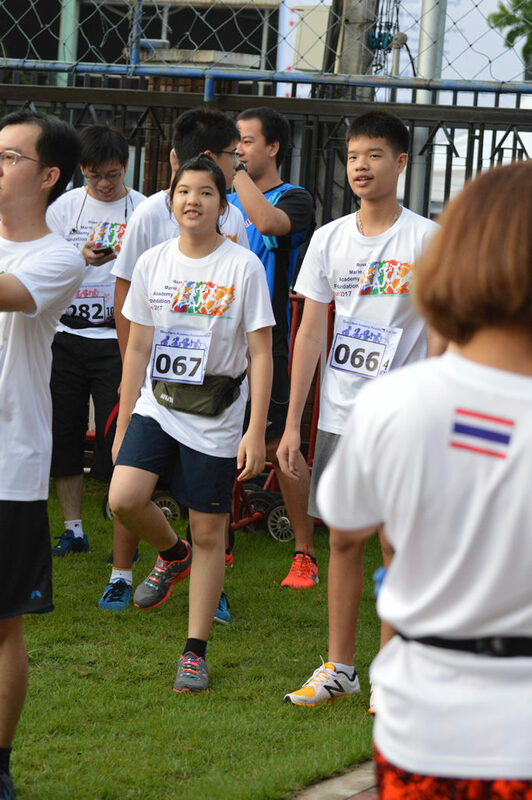 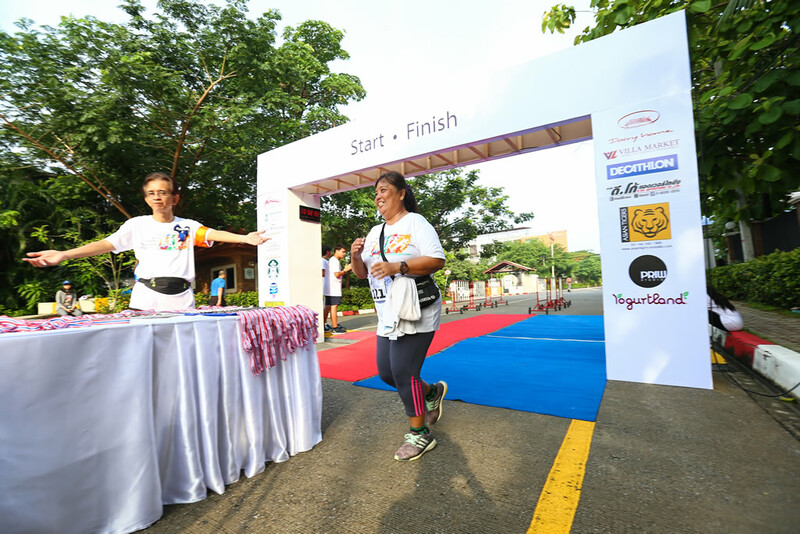 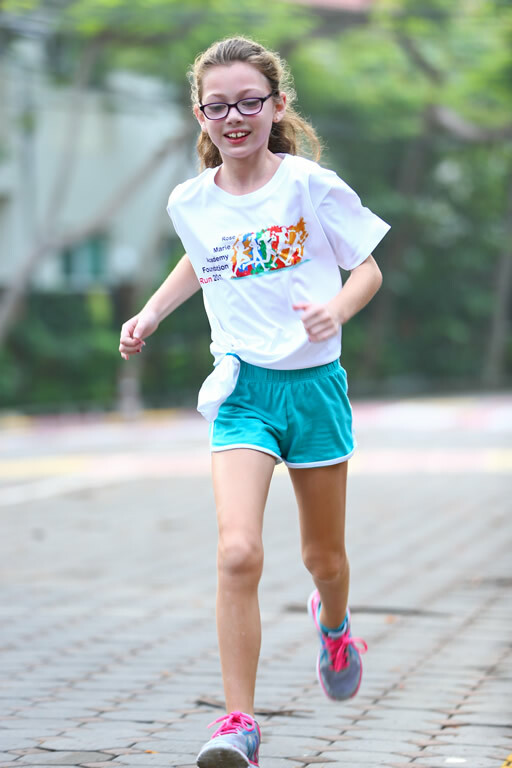 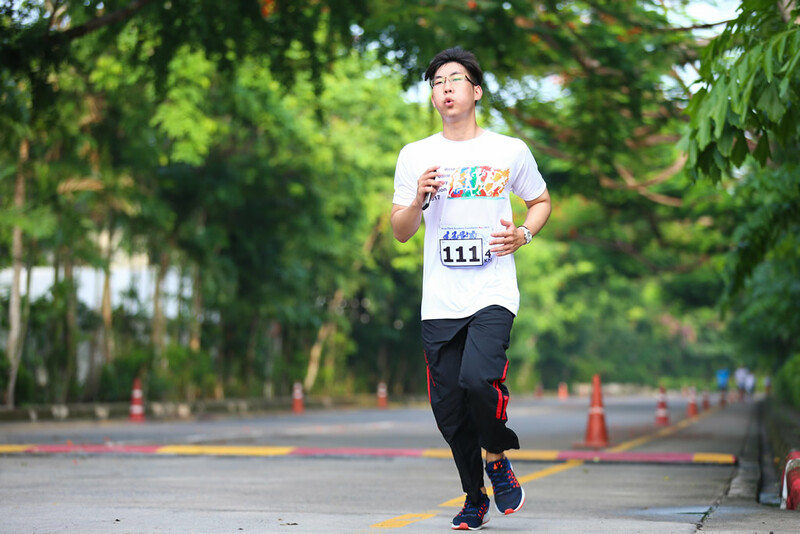 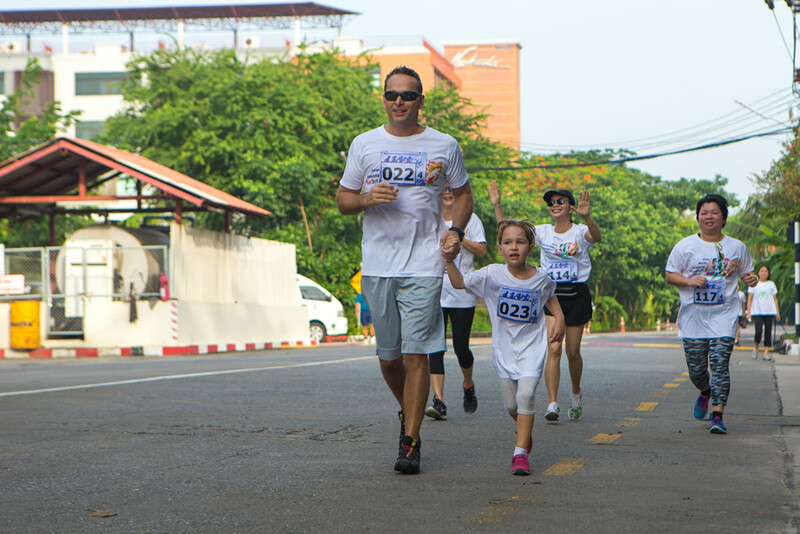 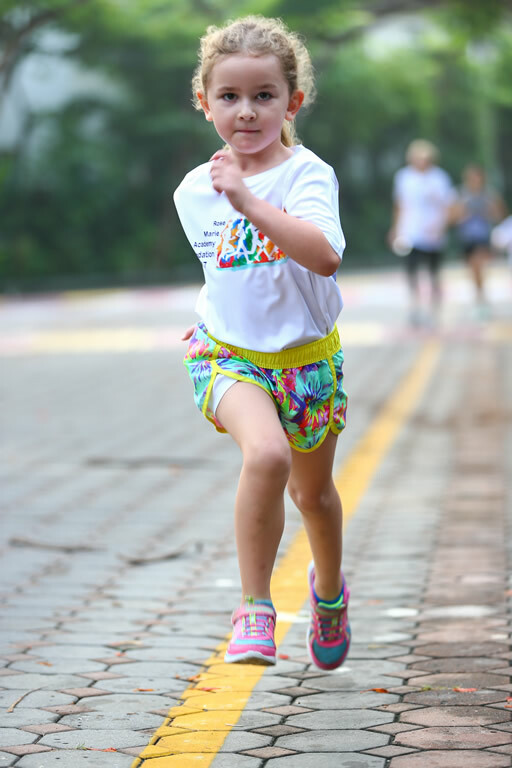 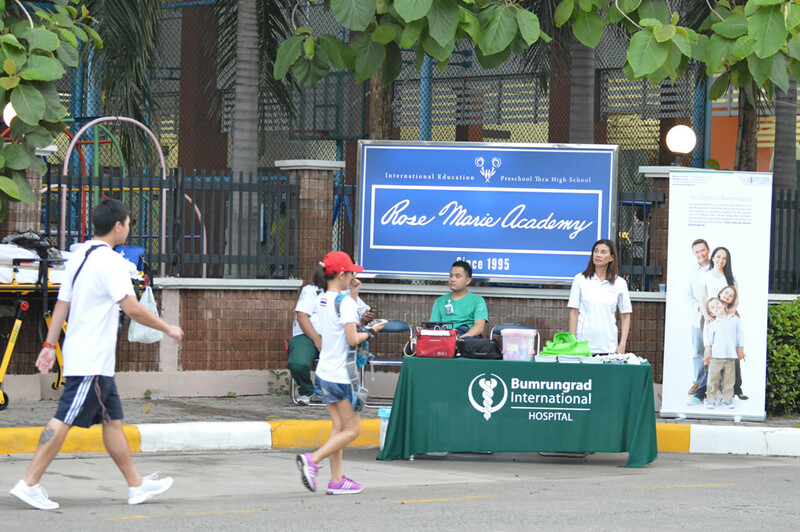 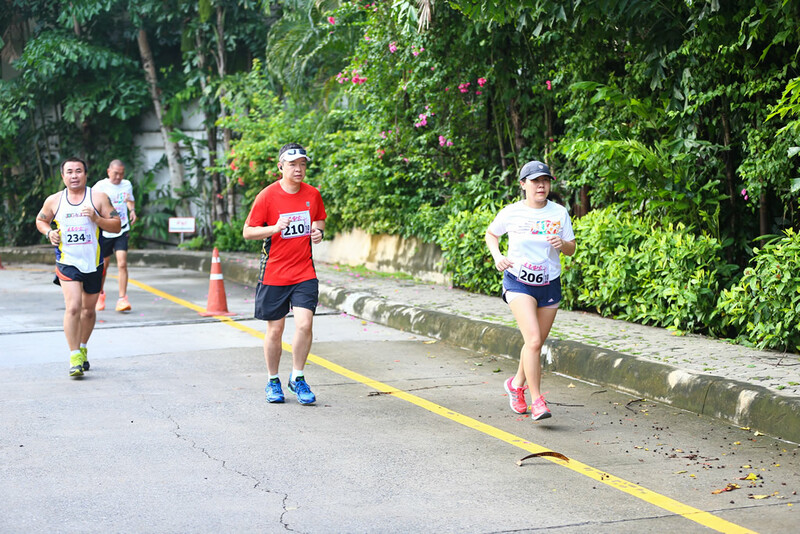 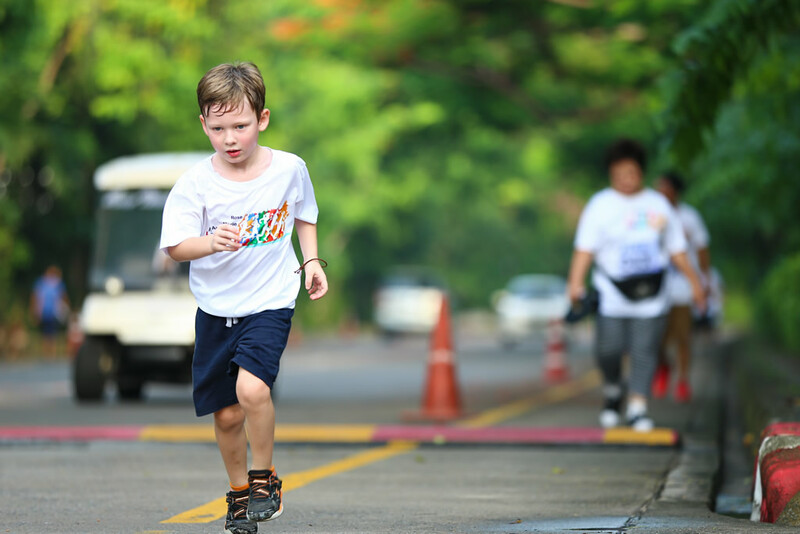 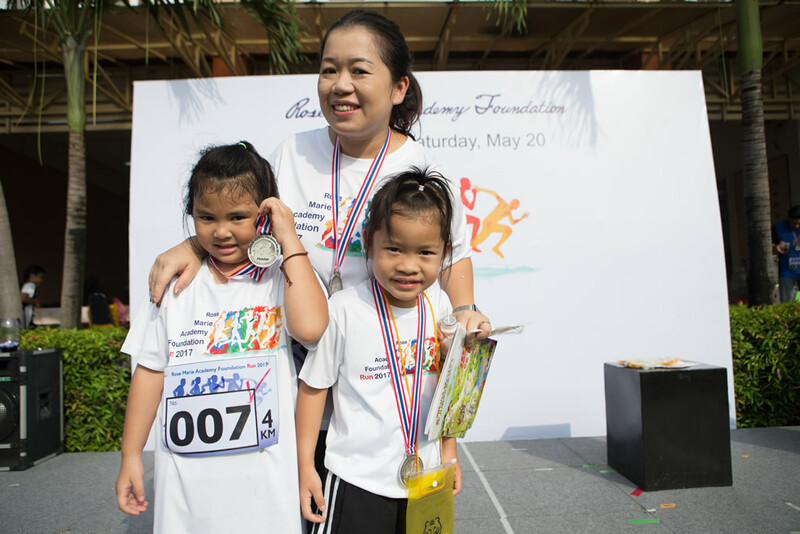 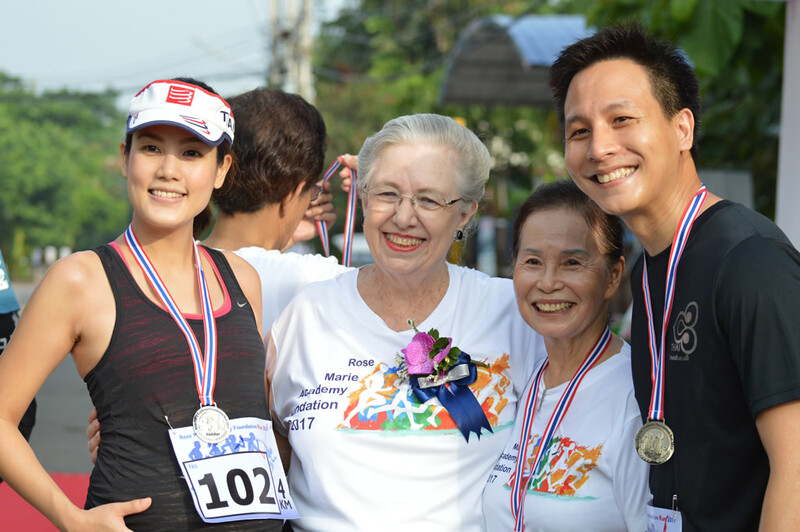 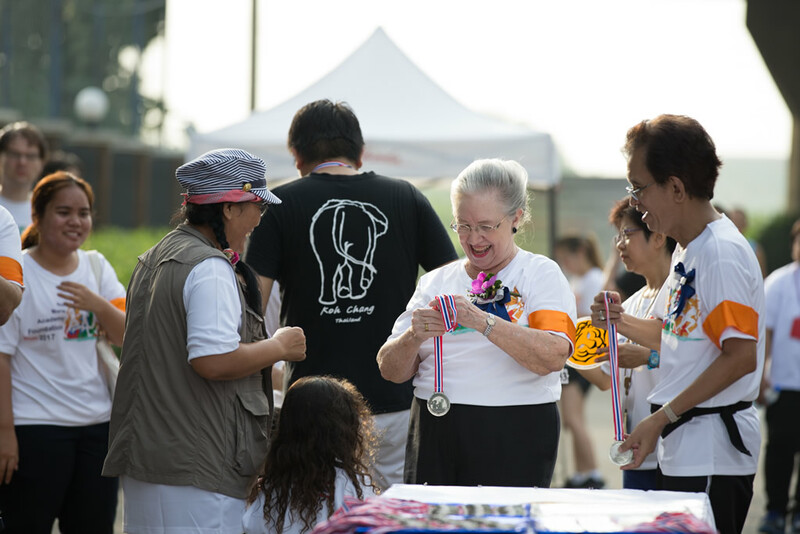 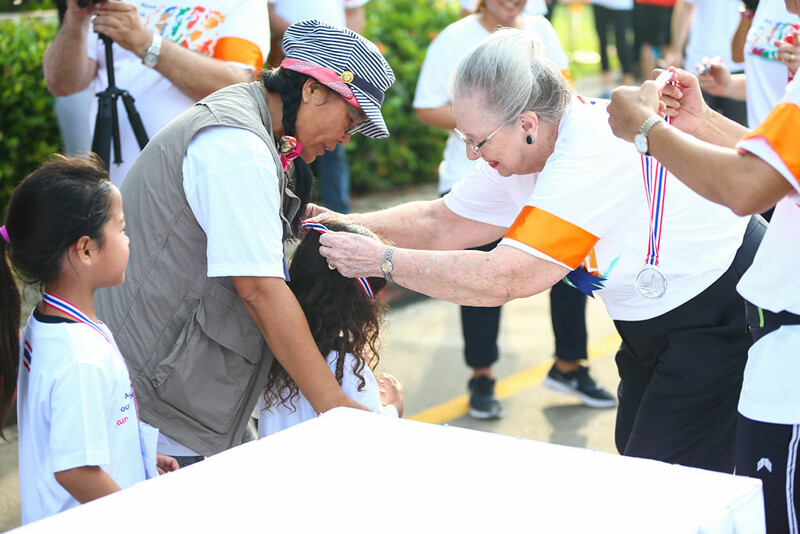 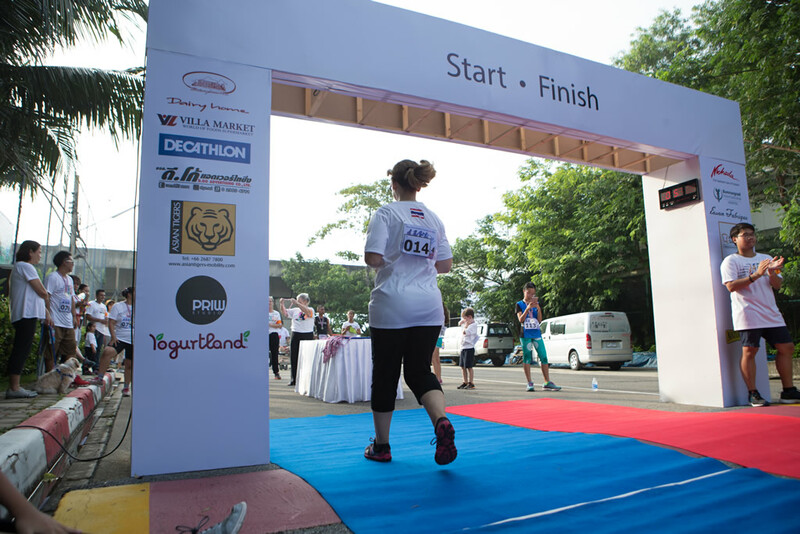 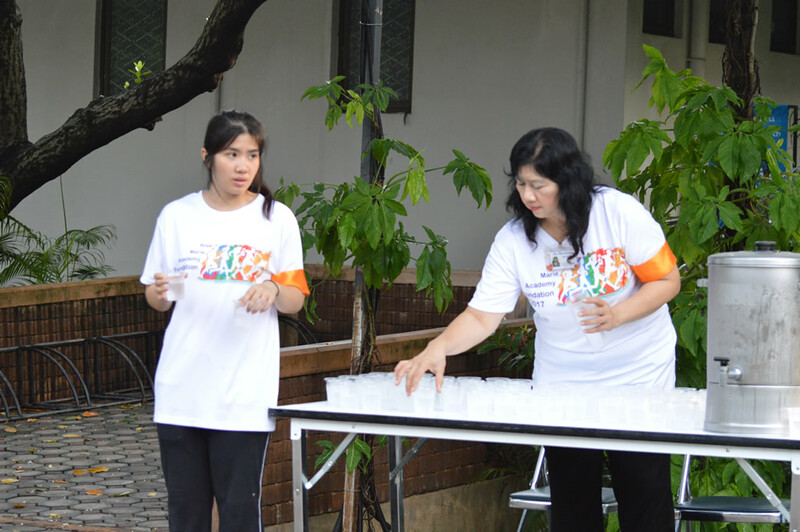 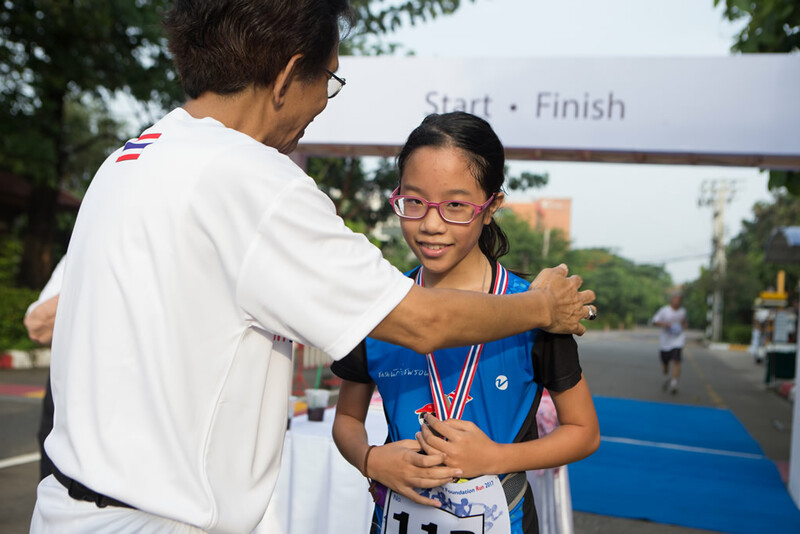 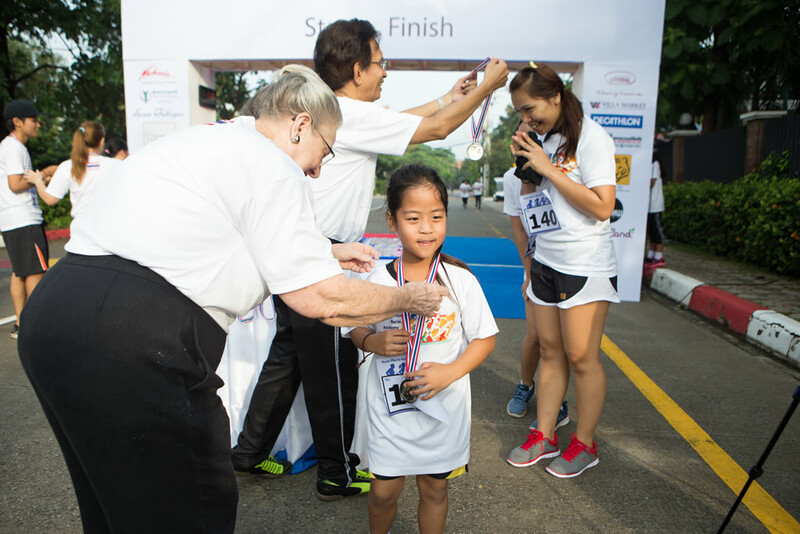 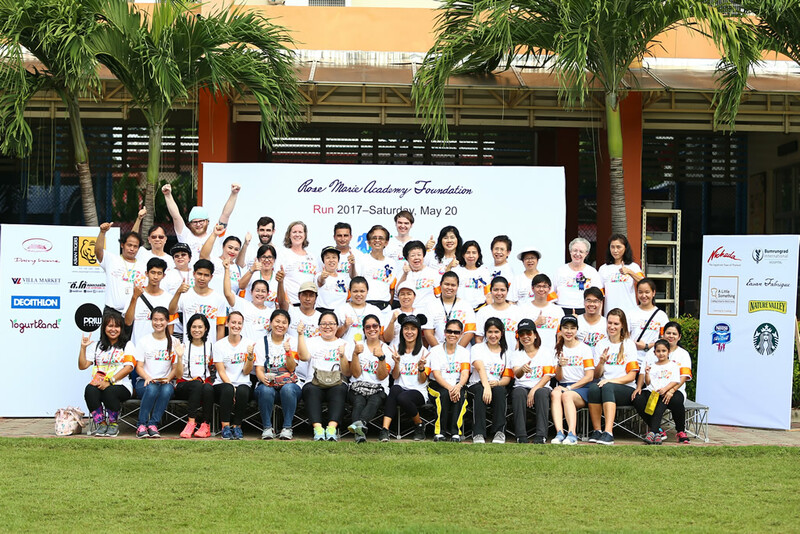 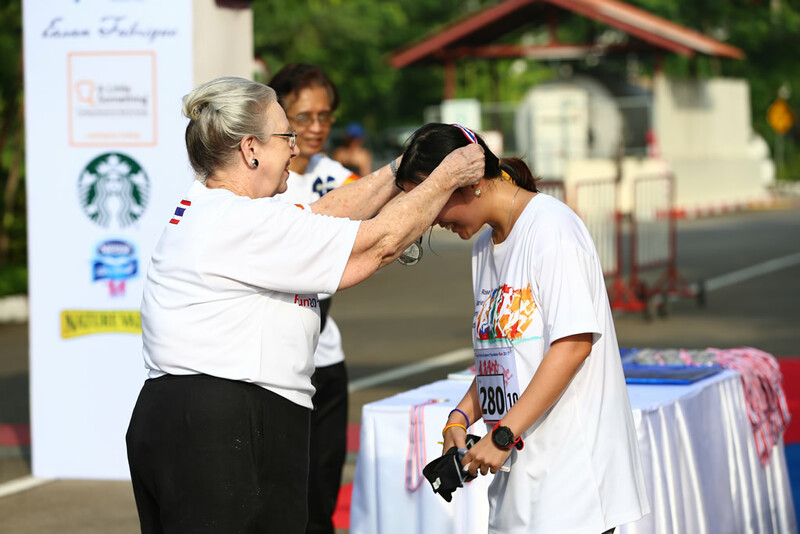 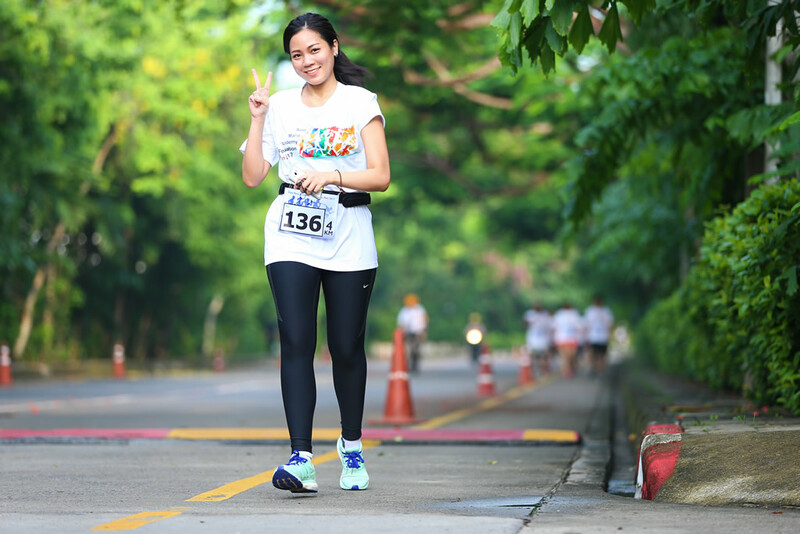 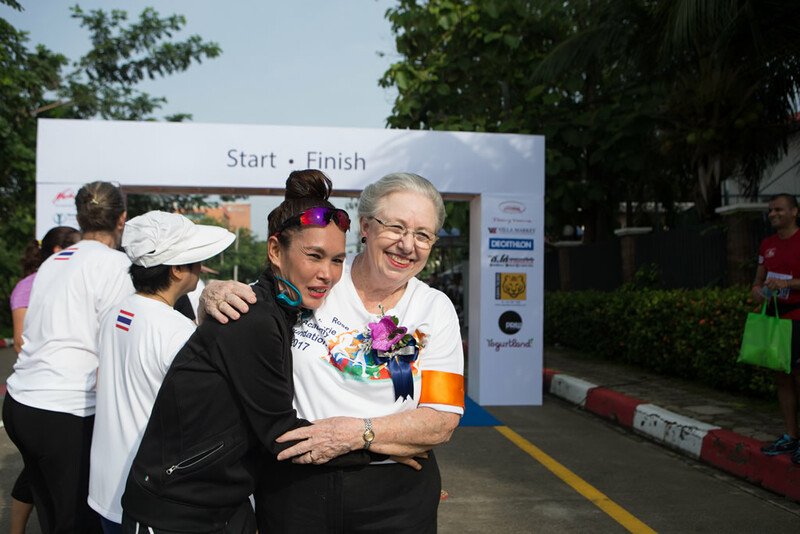 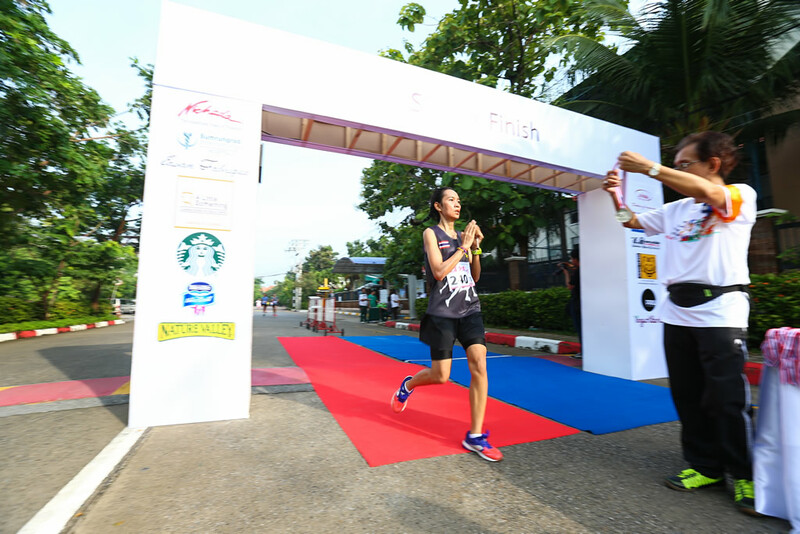 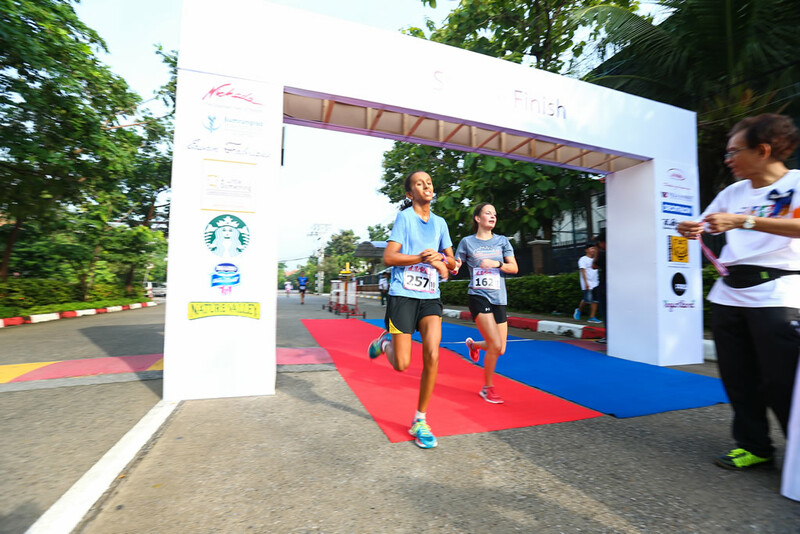 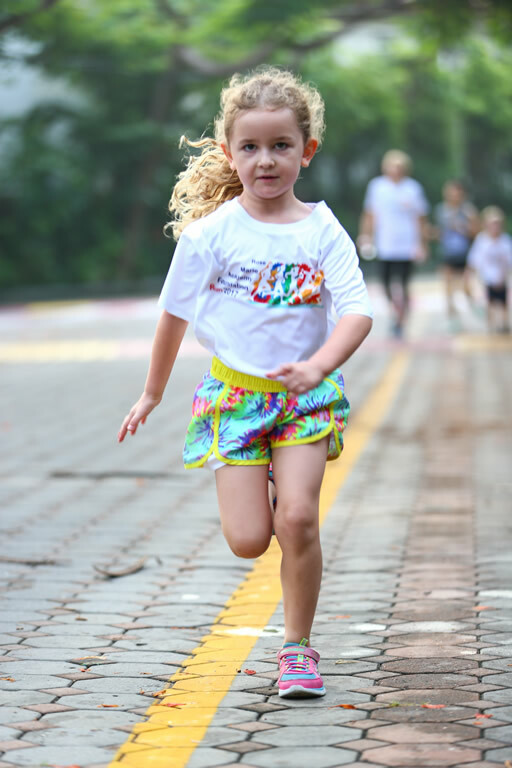 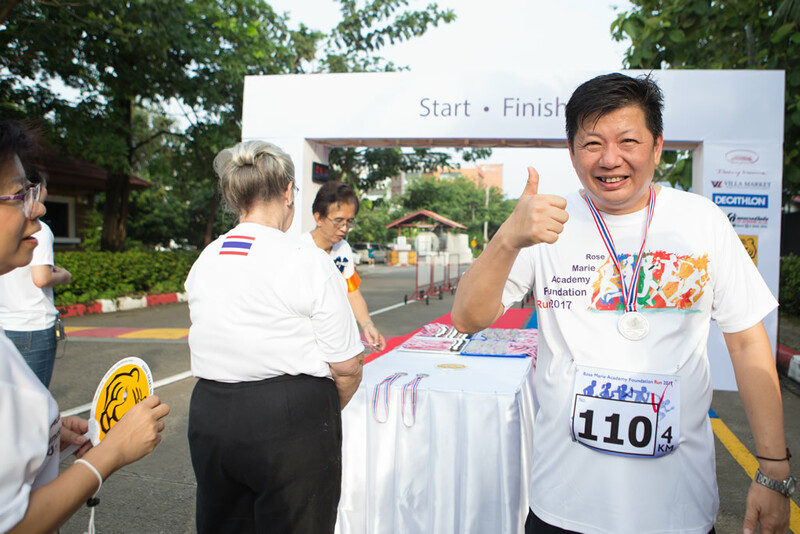 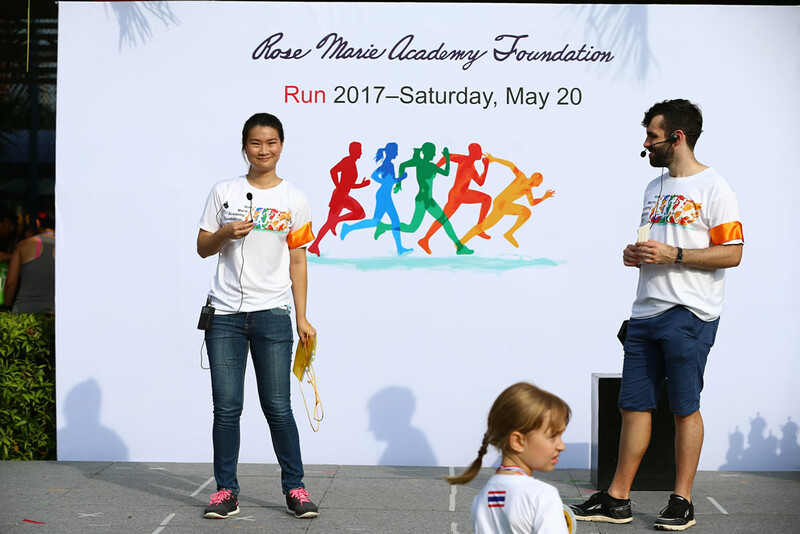 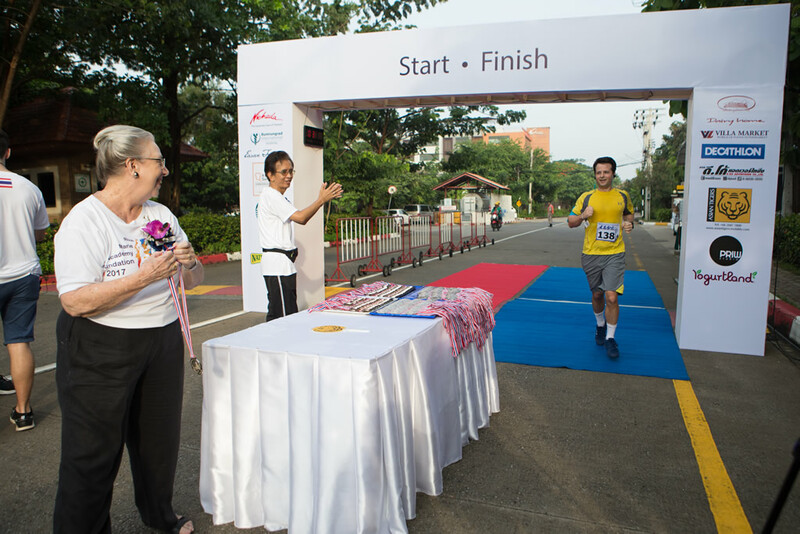 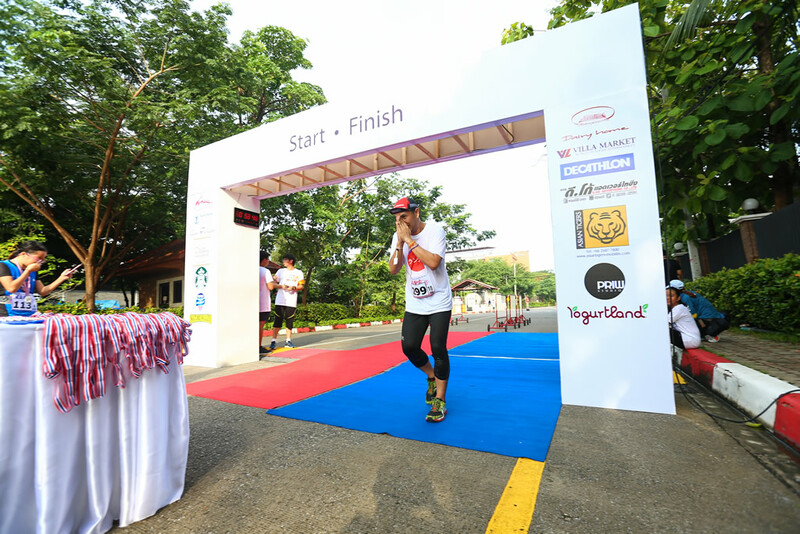 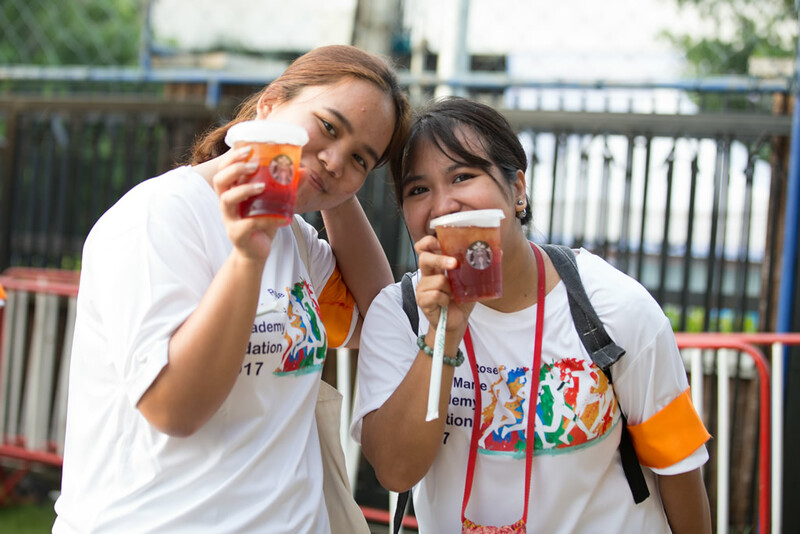 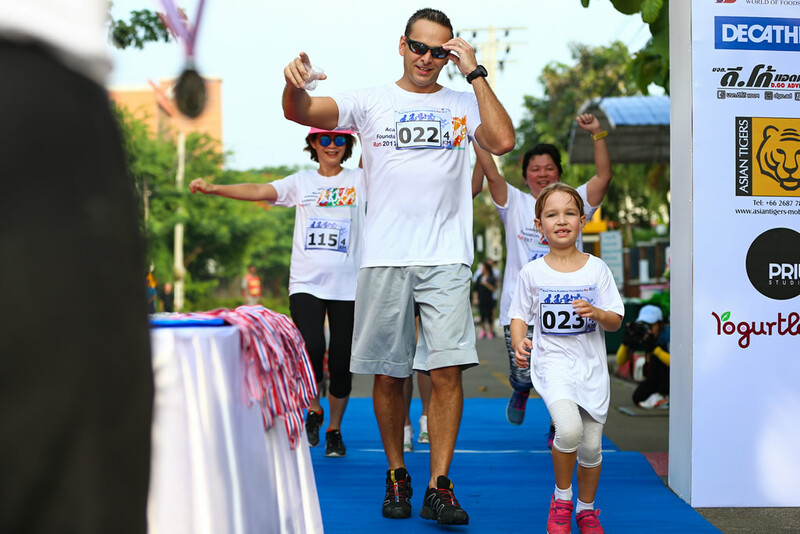 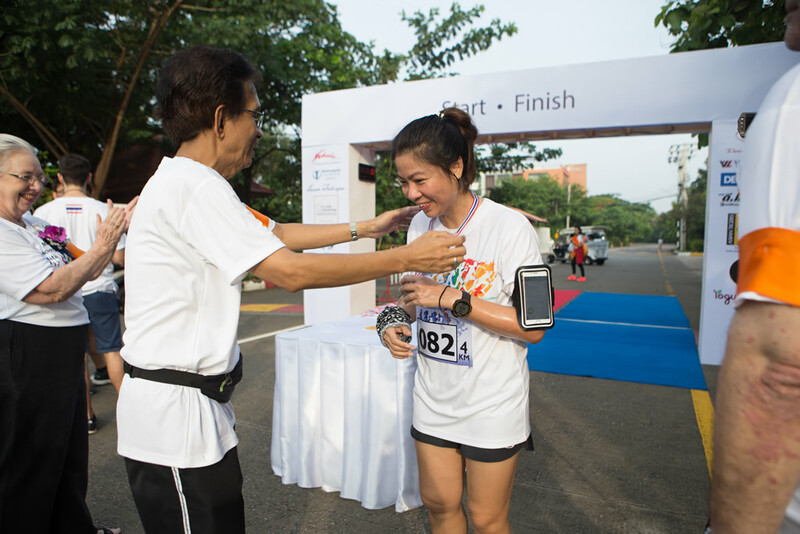 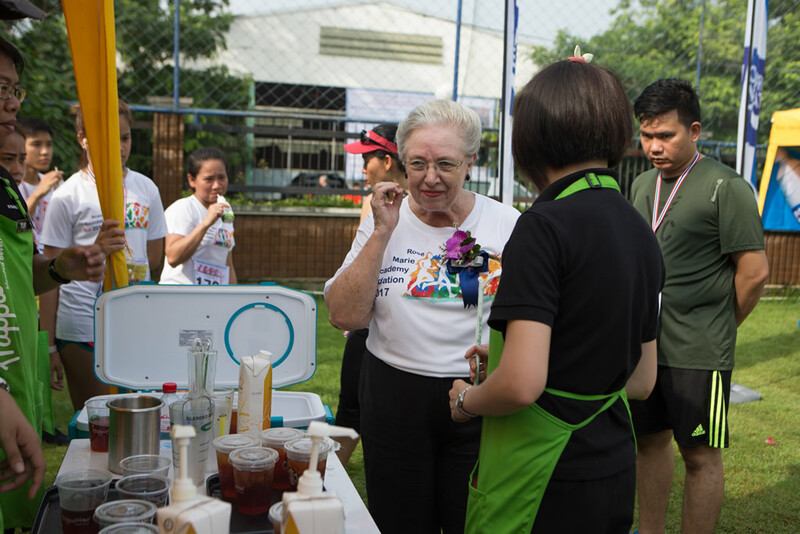 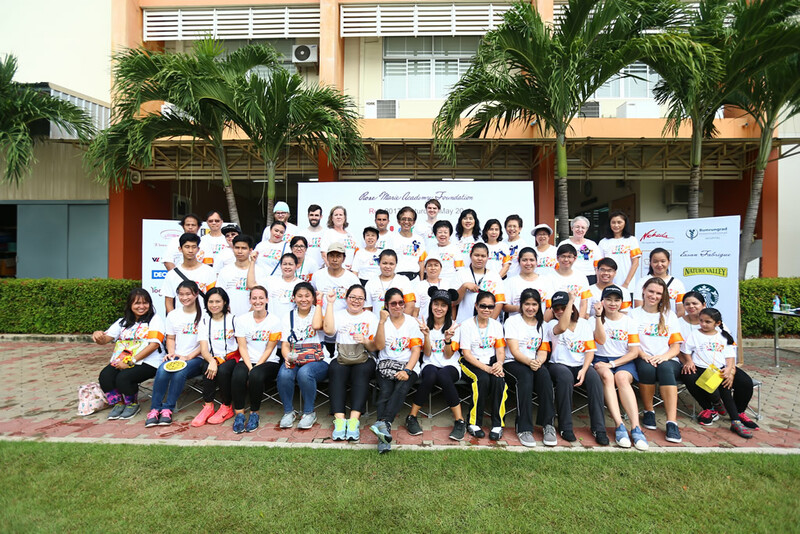 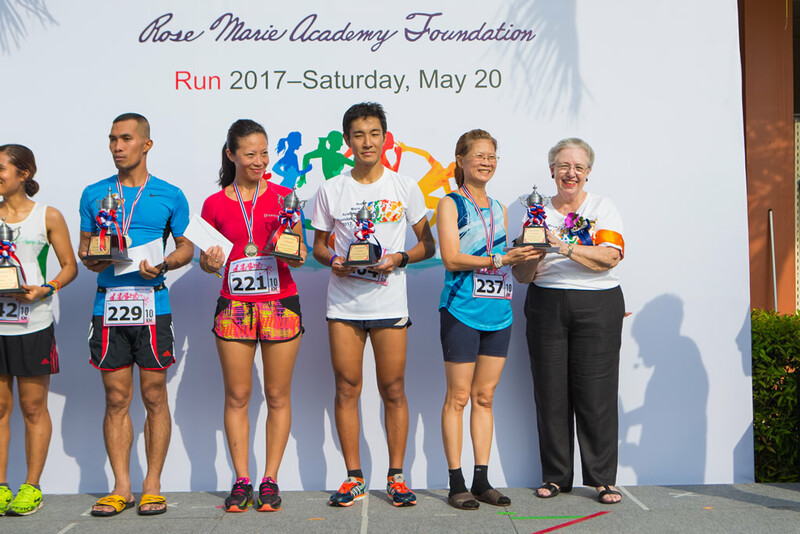 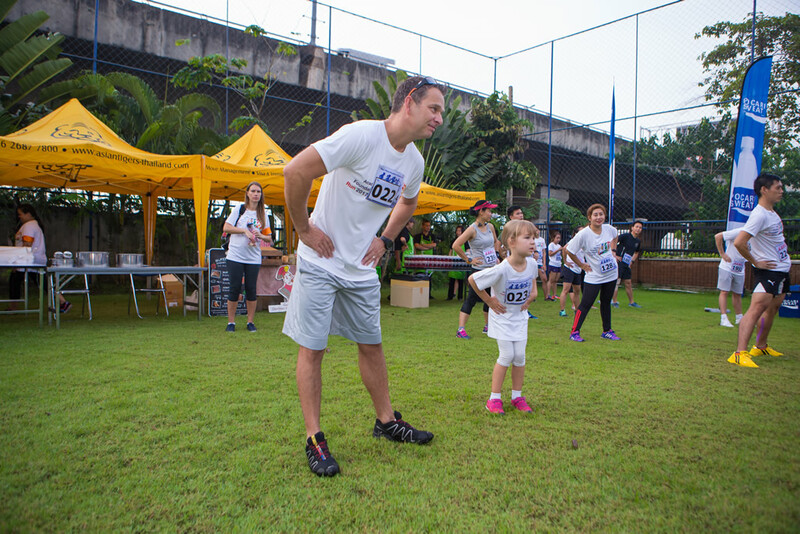 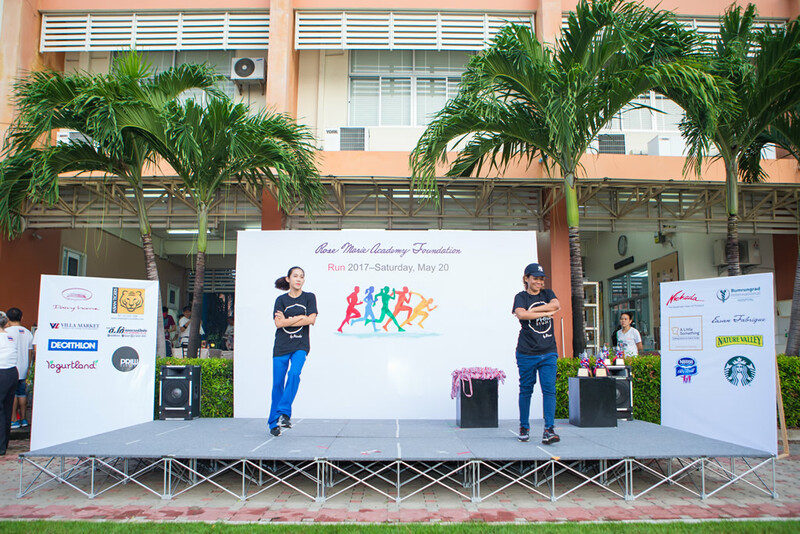 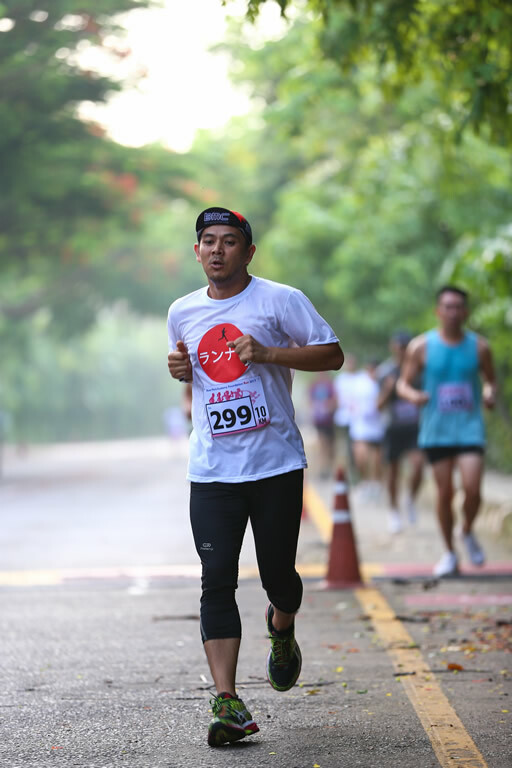 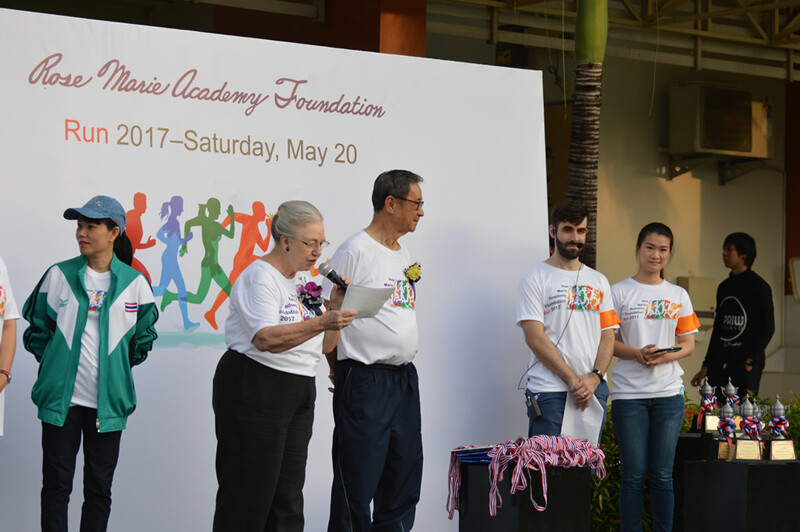 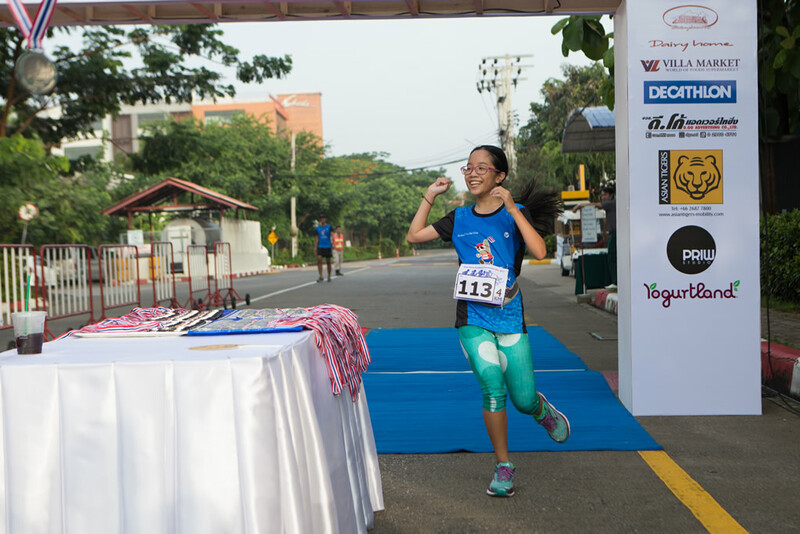 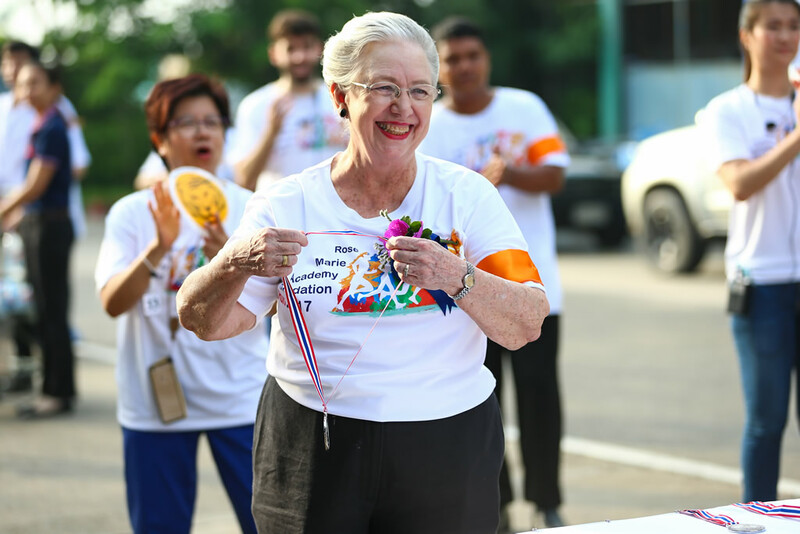 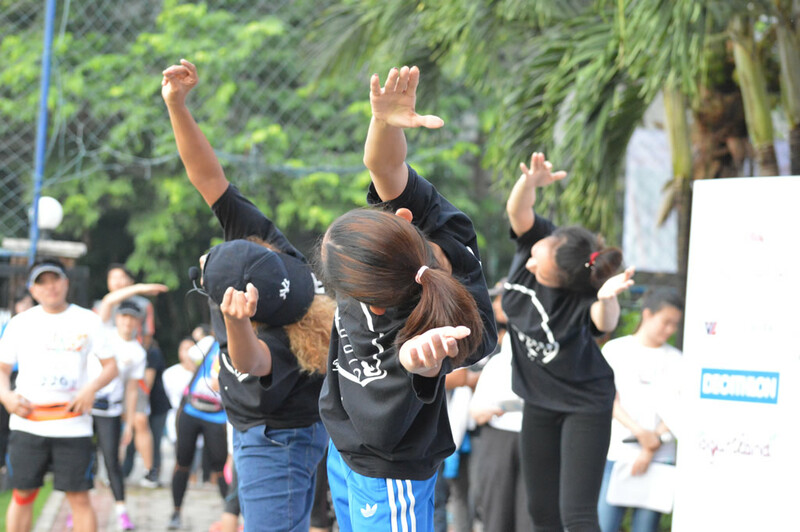 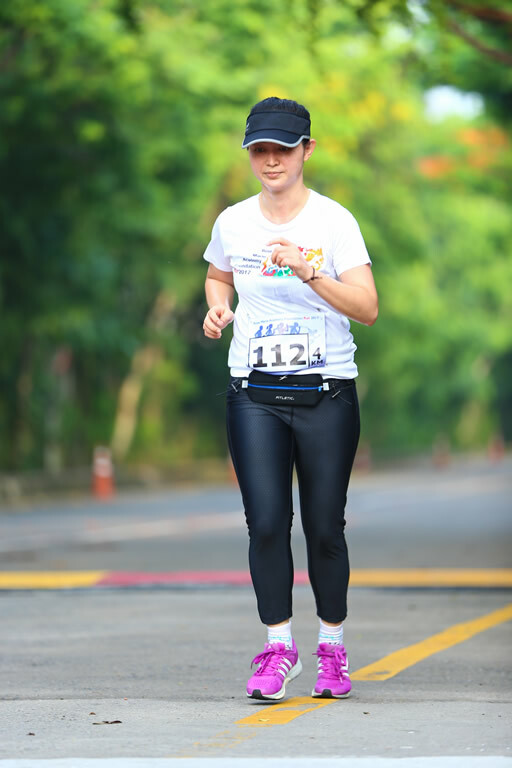 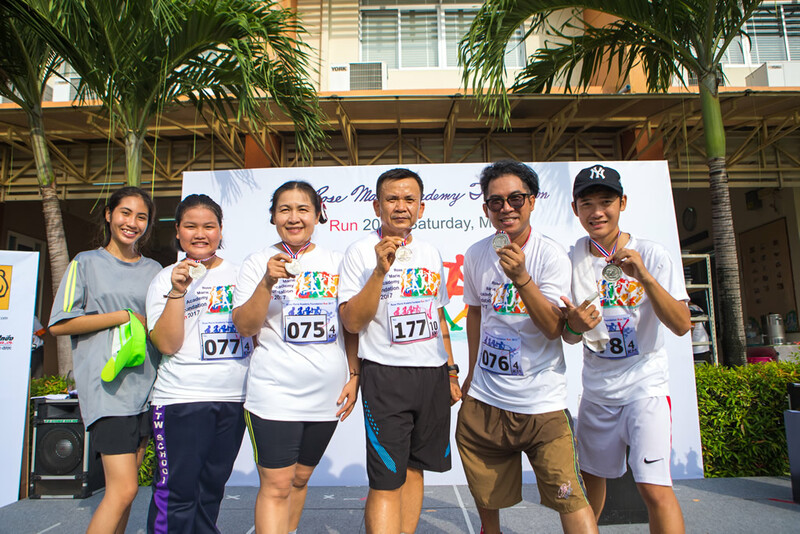 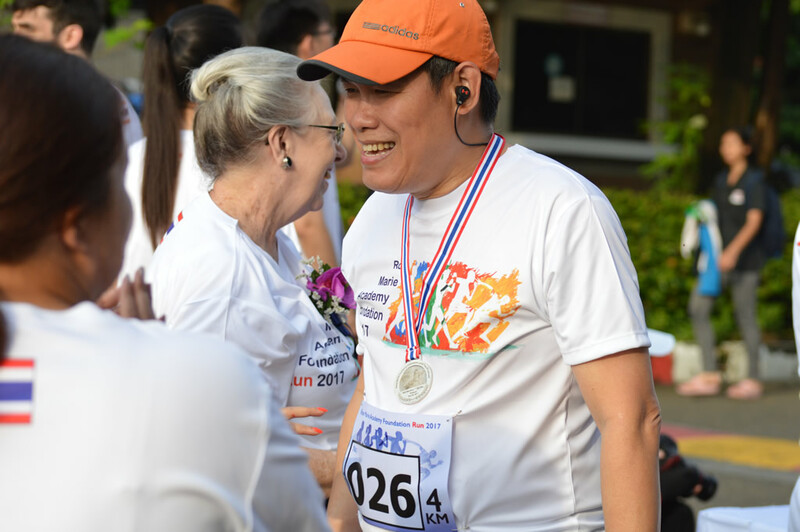 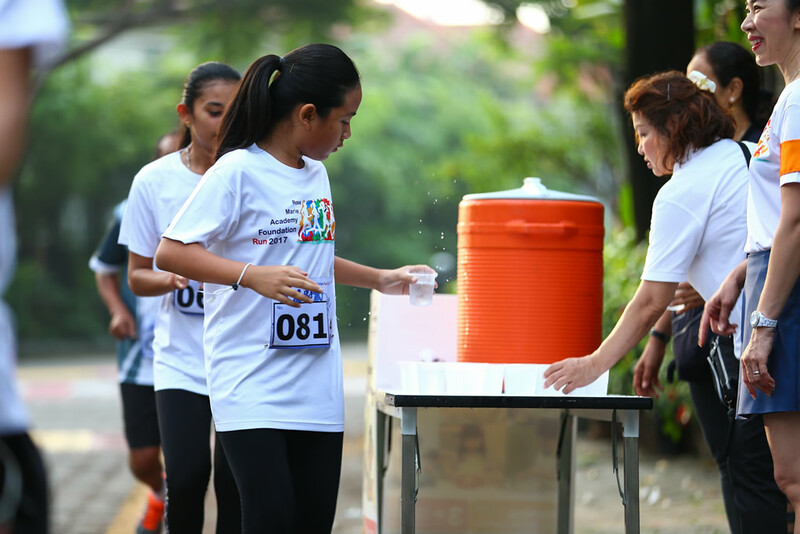 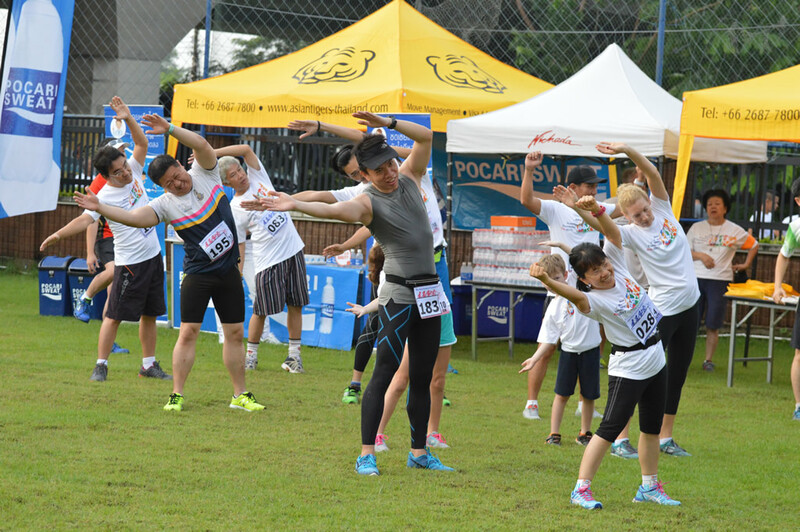 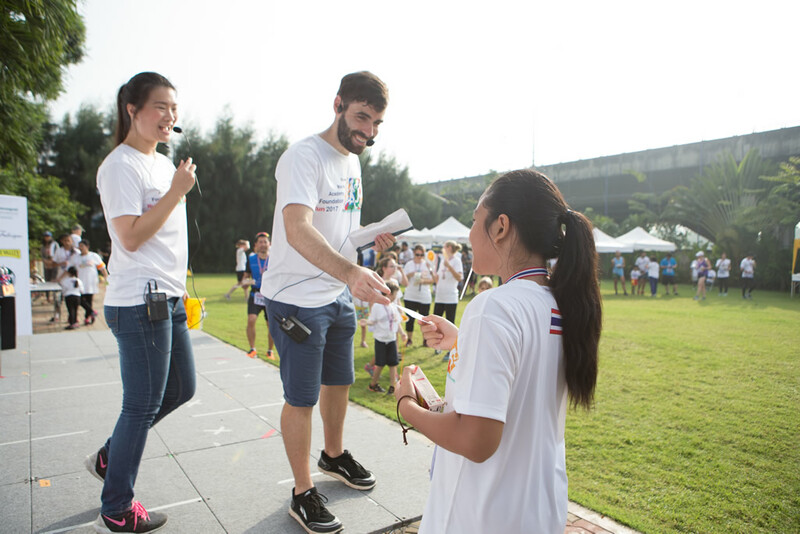 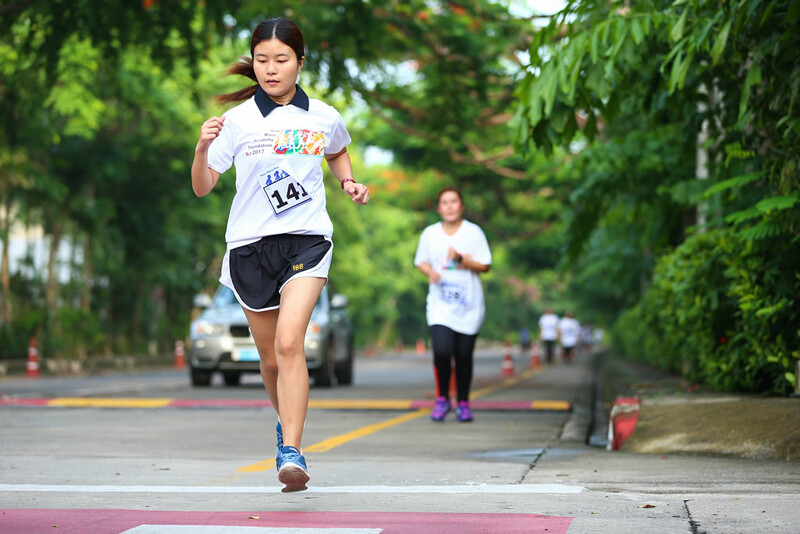 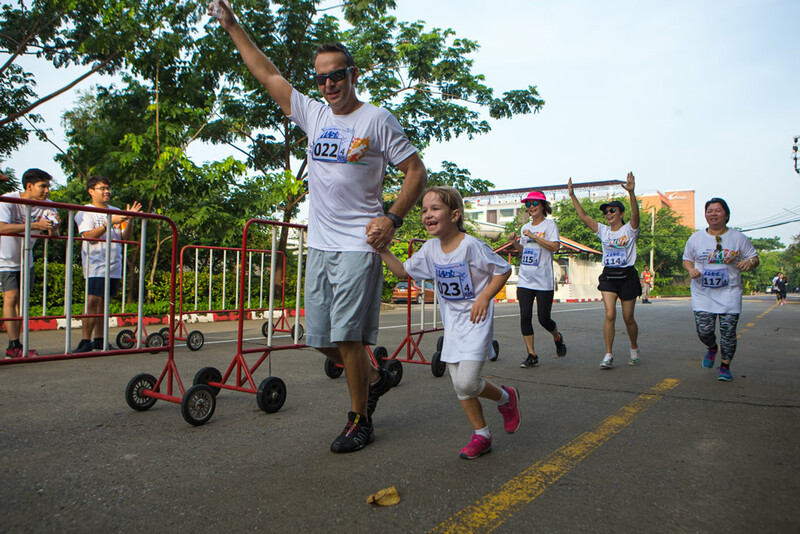 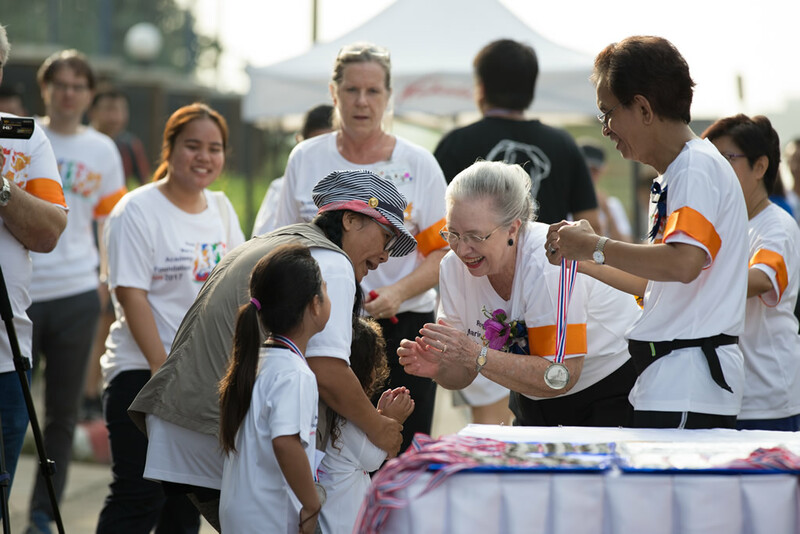 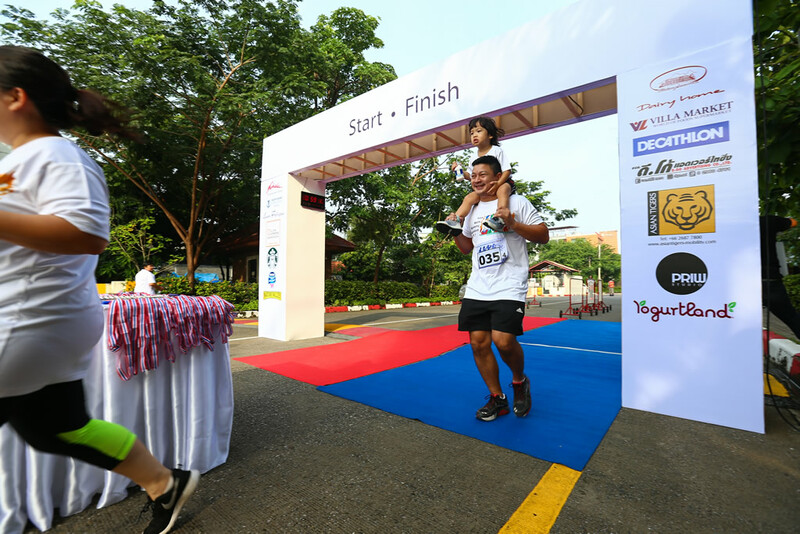 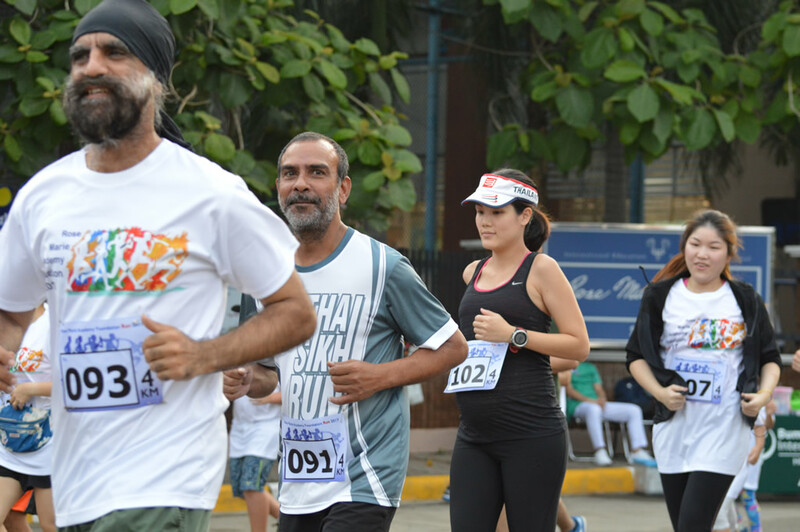 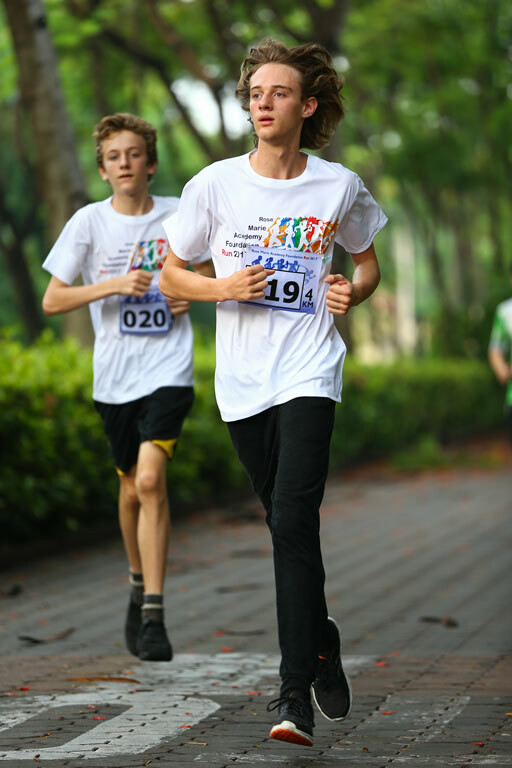 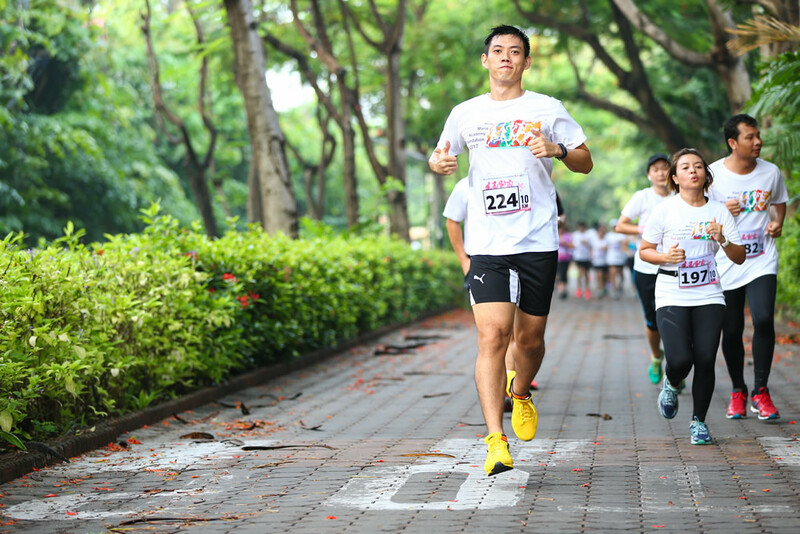 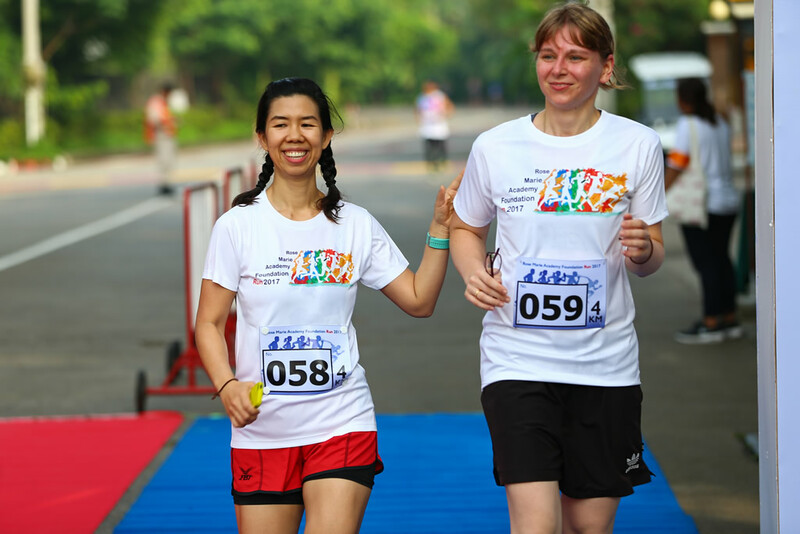 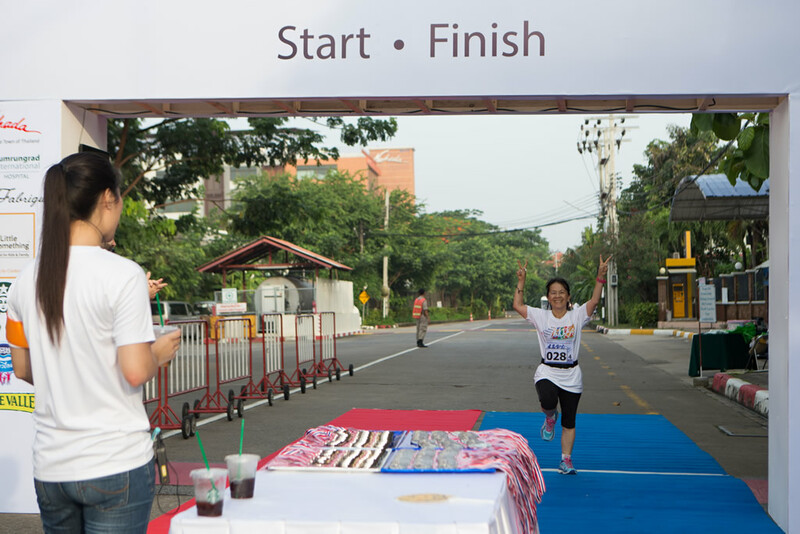 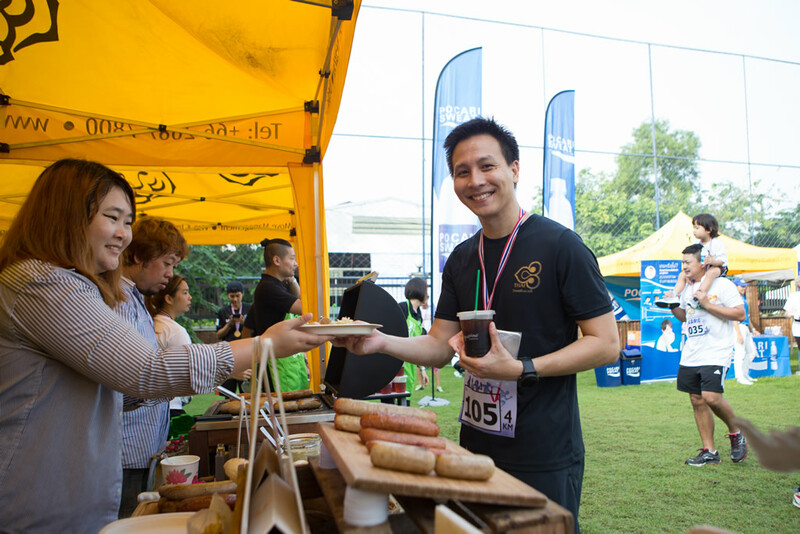 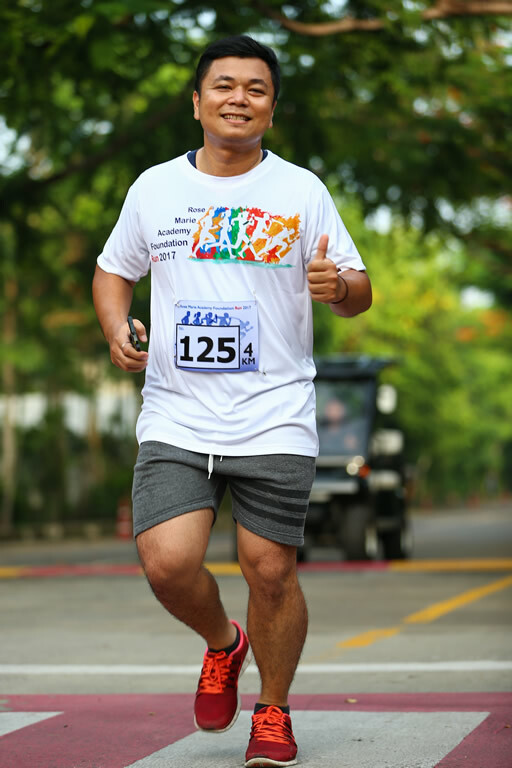 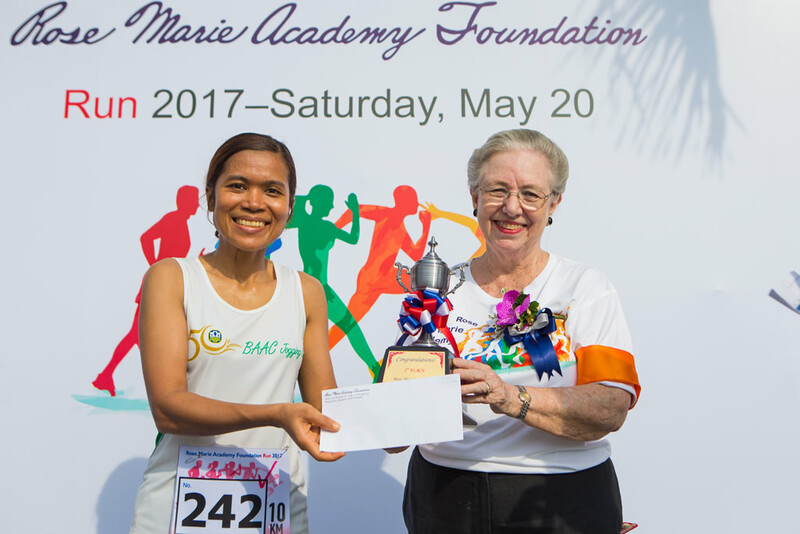 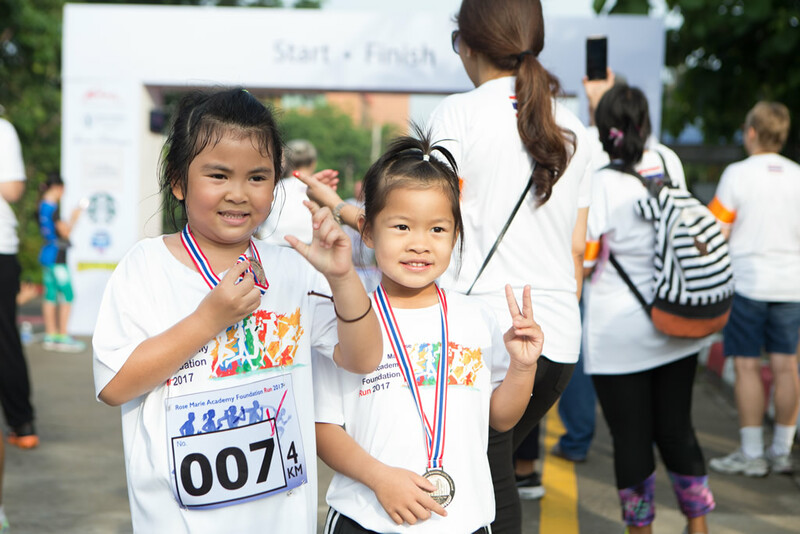 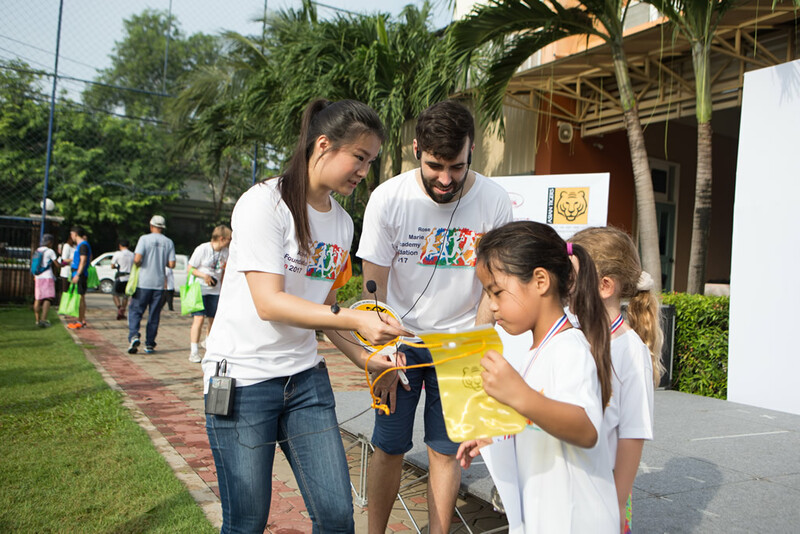 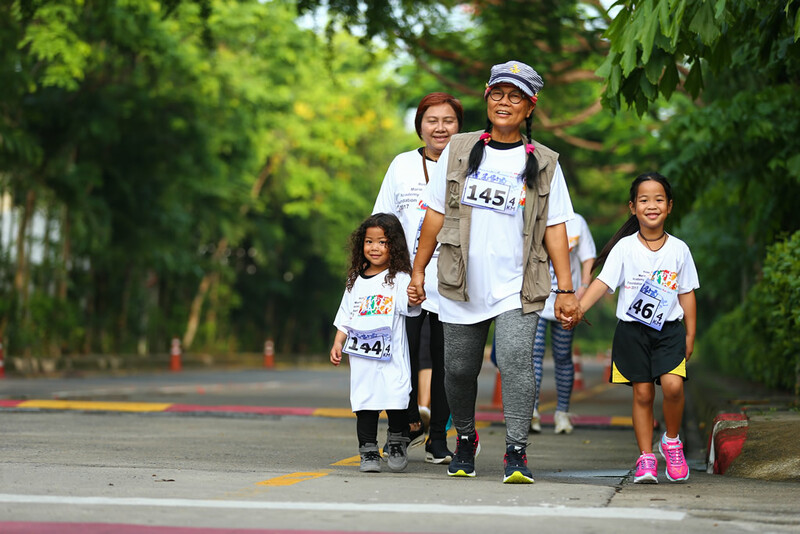 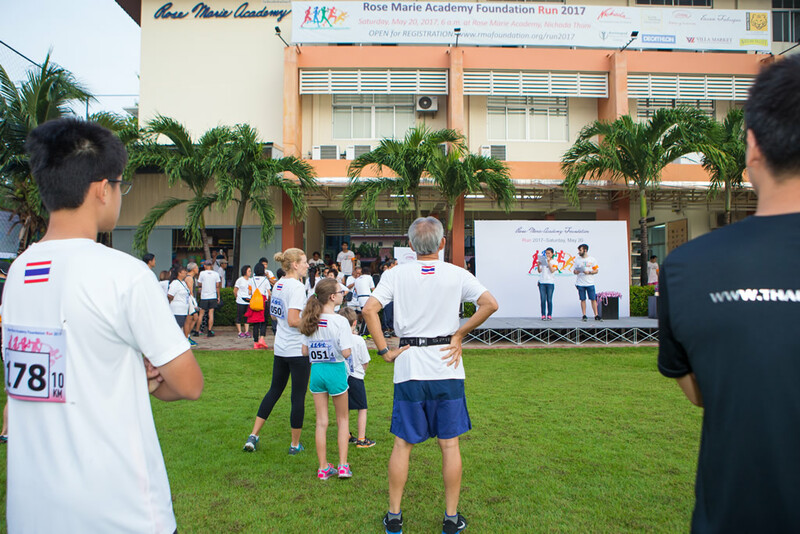 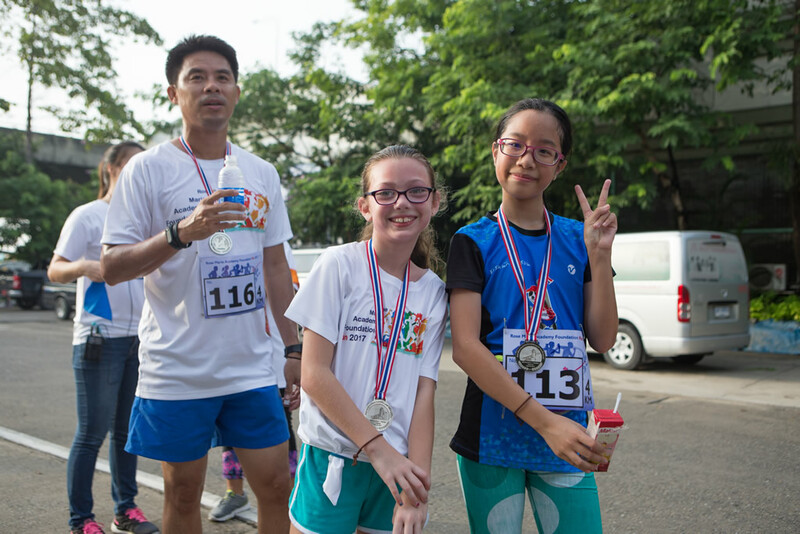 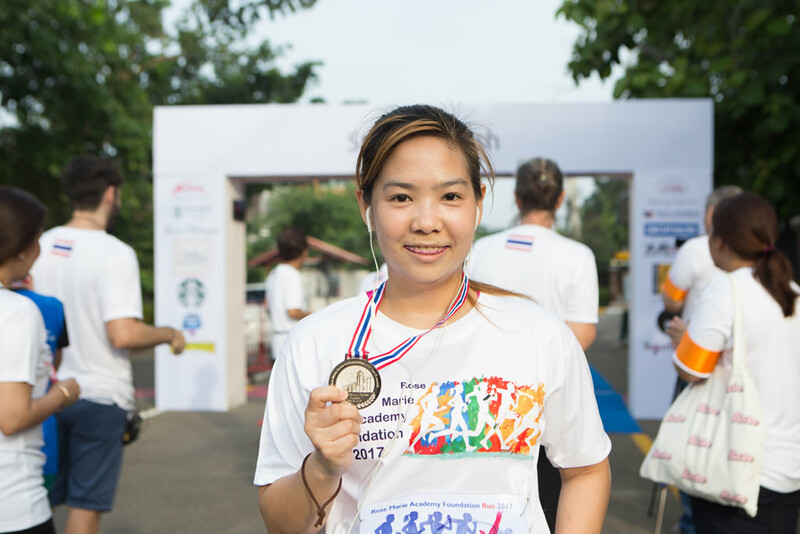 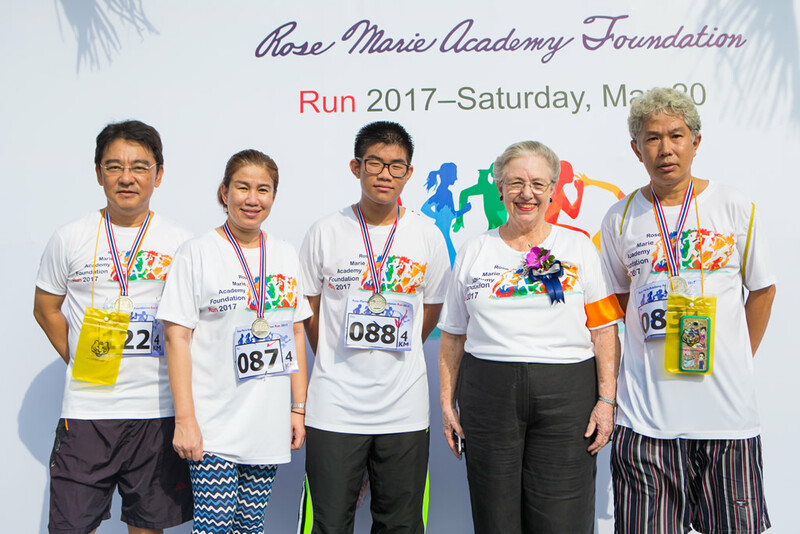 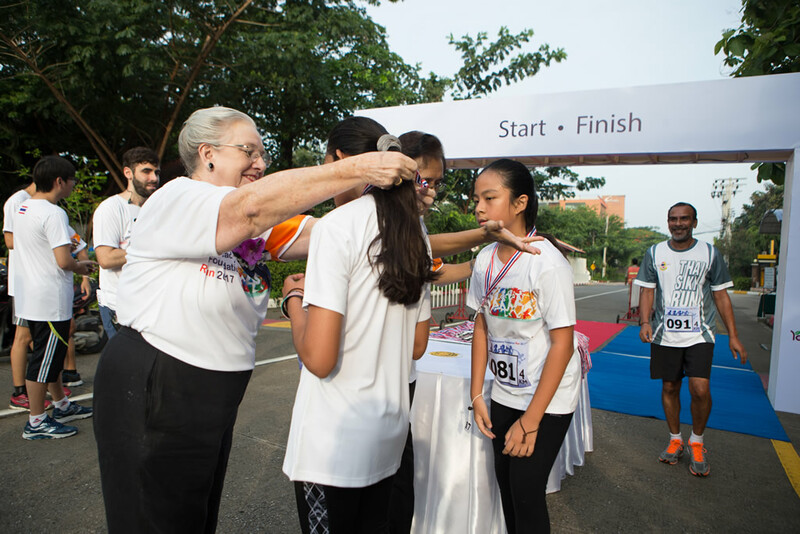 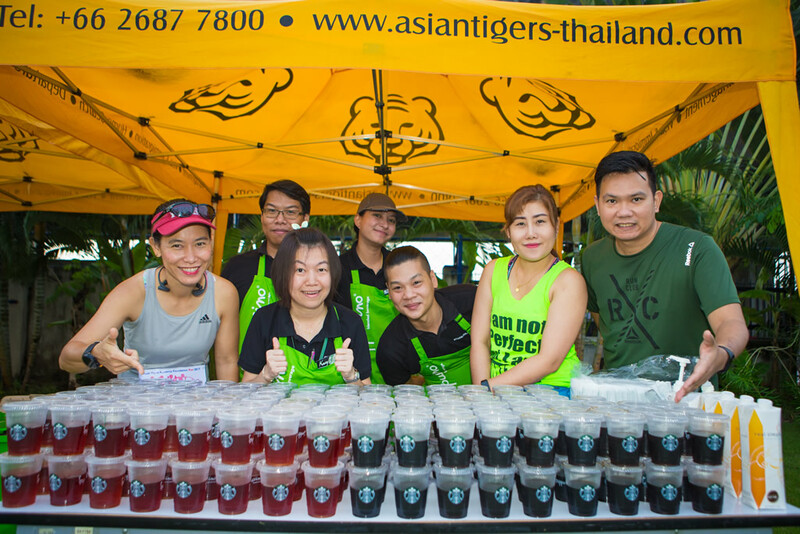 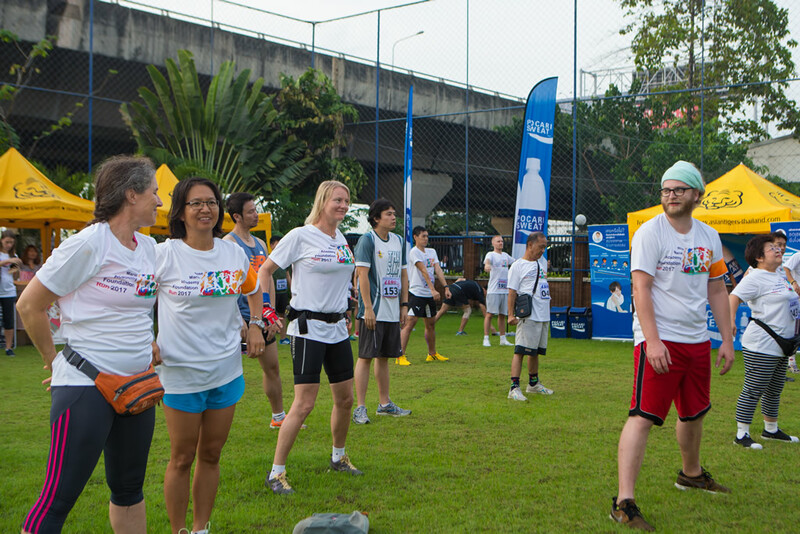 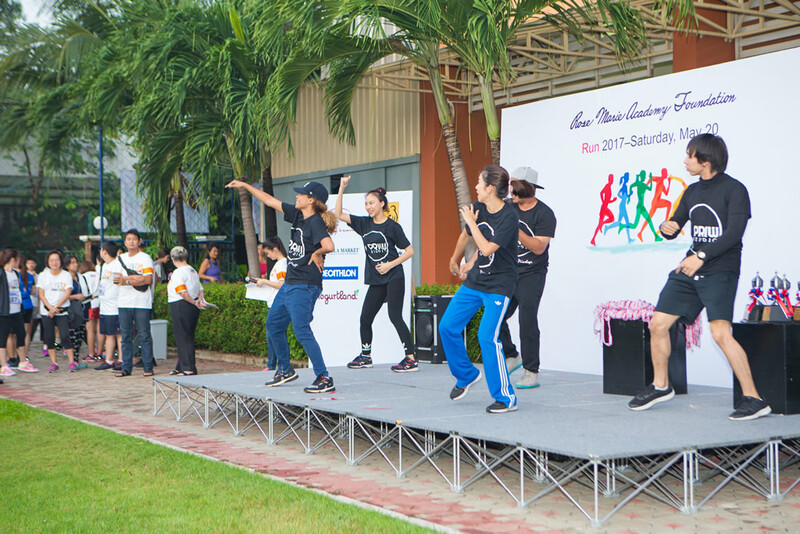 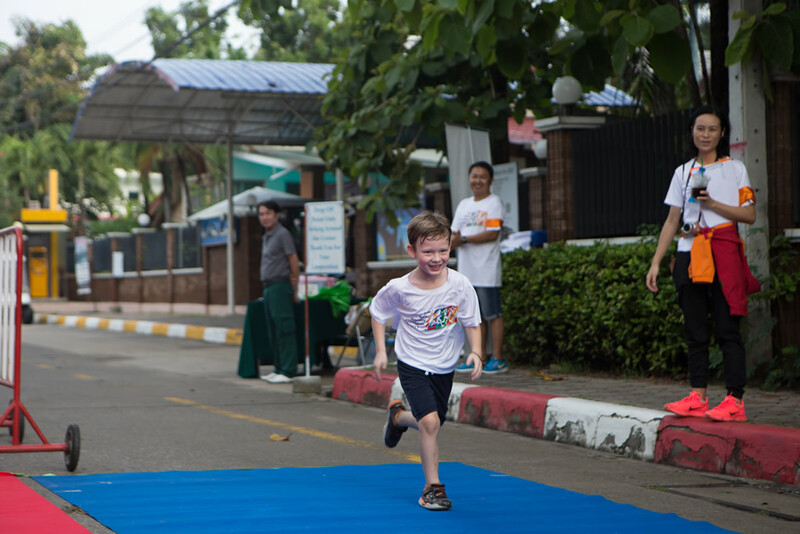 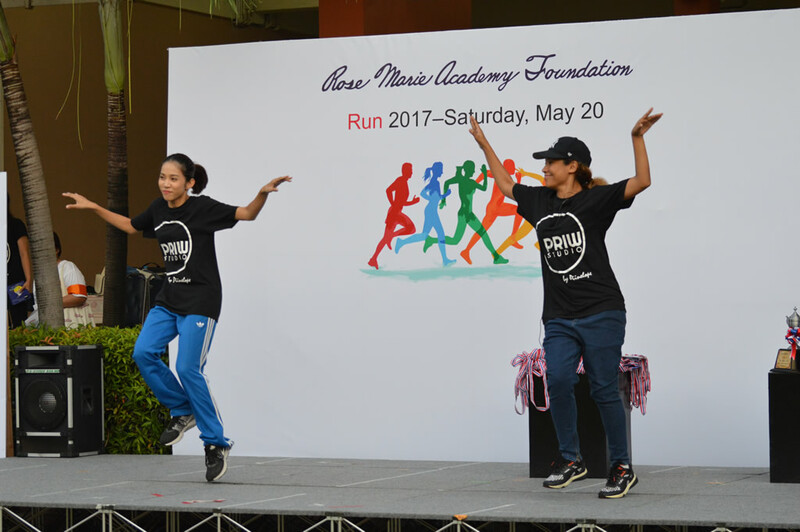 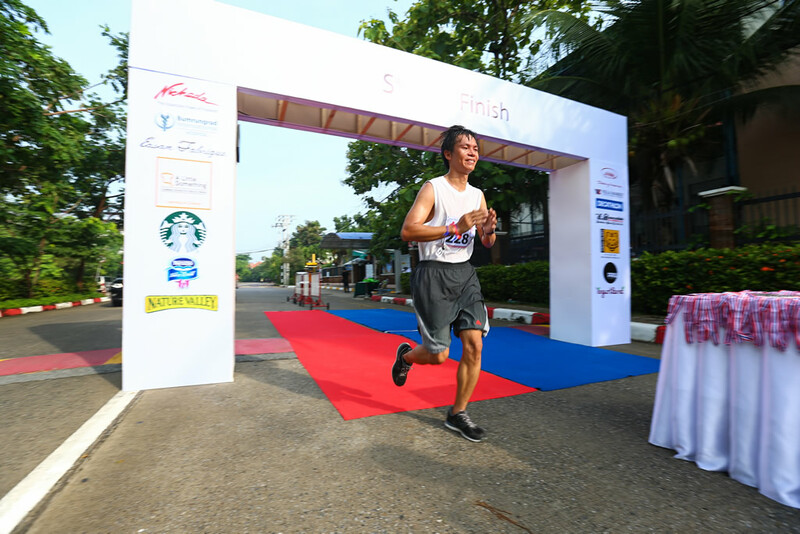 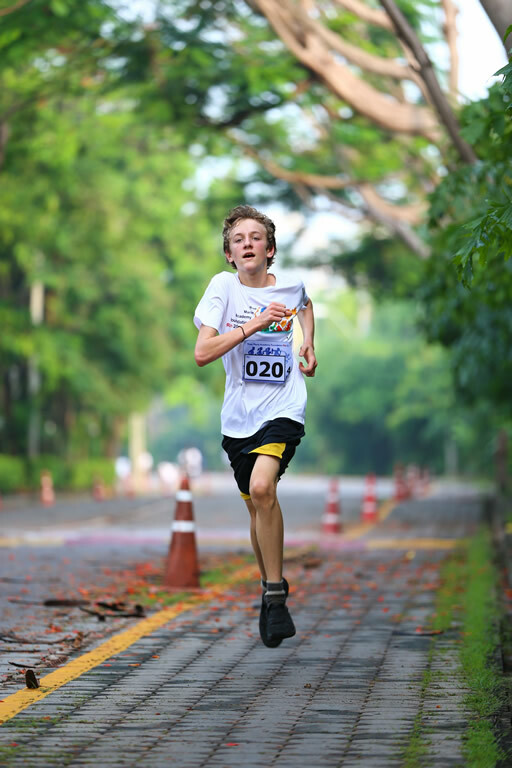 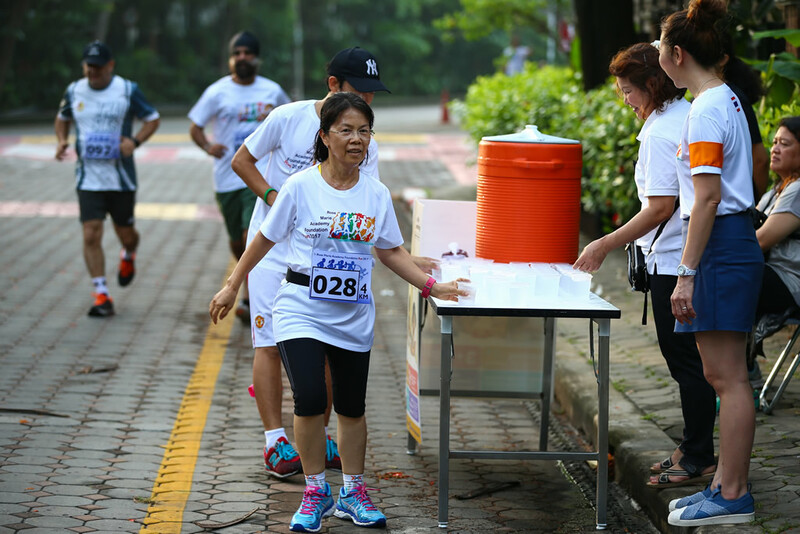 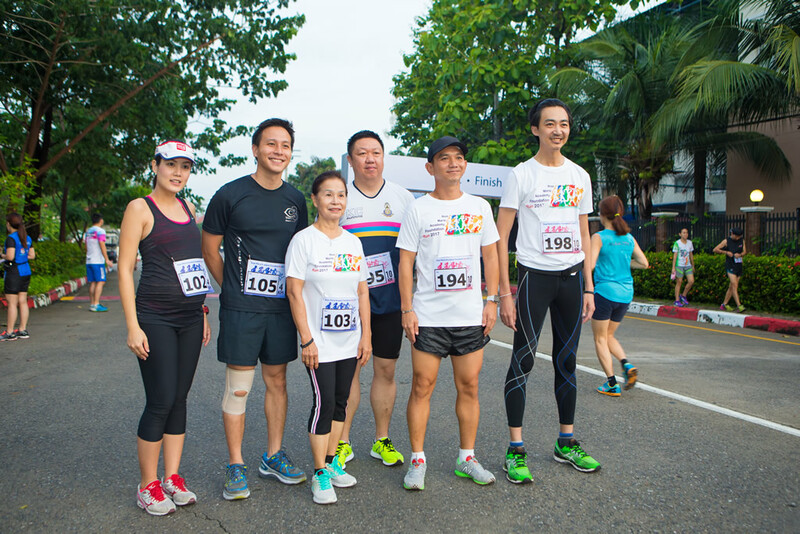 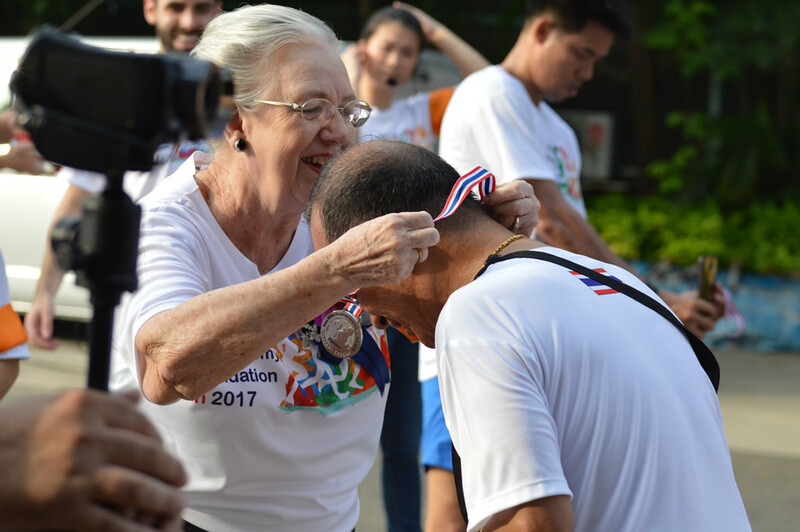 The Rose Marie Academy Foundation organized a fun and healthy charity run entitled The Rose Marie Academy Foundation Run 2017 , which took place at Nichada Thani on May 20, 2017. 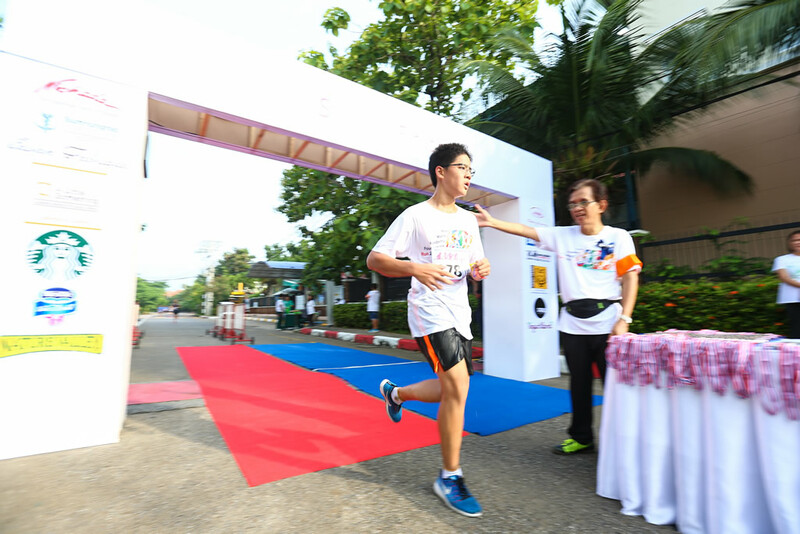 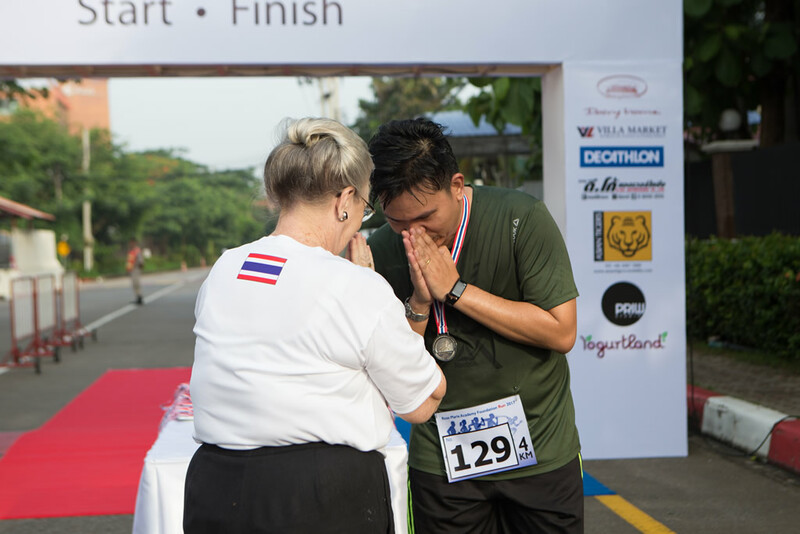 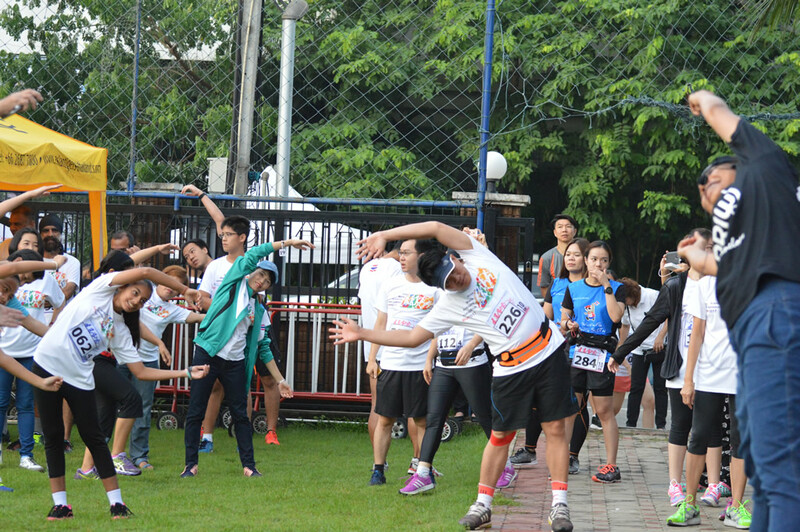 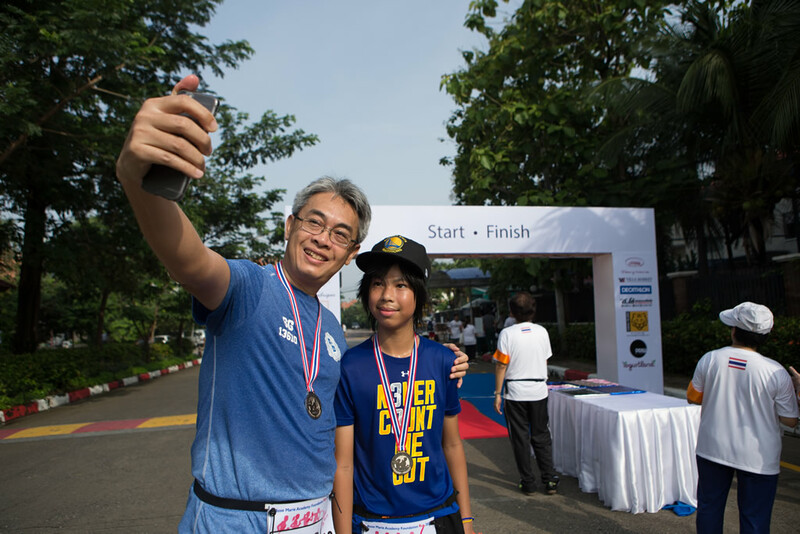 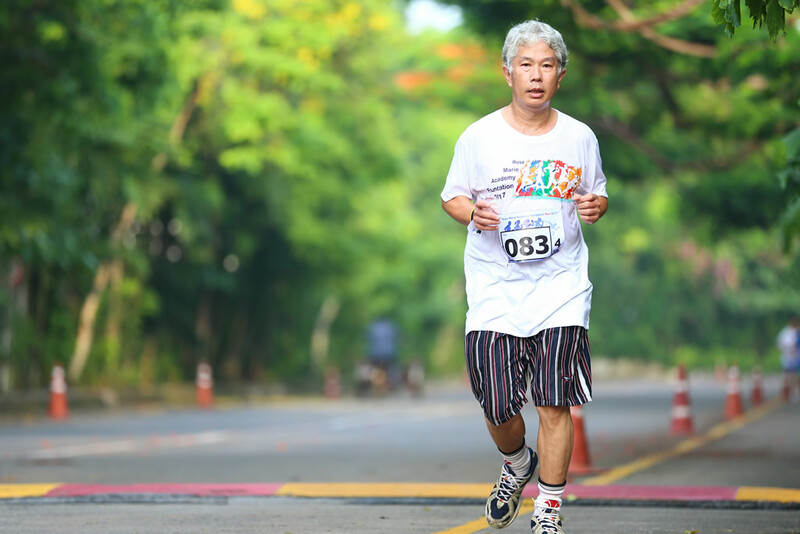 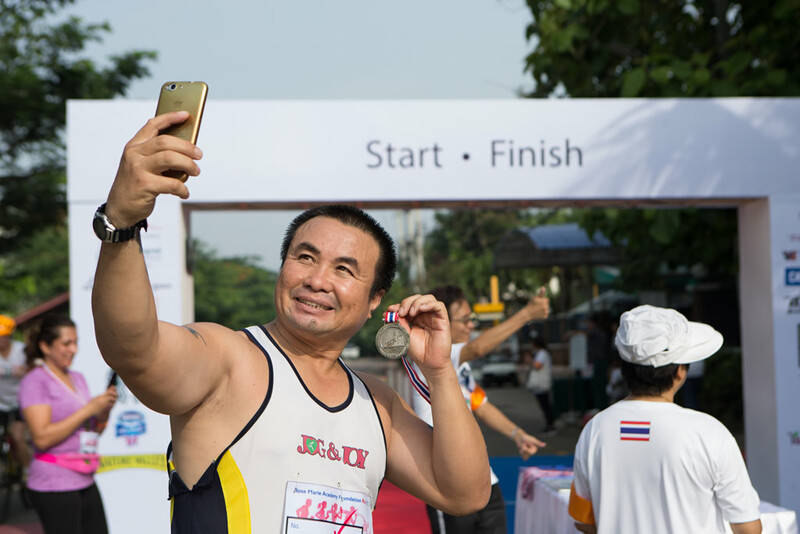 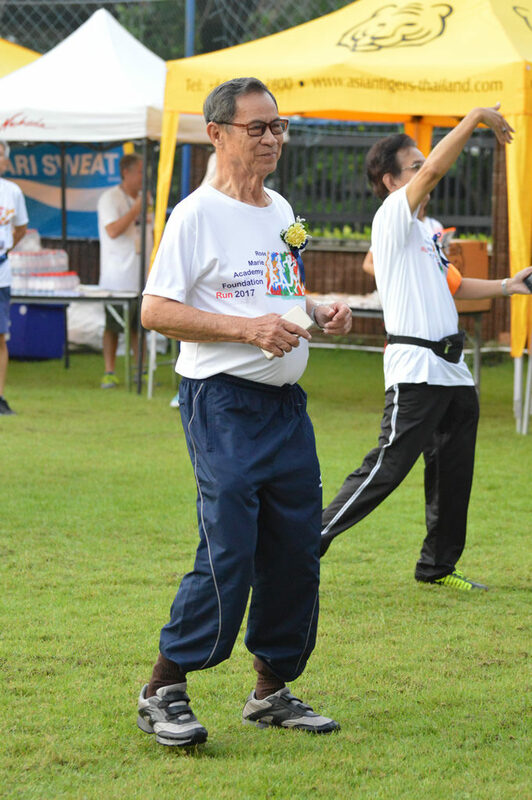 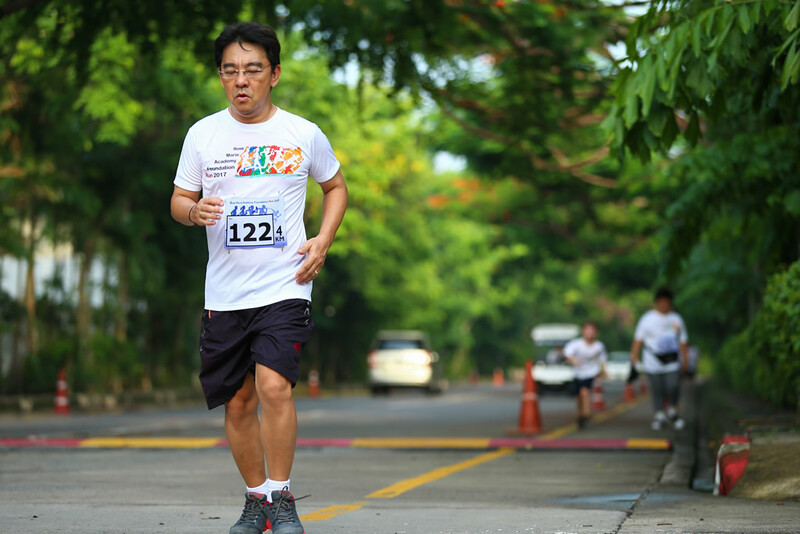 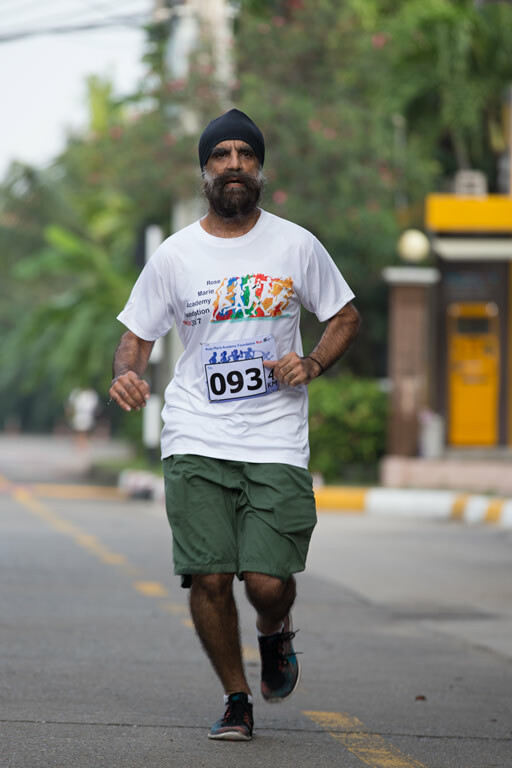 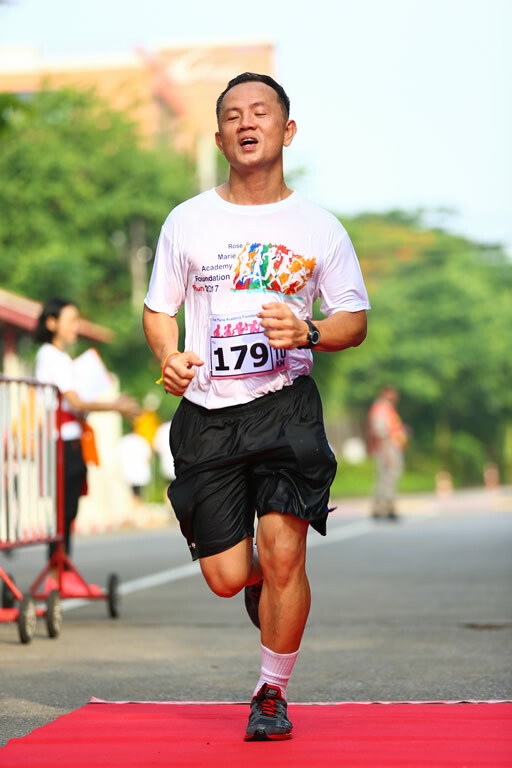 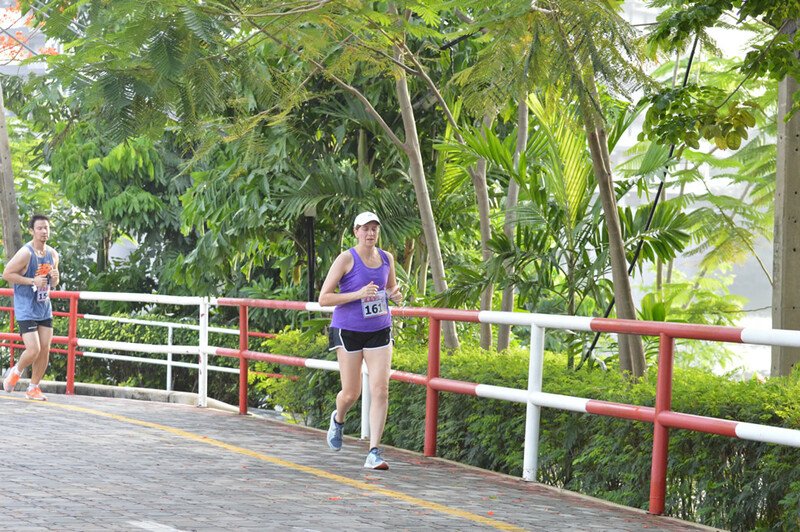 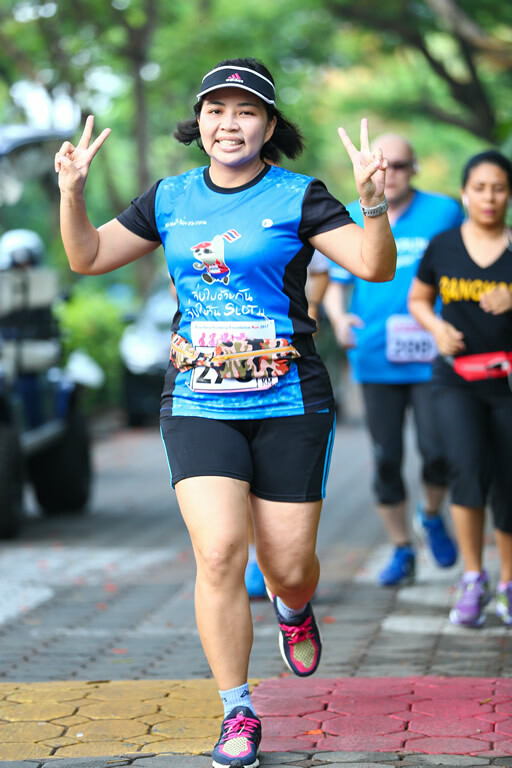 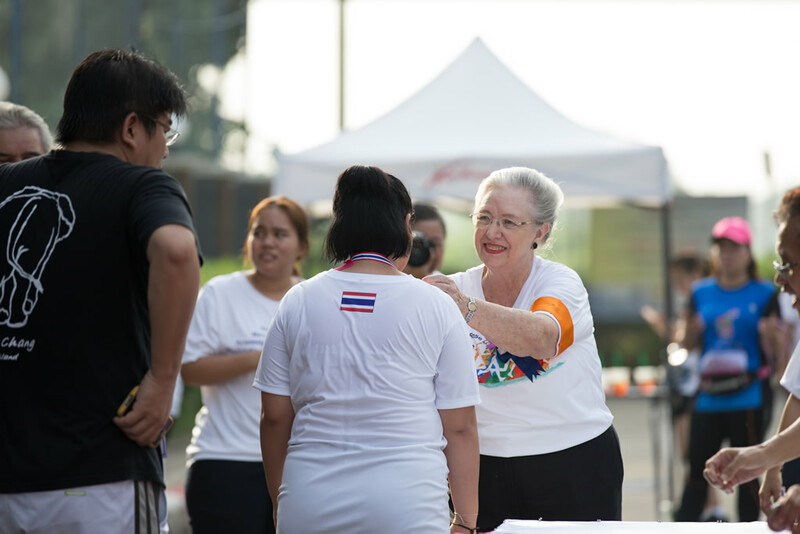 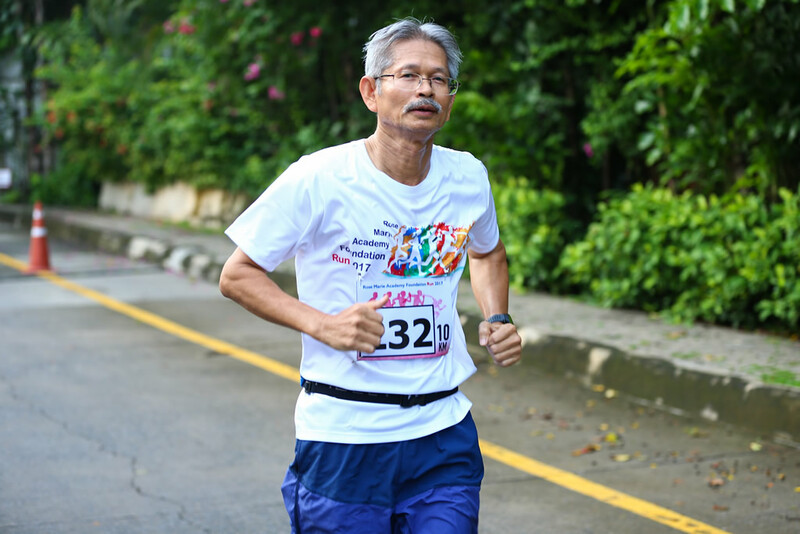 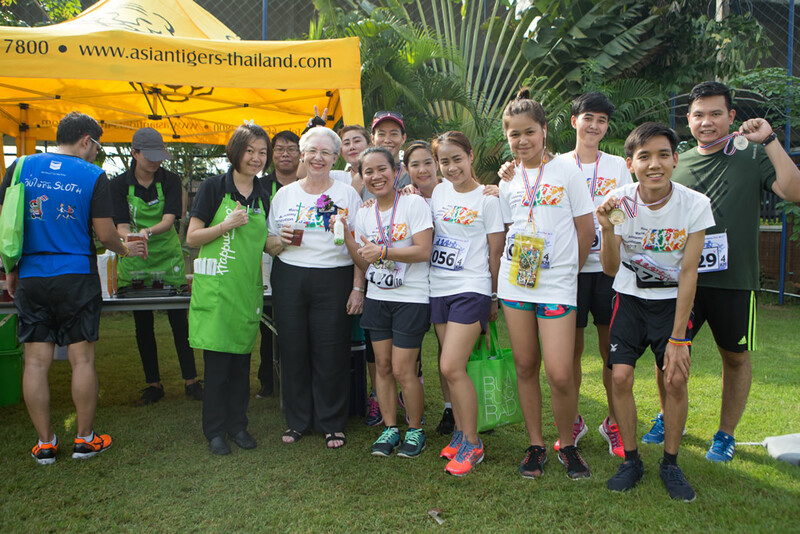 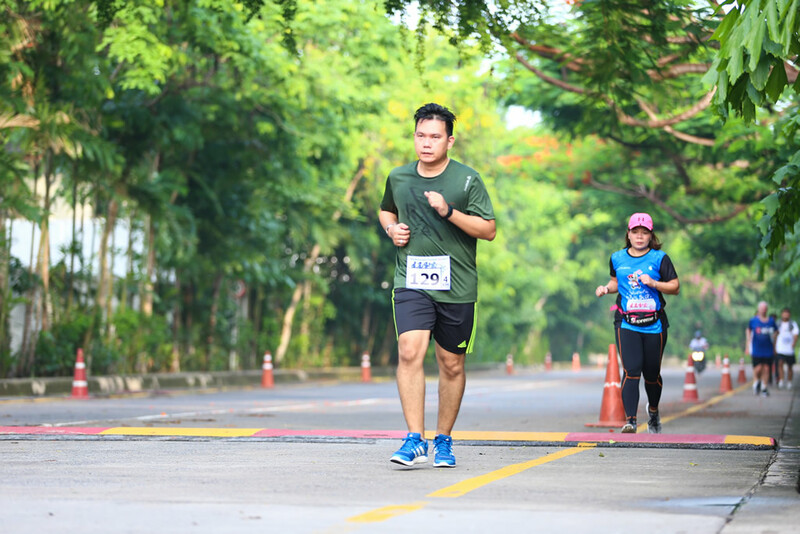 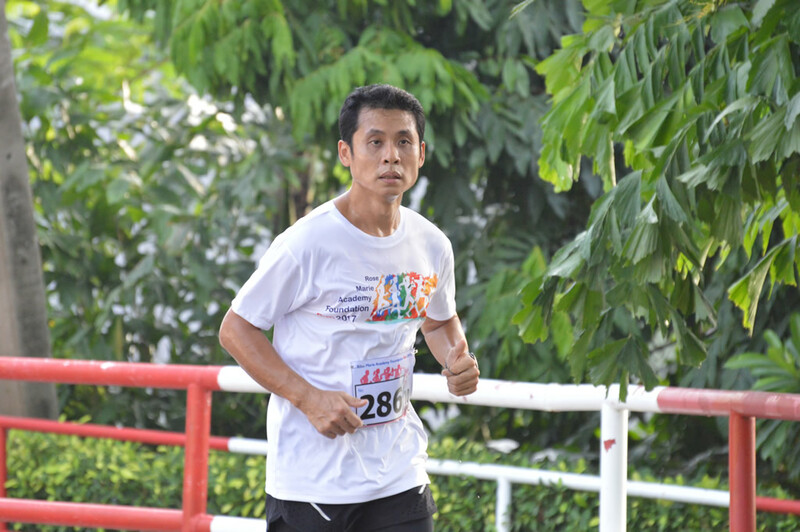 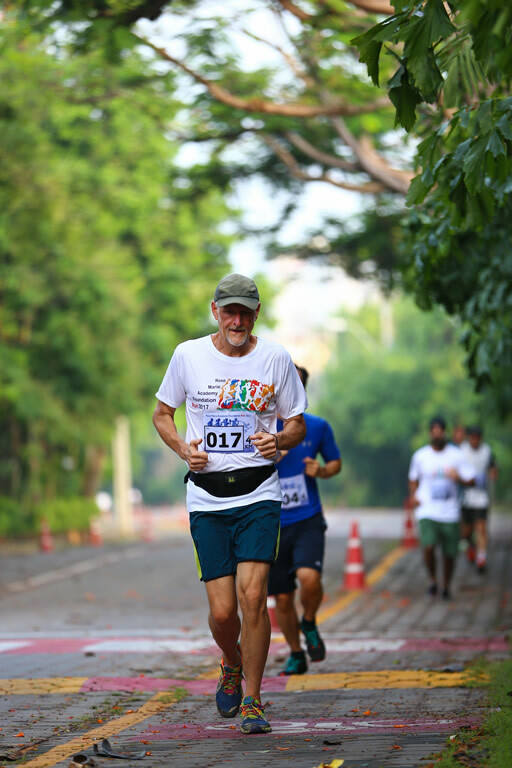 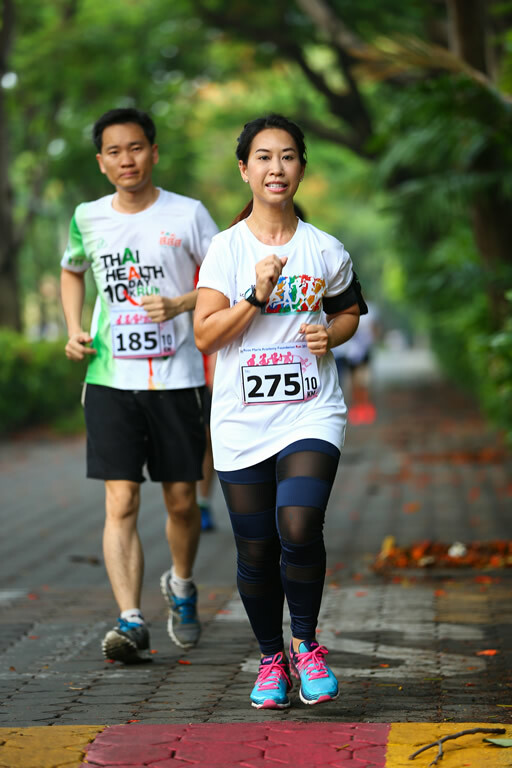 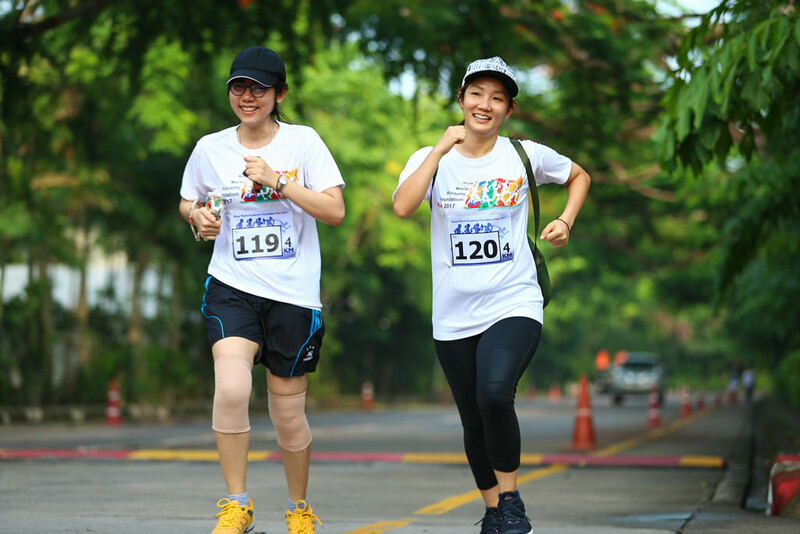 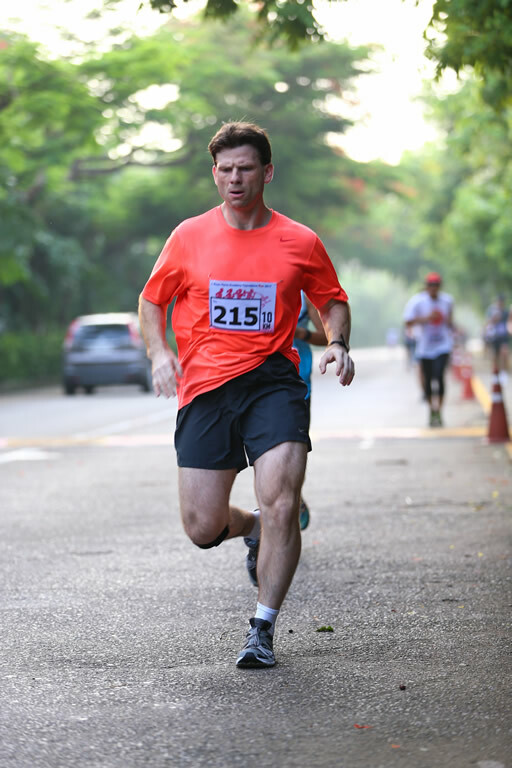 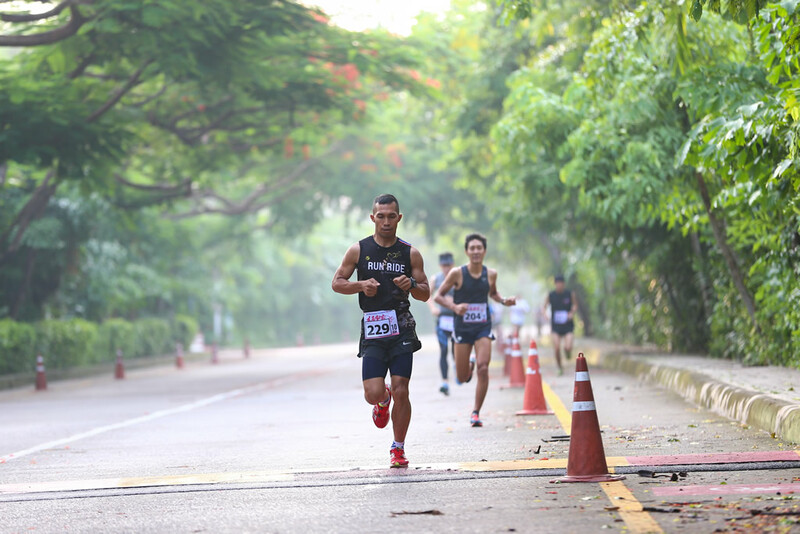 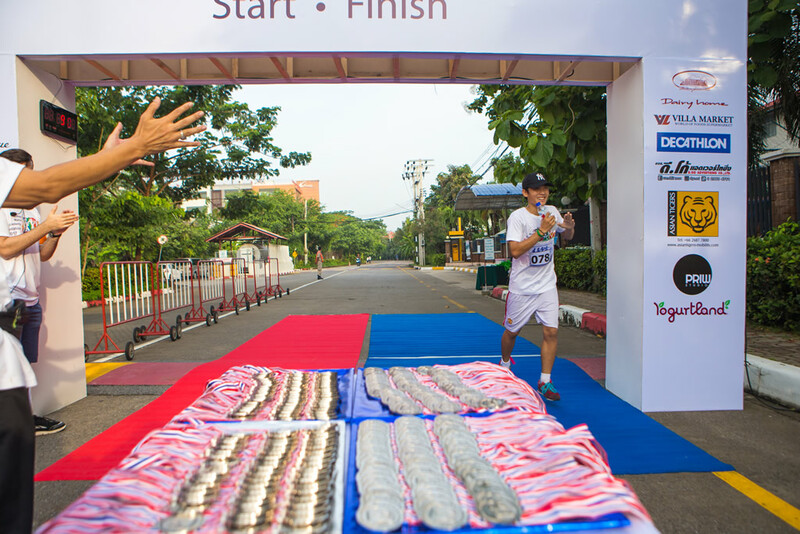 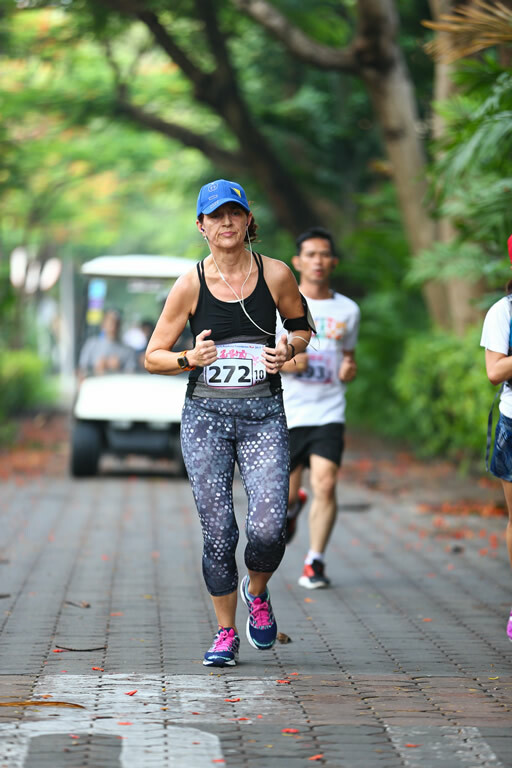 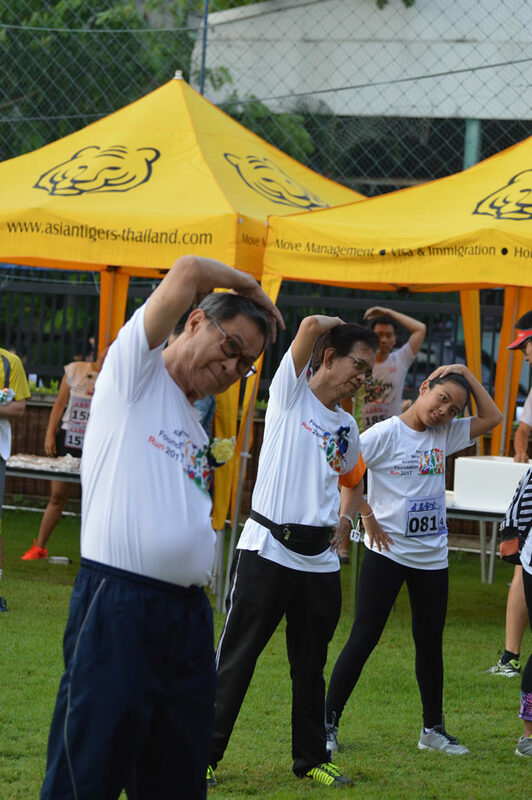 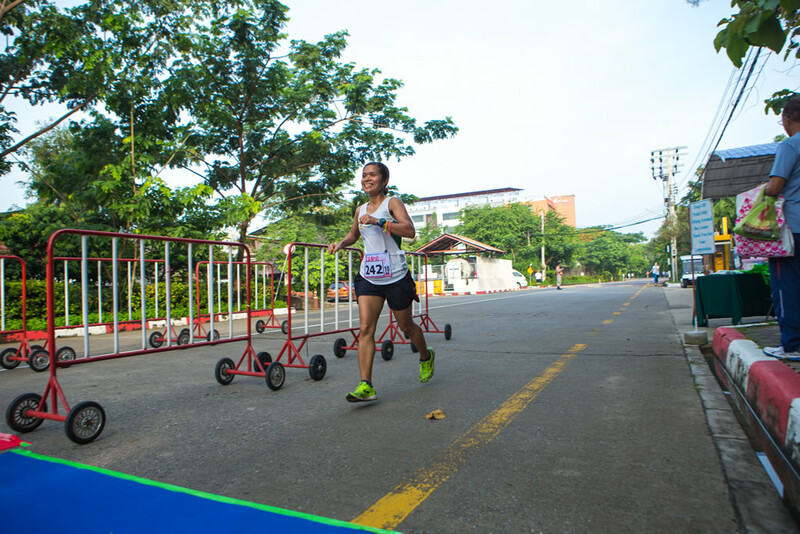 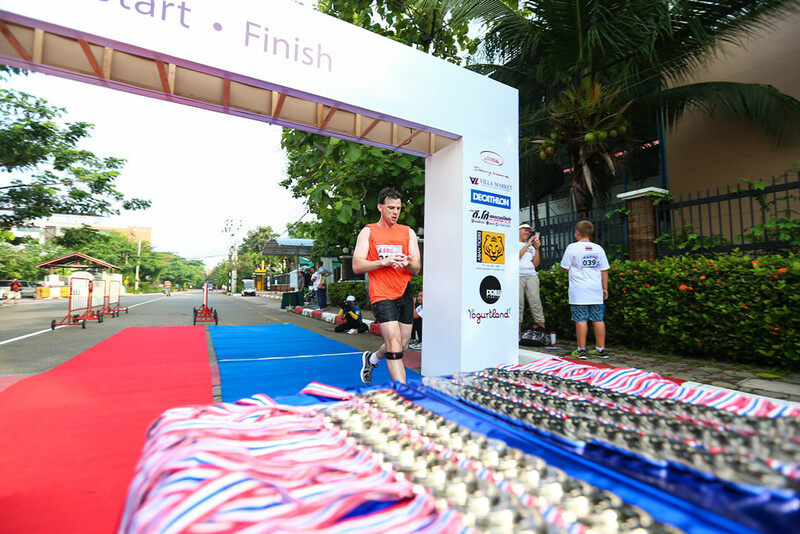 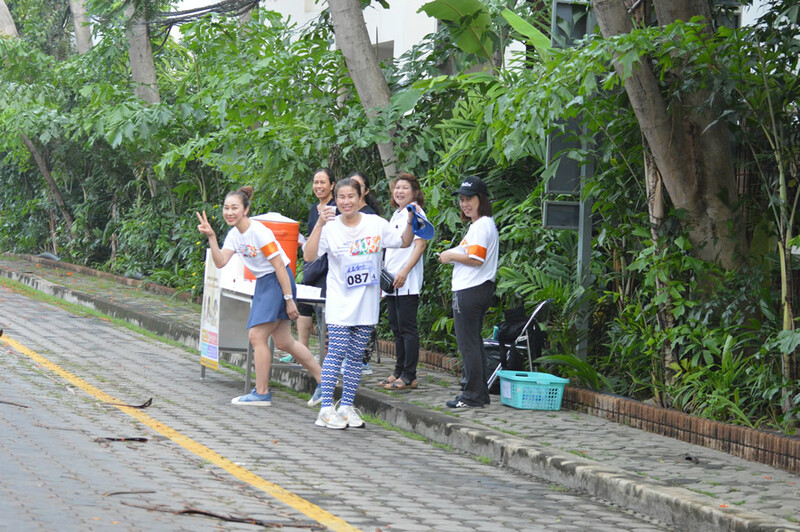 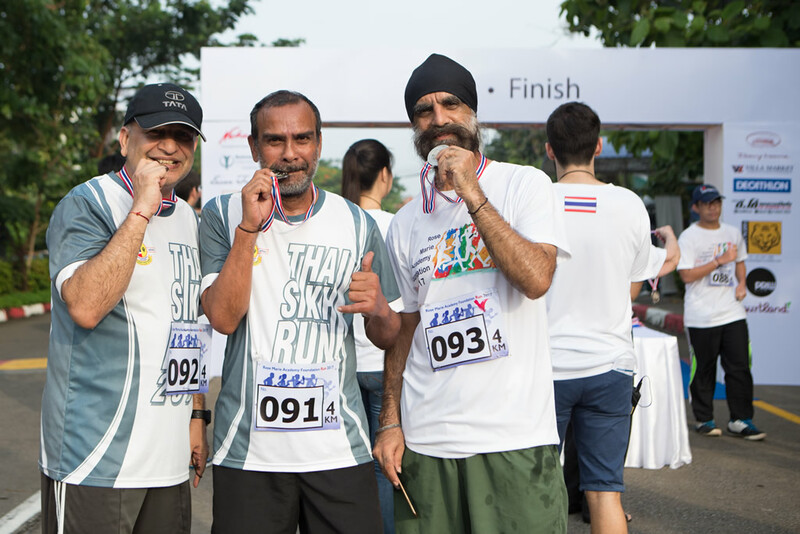 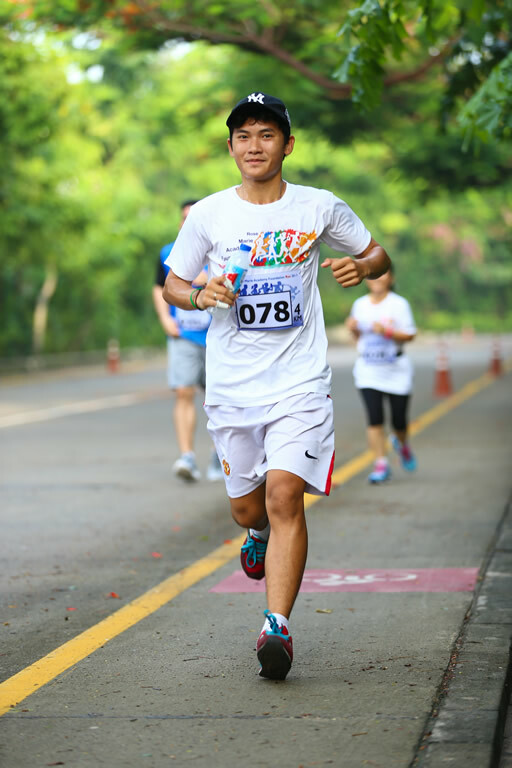 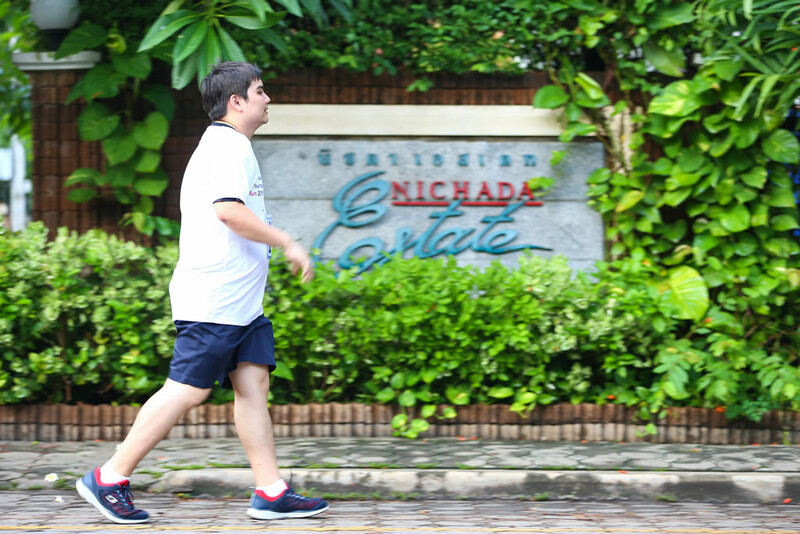 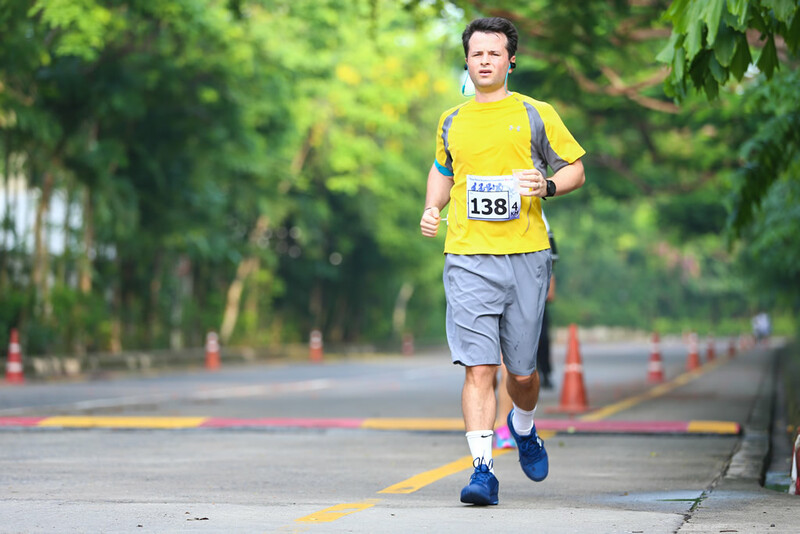 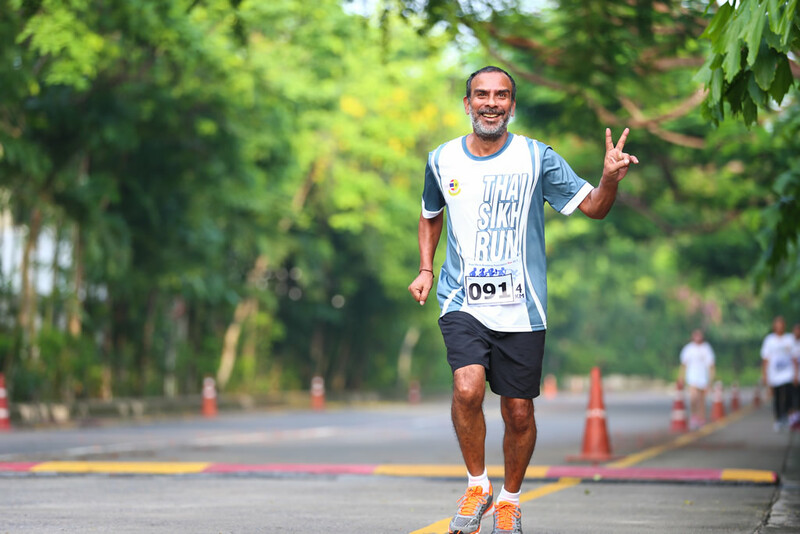 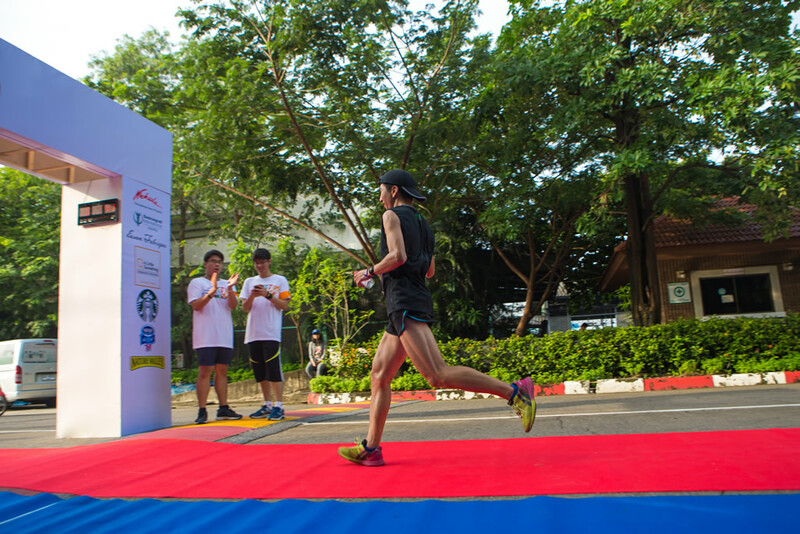 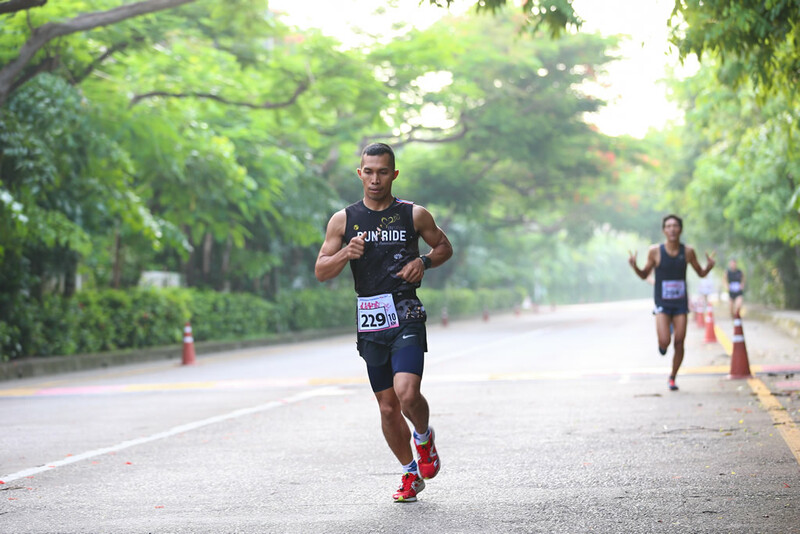 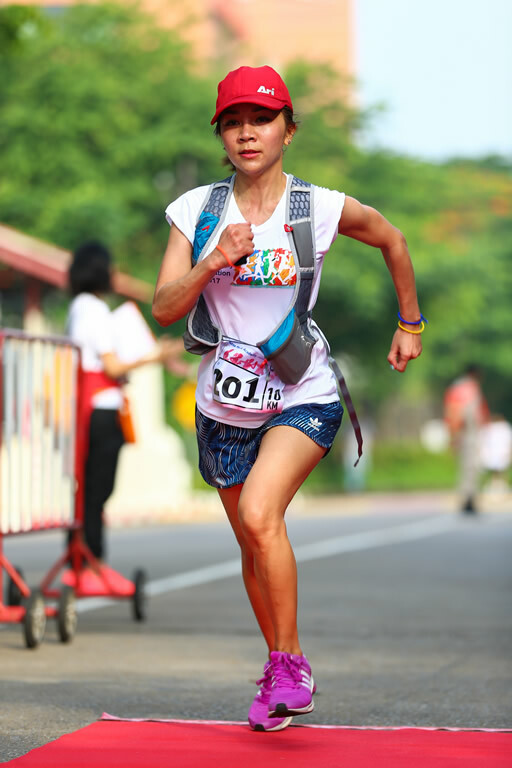 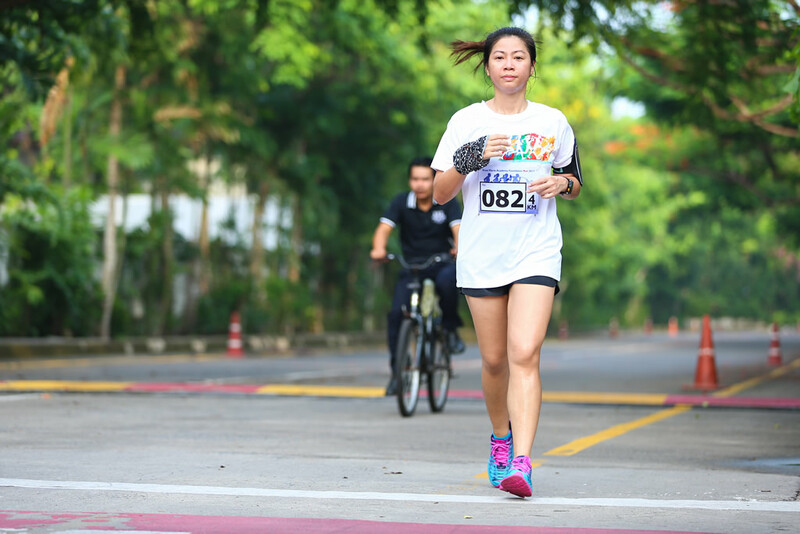 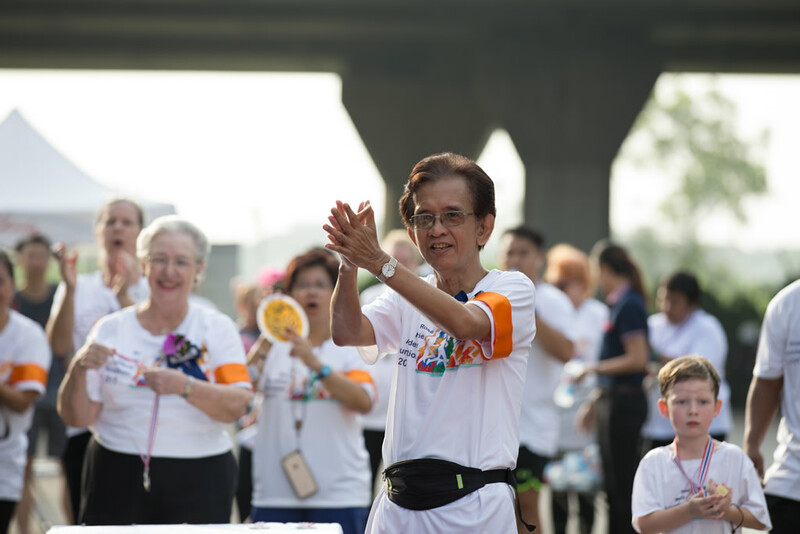 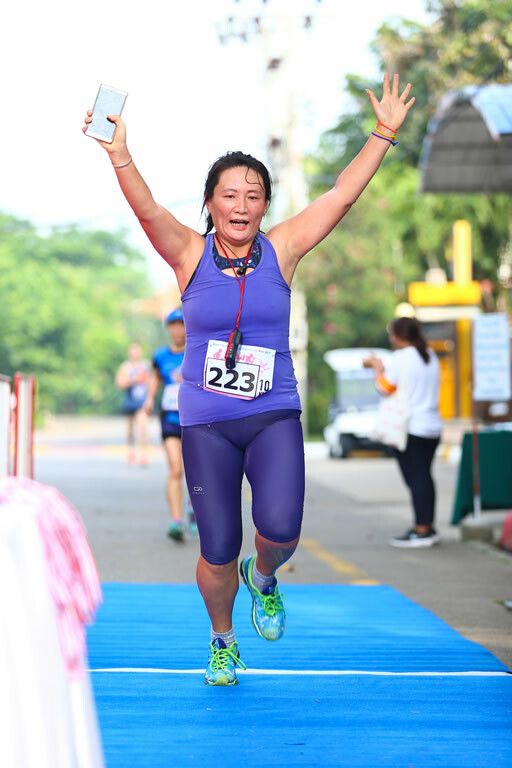 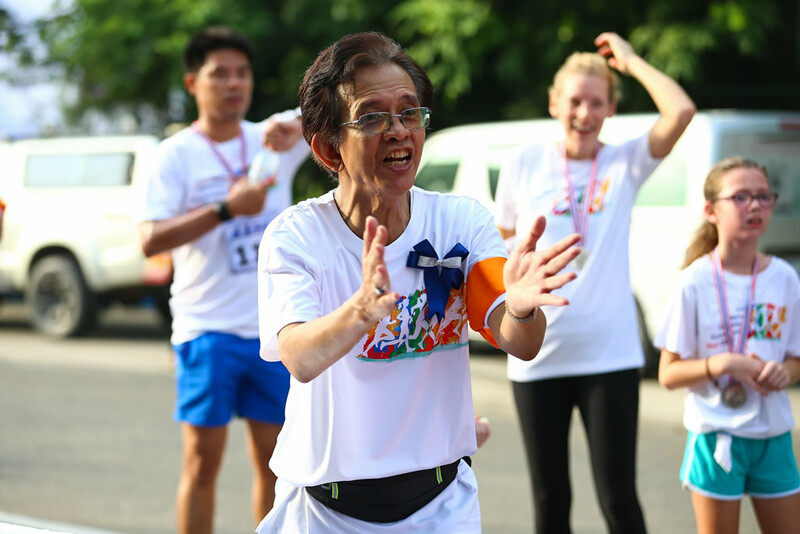 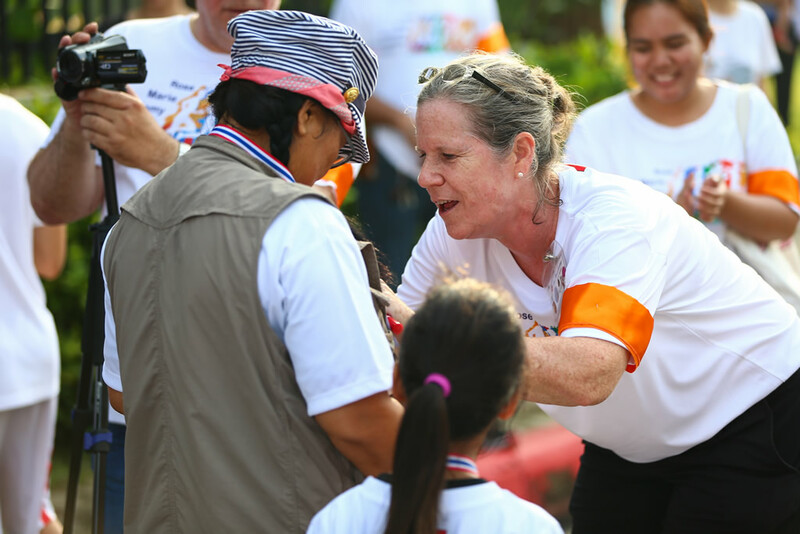 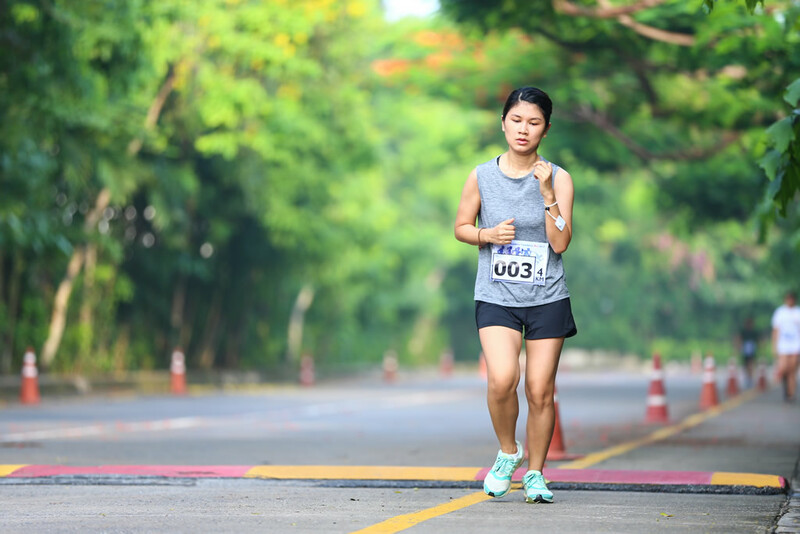 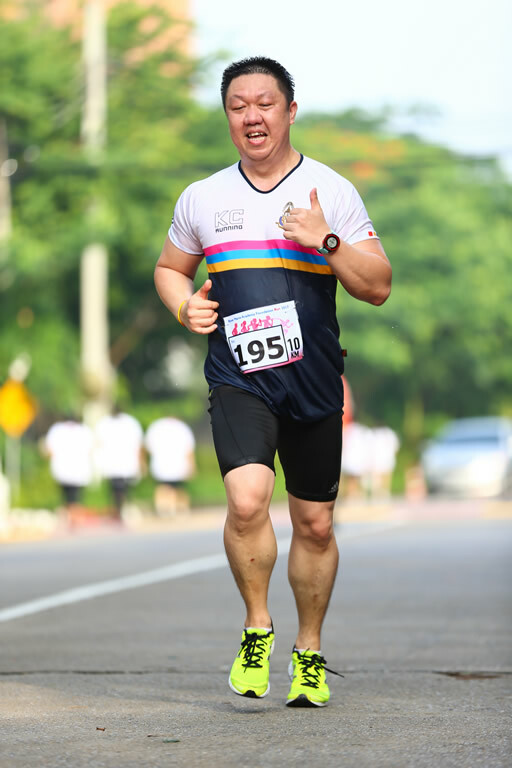 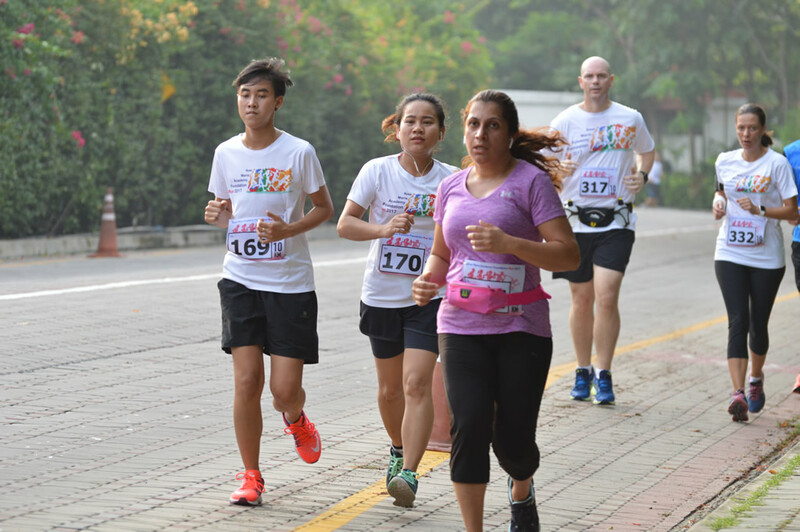 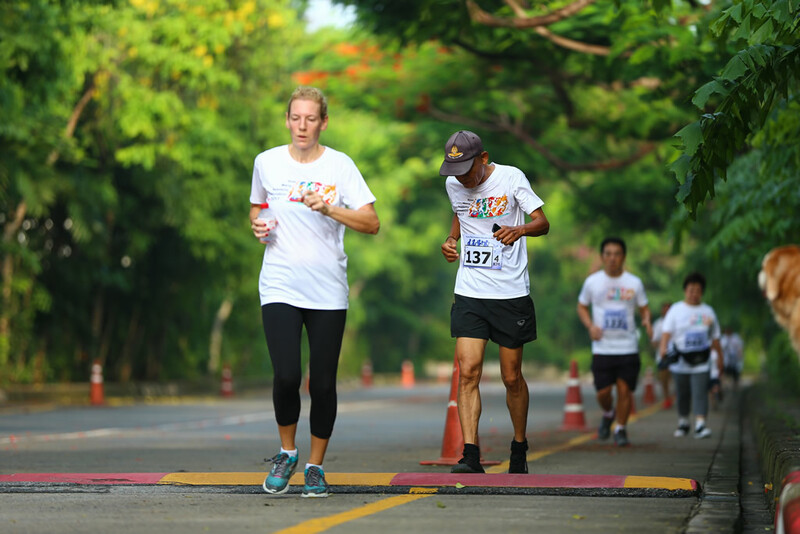 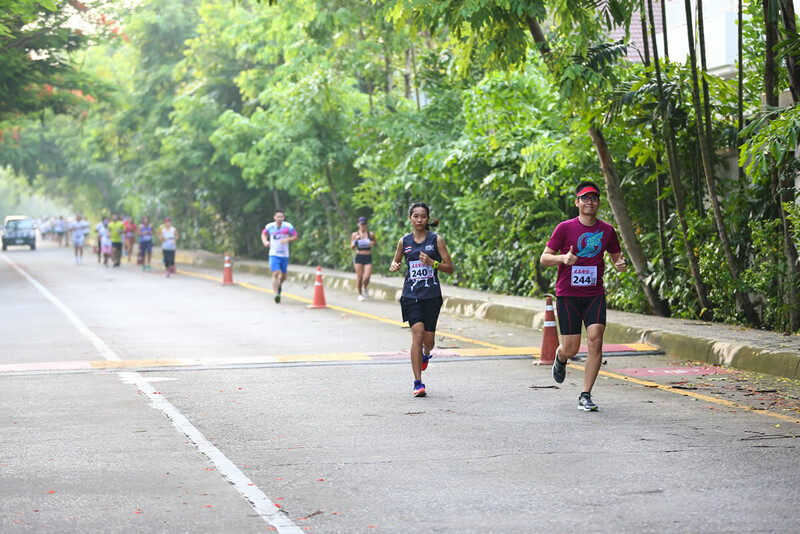 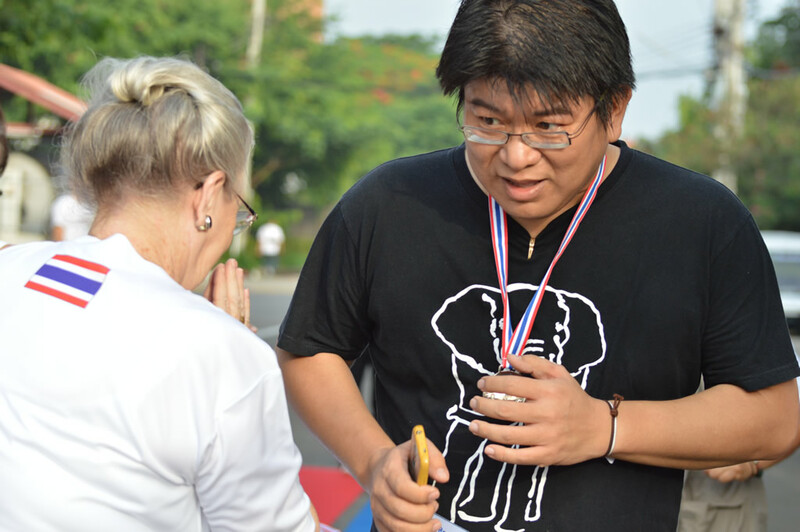 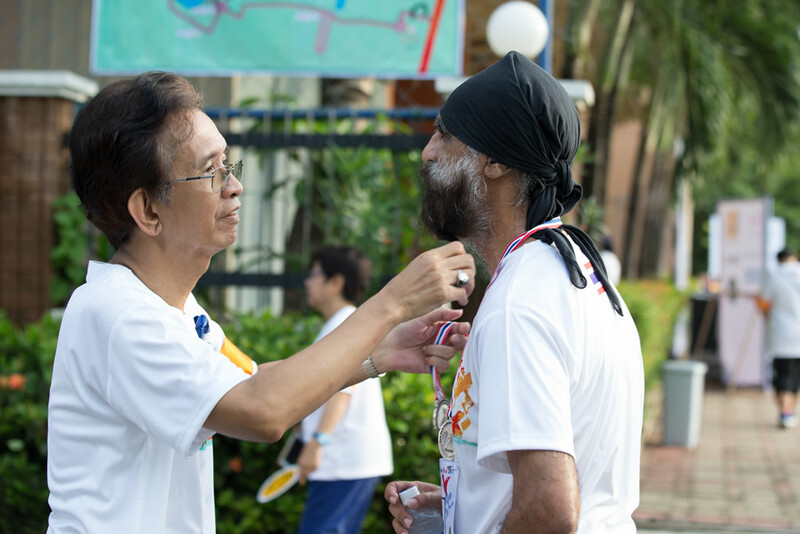 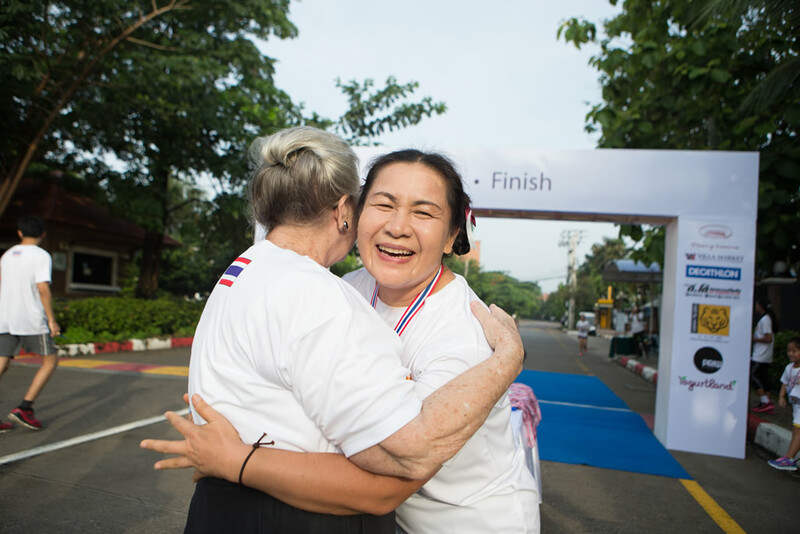 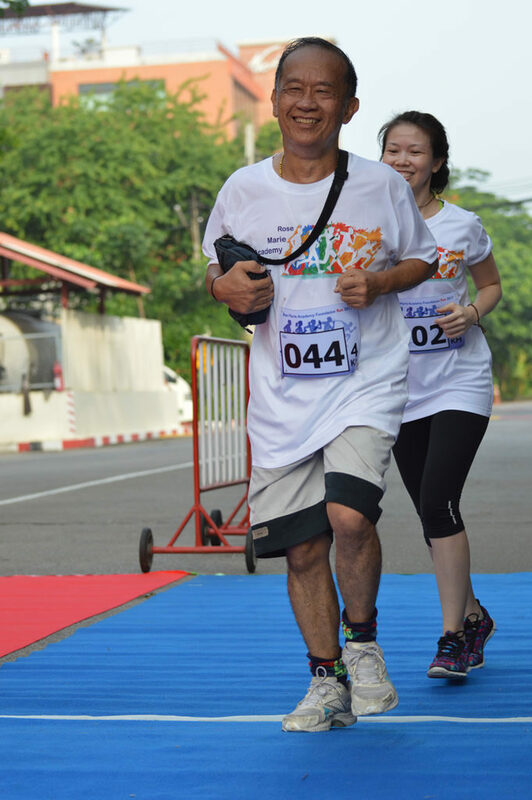 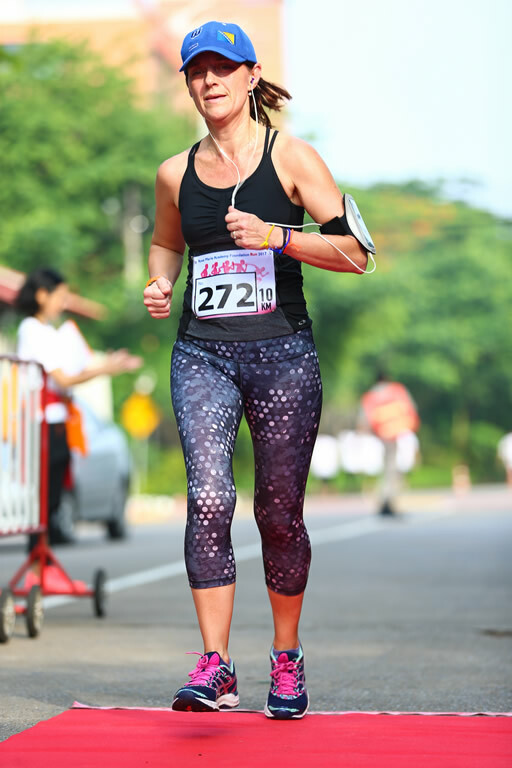 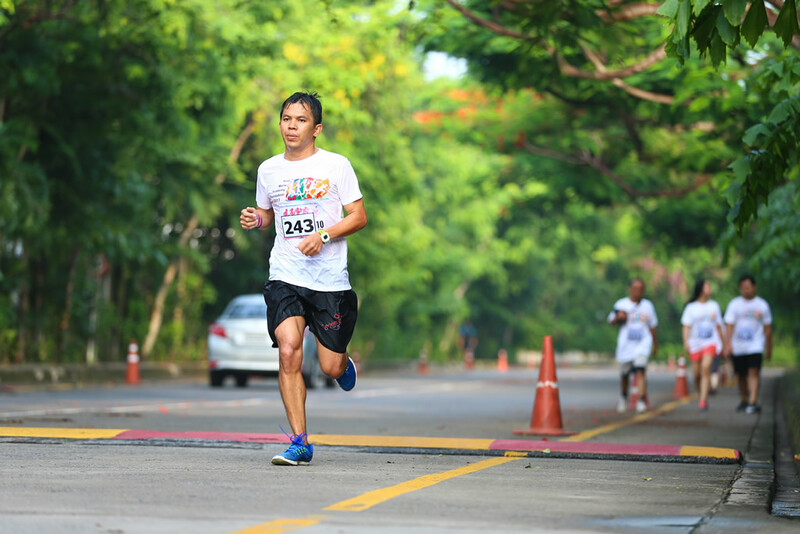 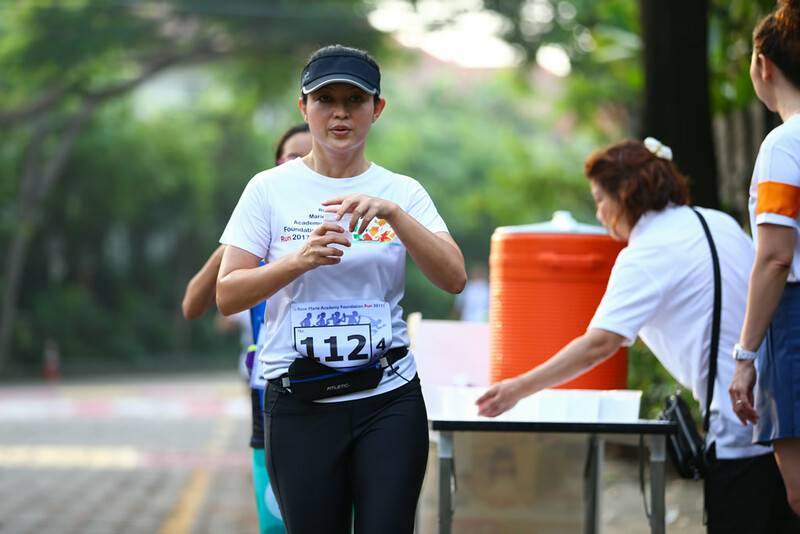 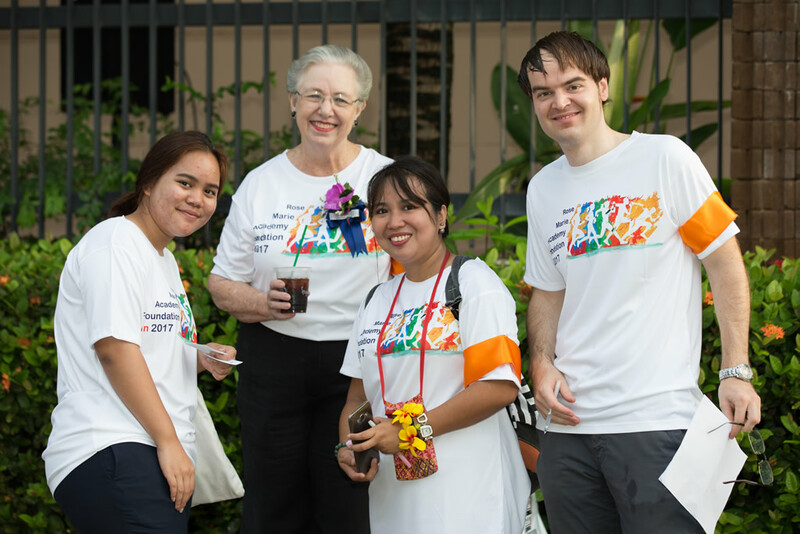 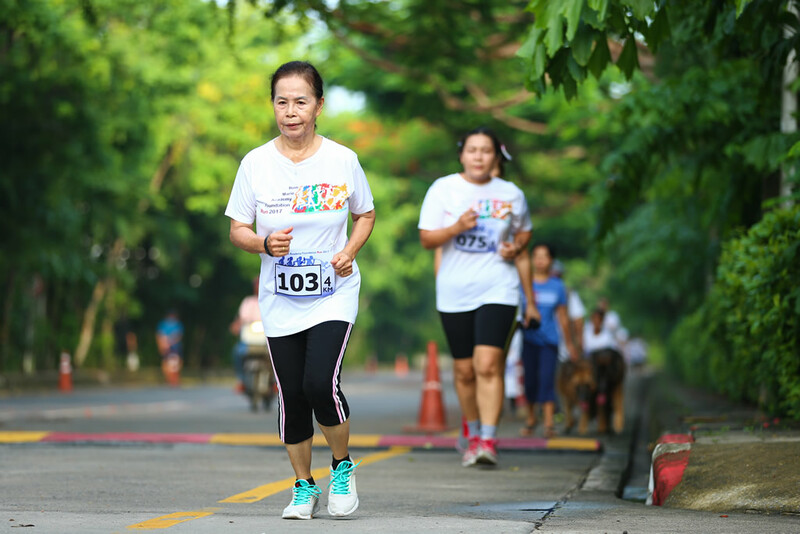 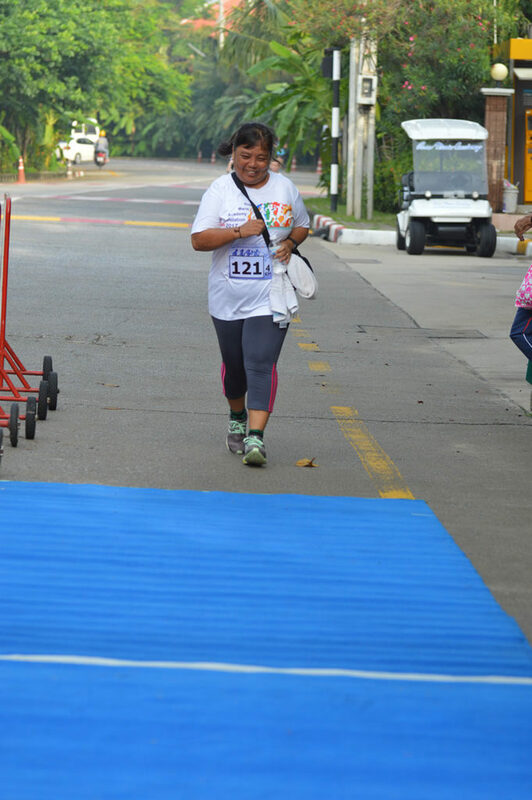 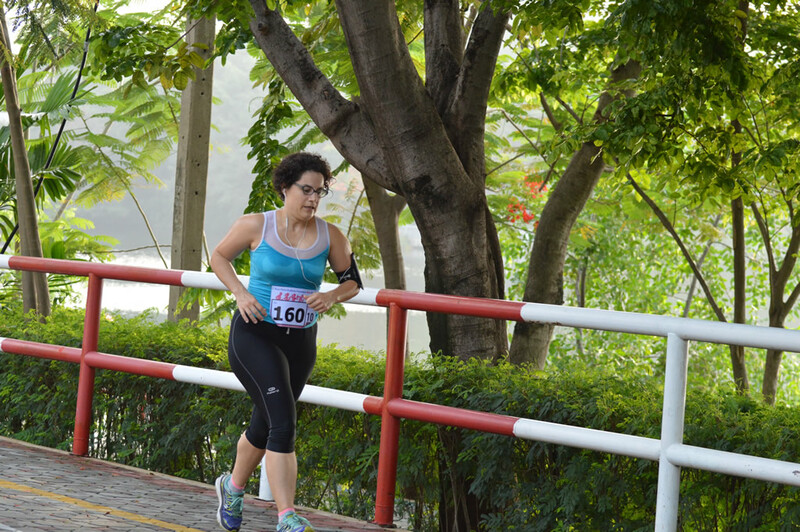 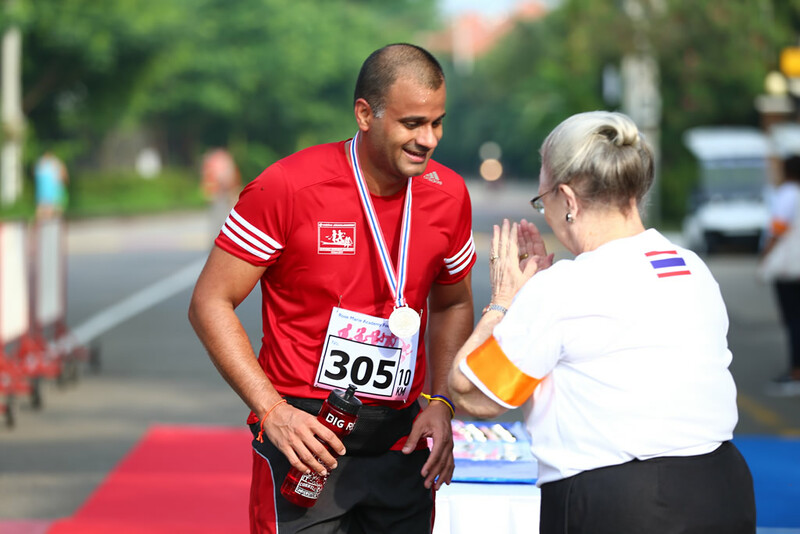 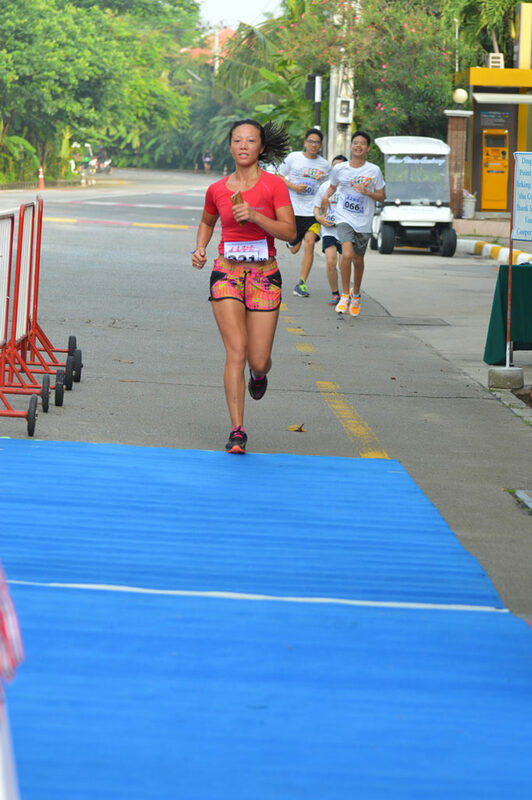 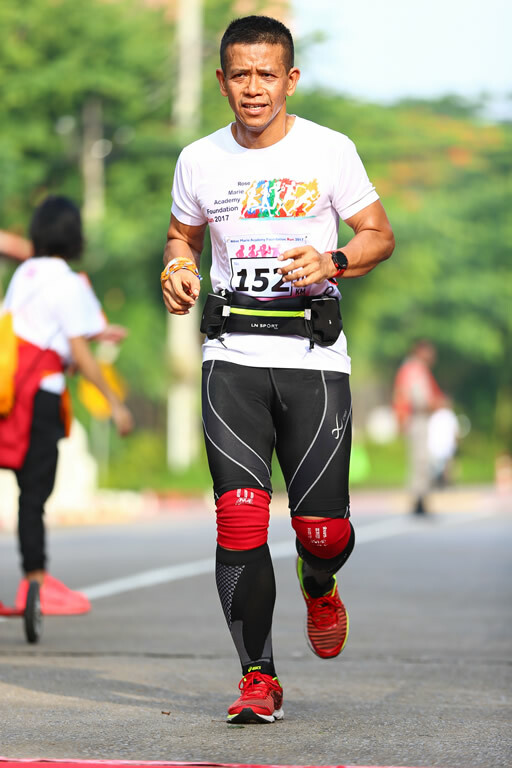 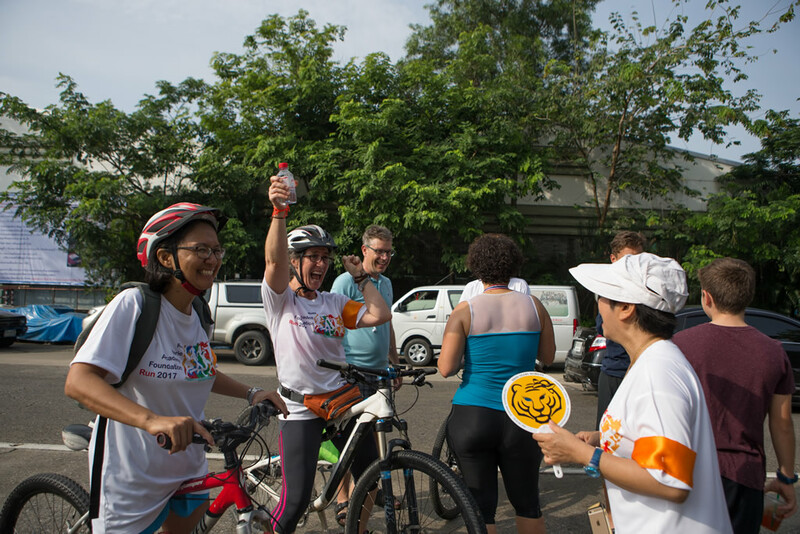 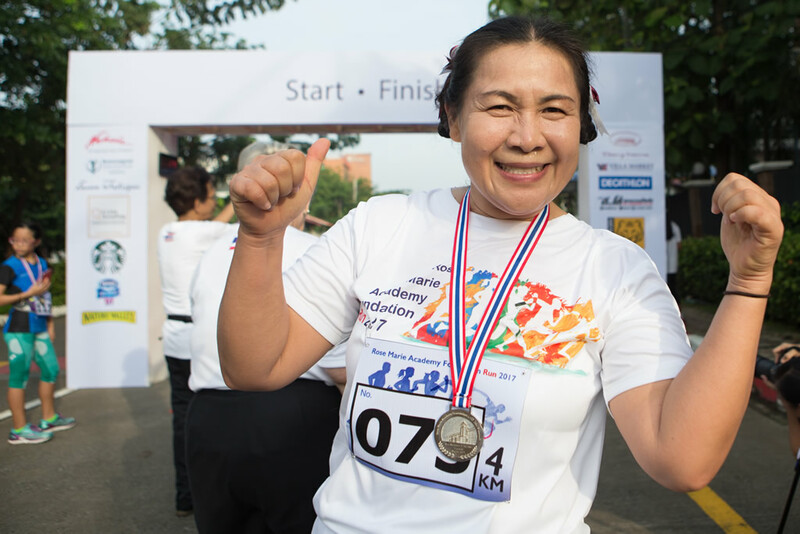 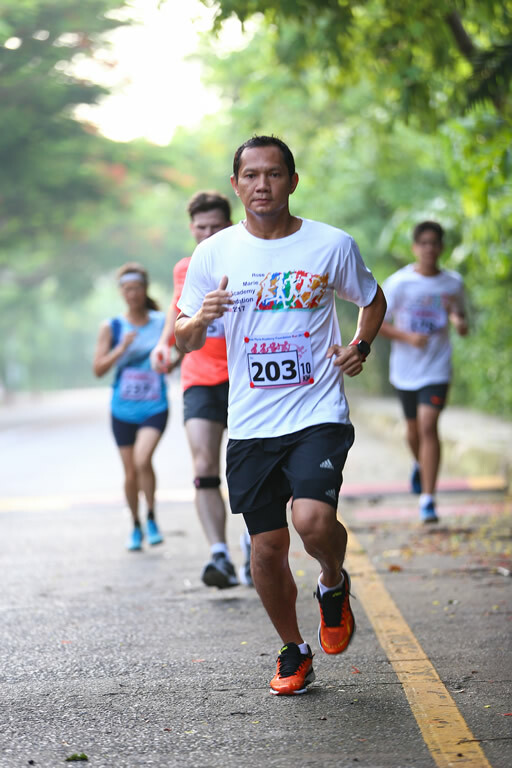 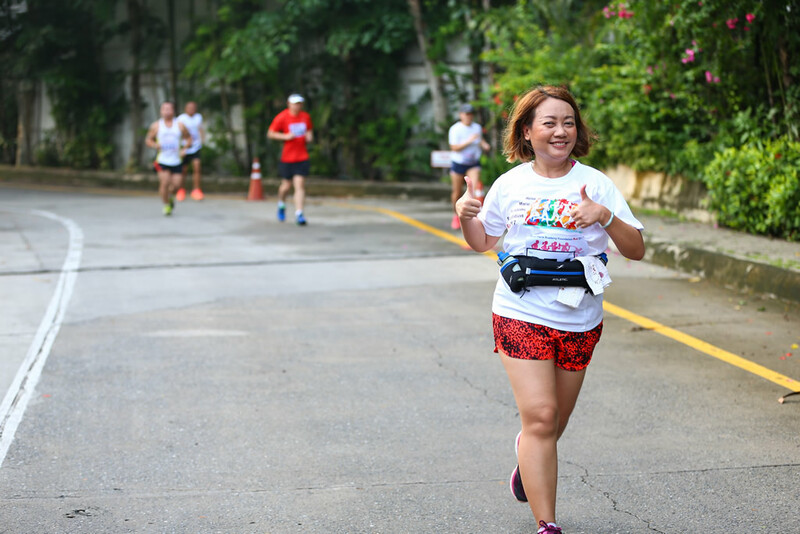 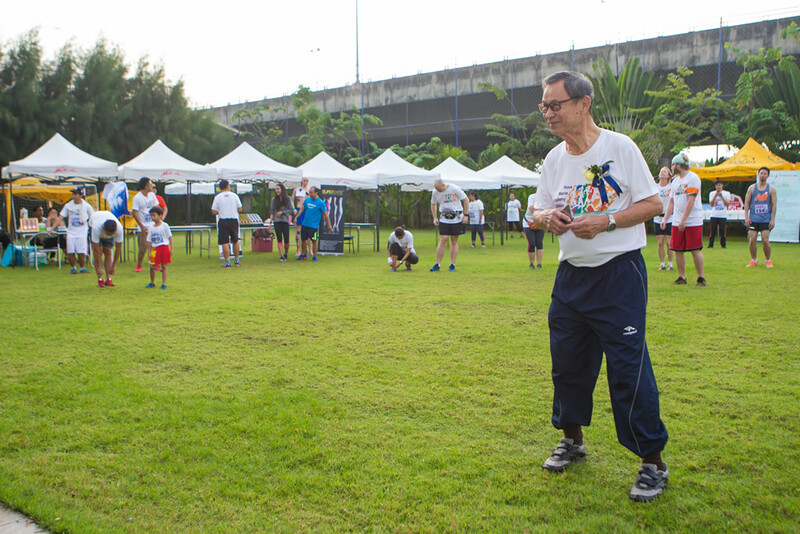 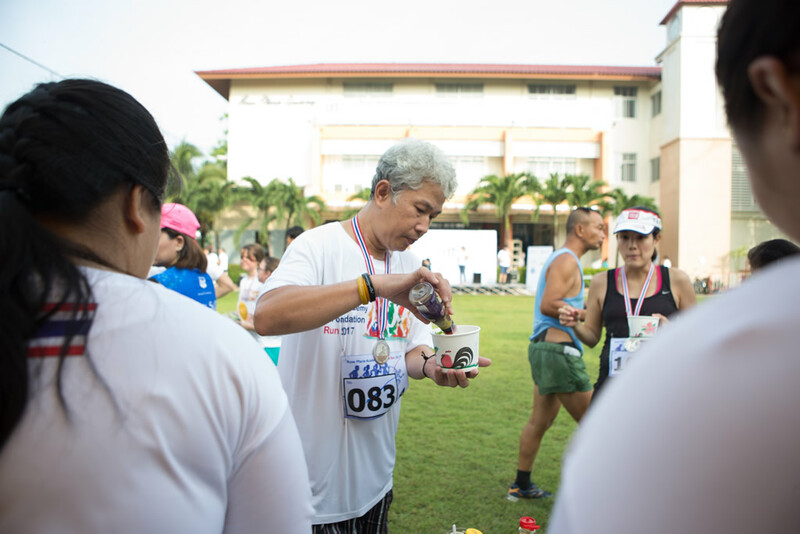 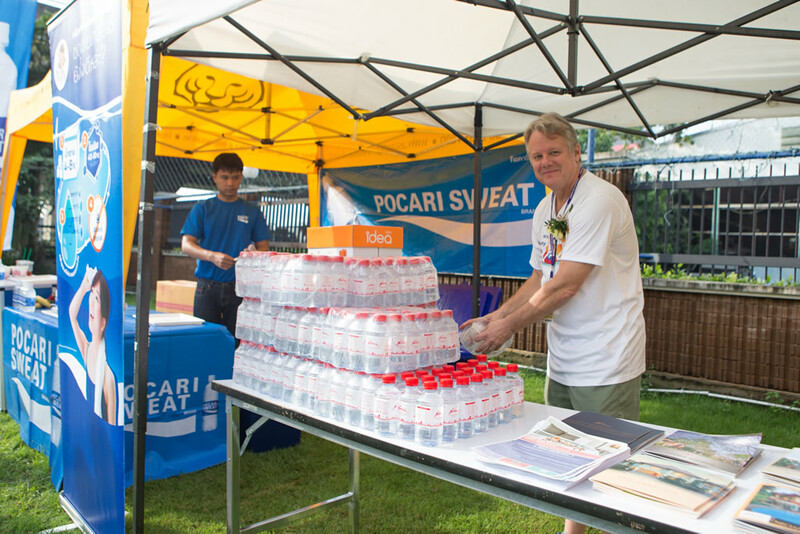 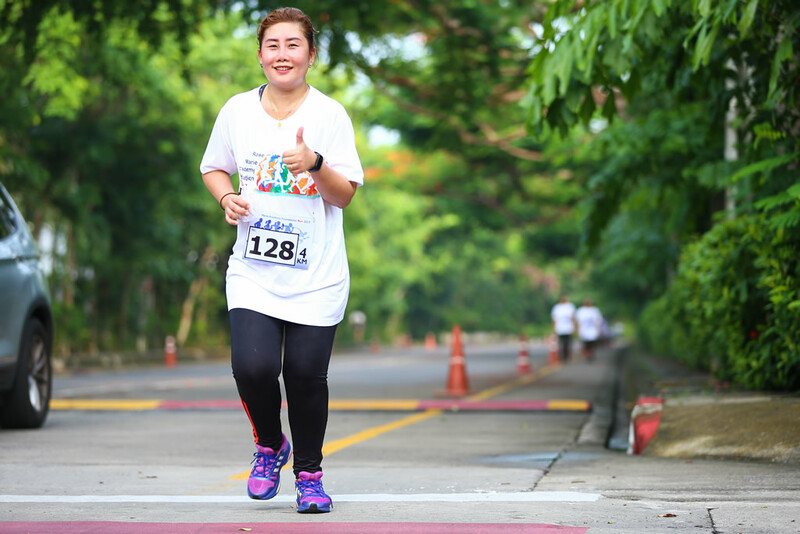 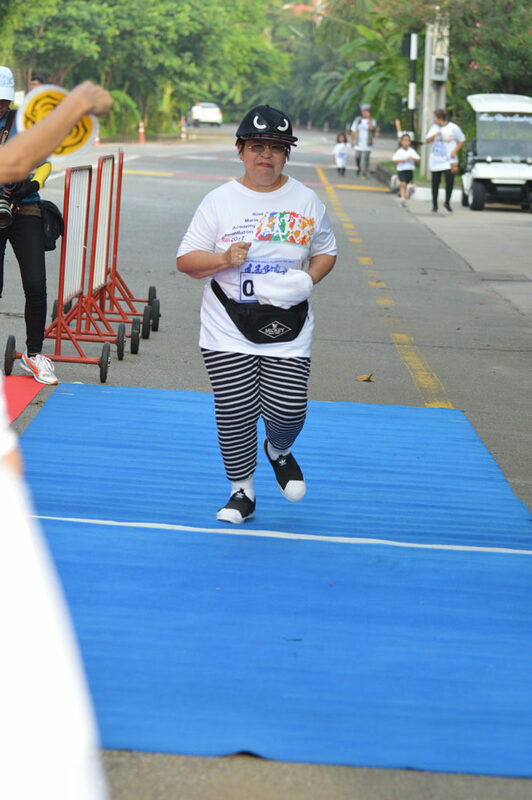 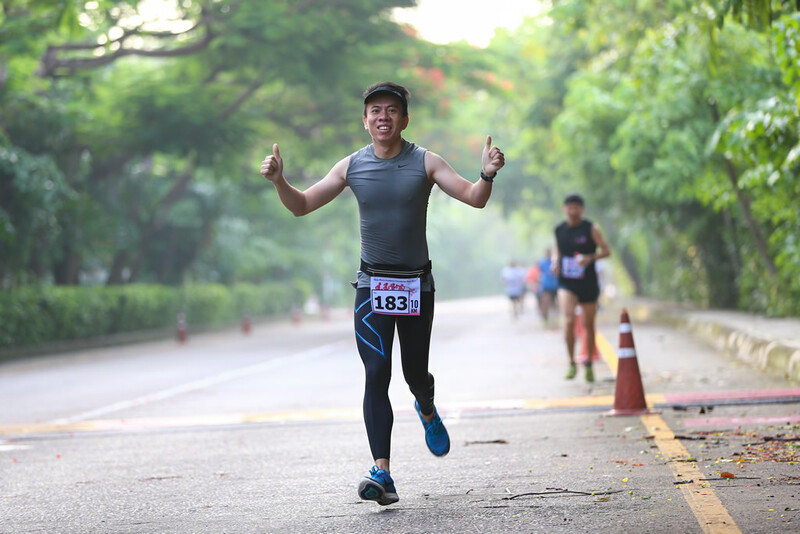 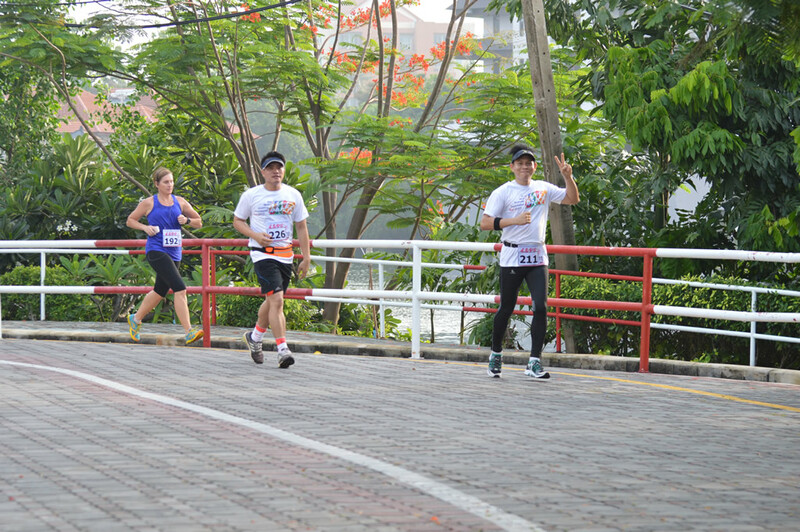 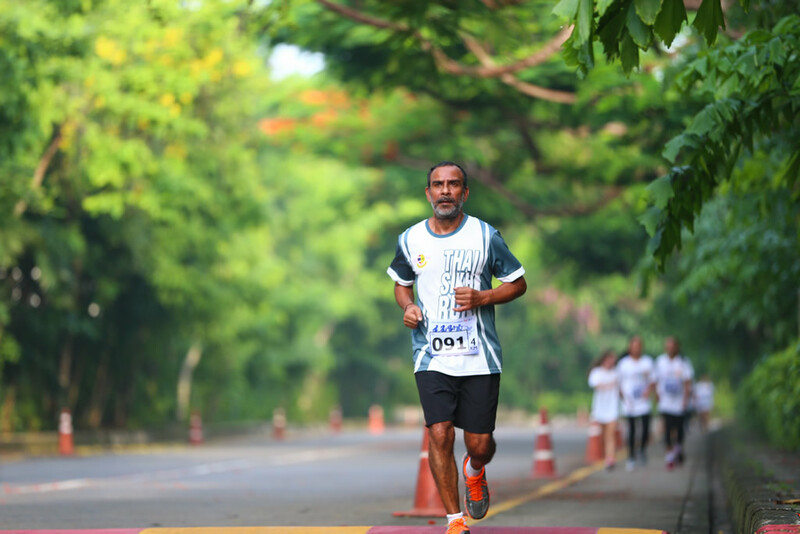 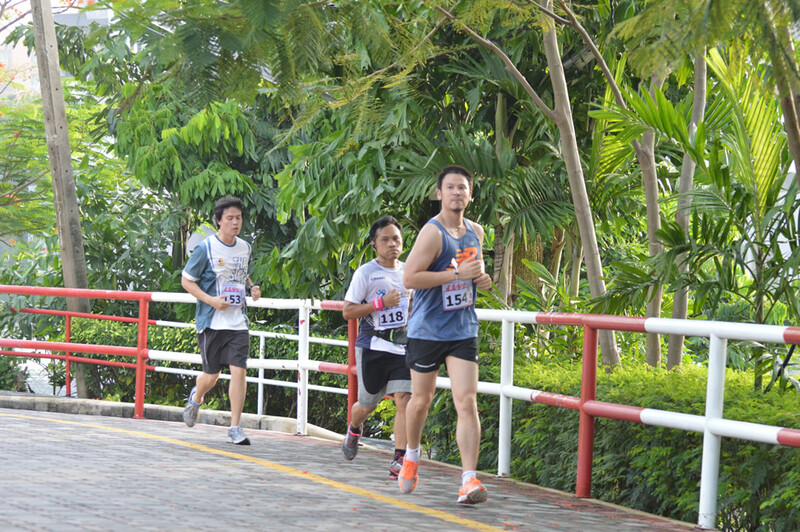 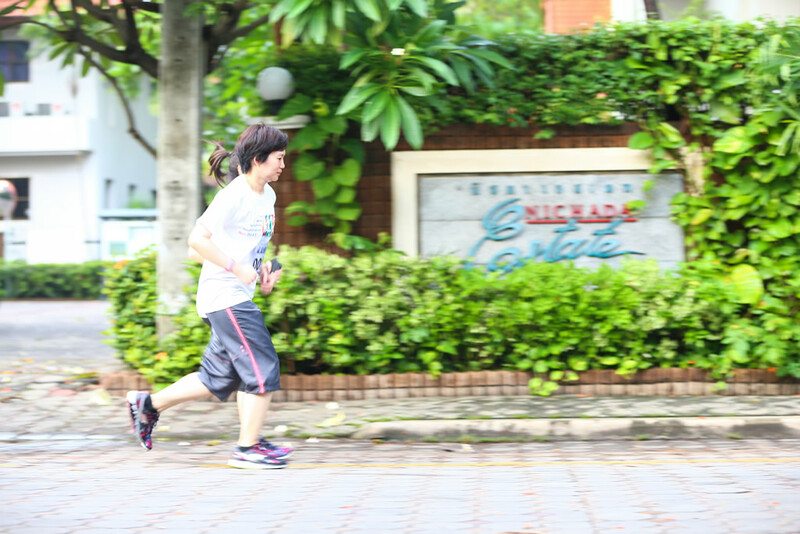 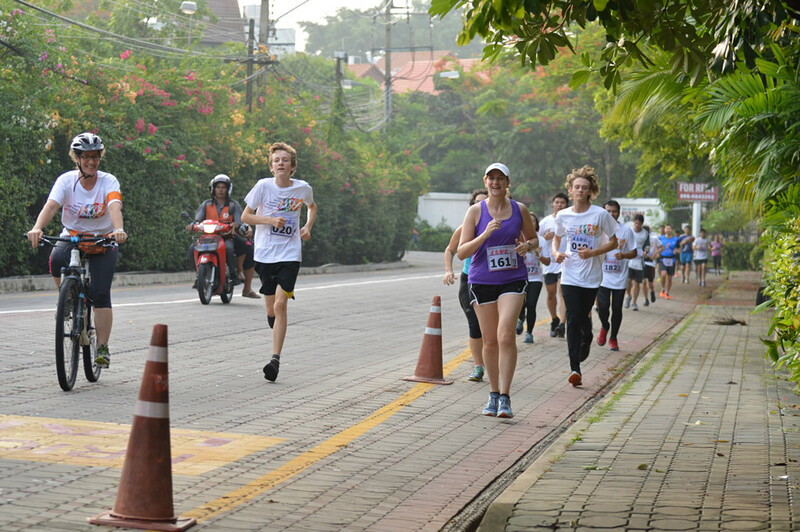 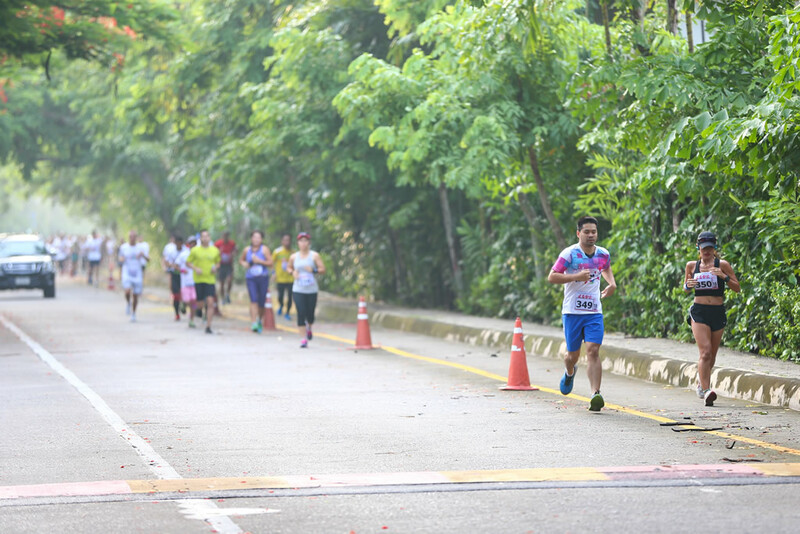 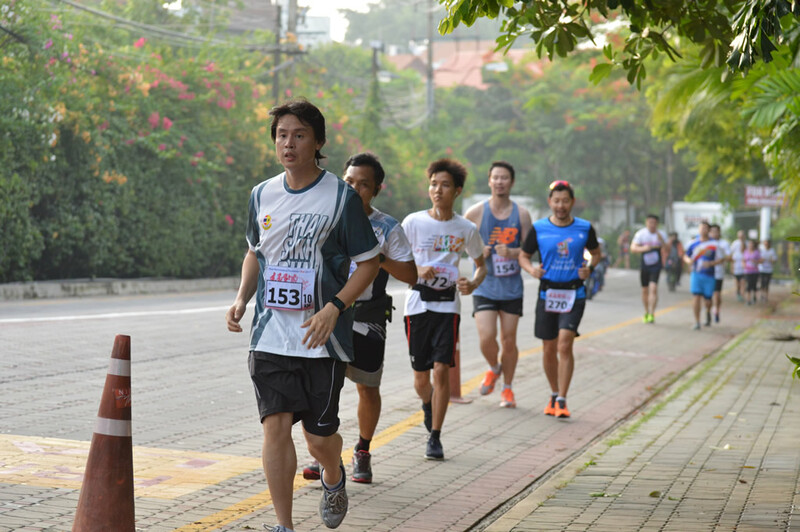 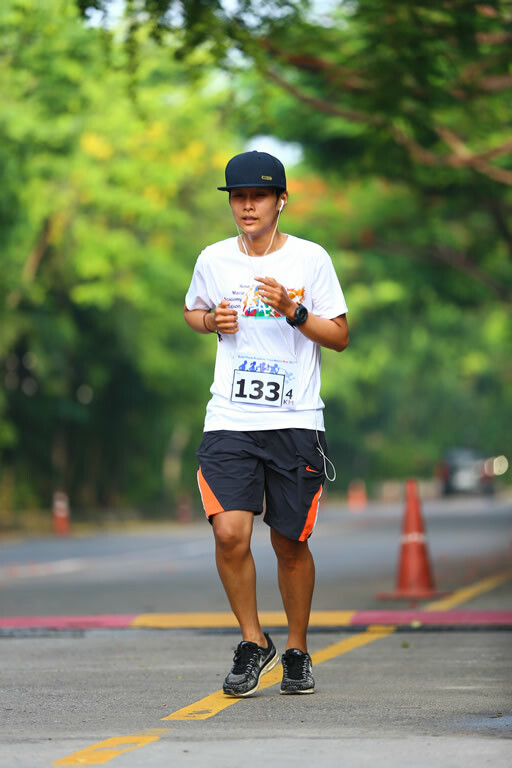 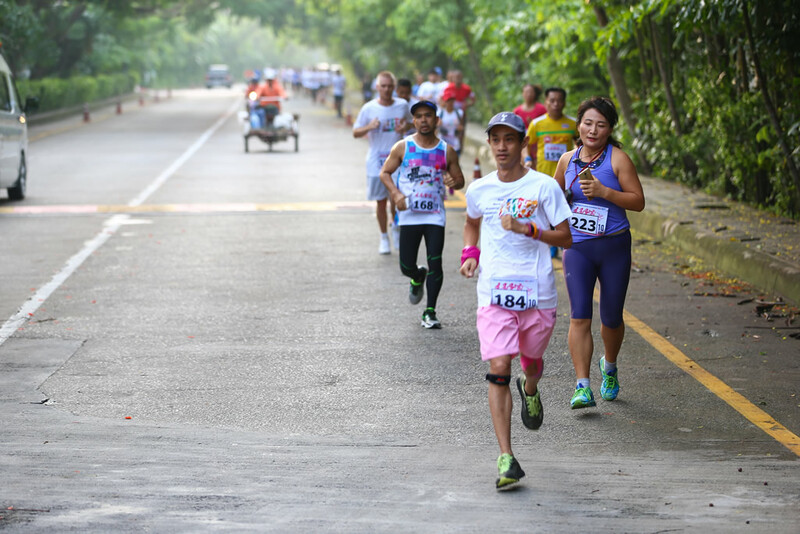 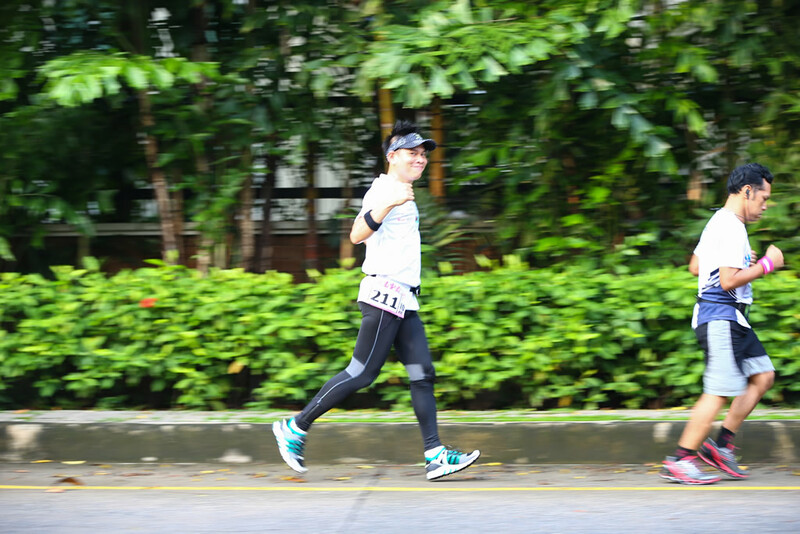 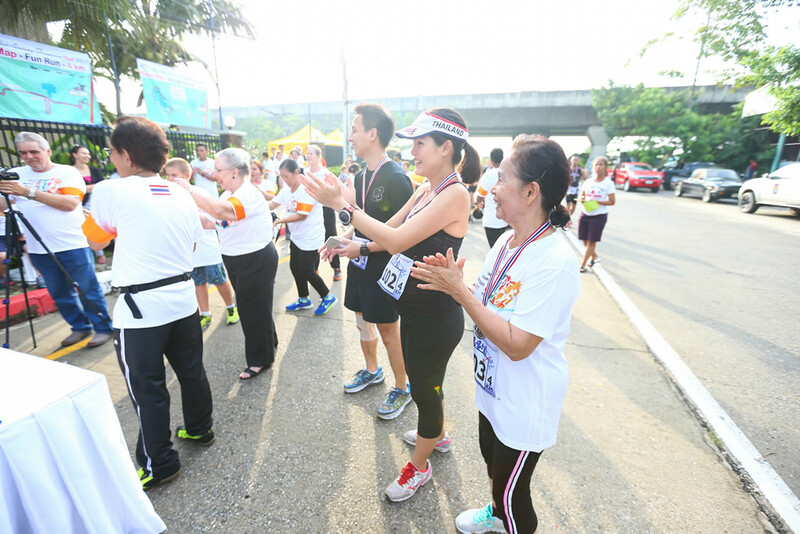 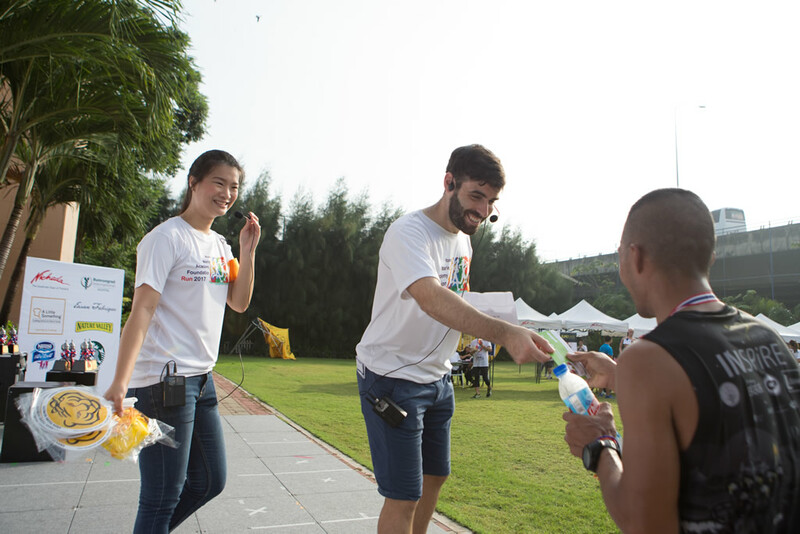 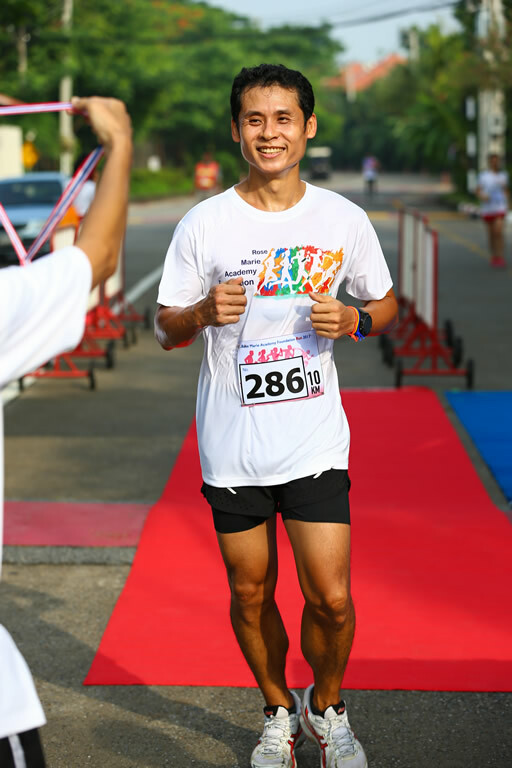 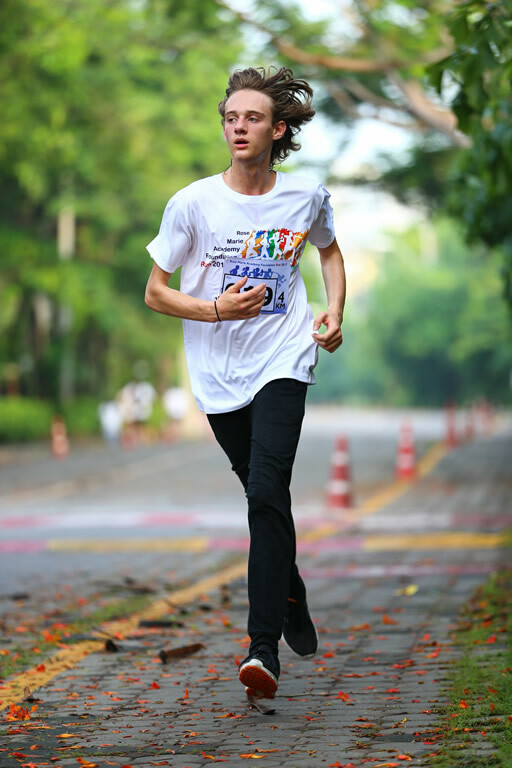 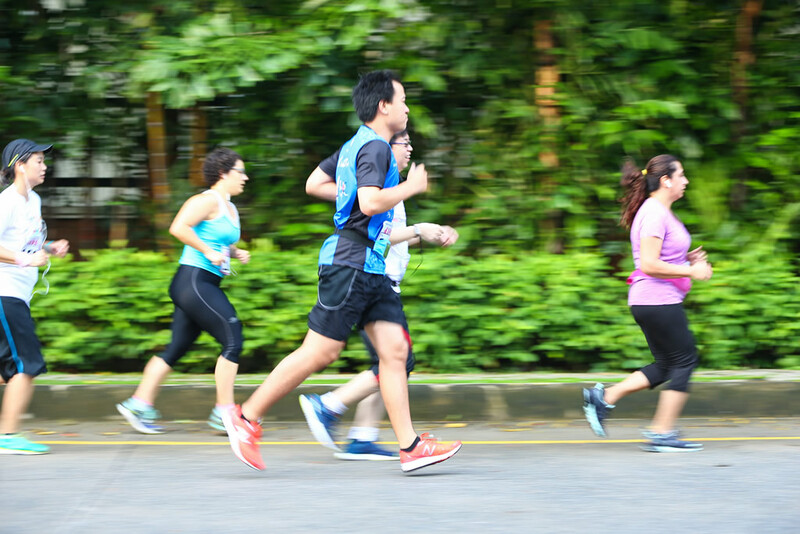 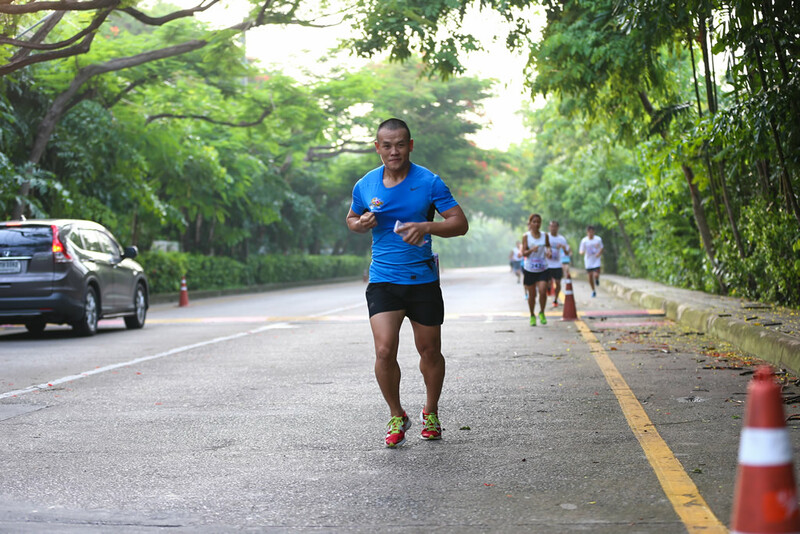 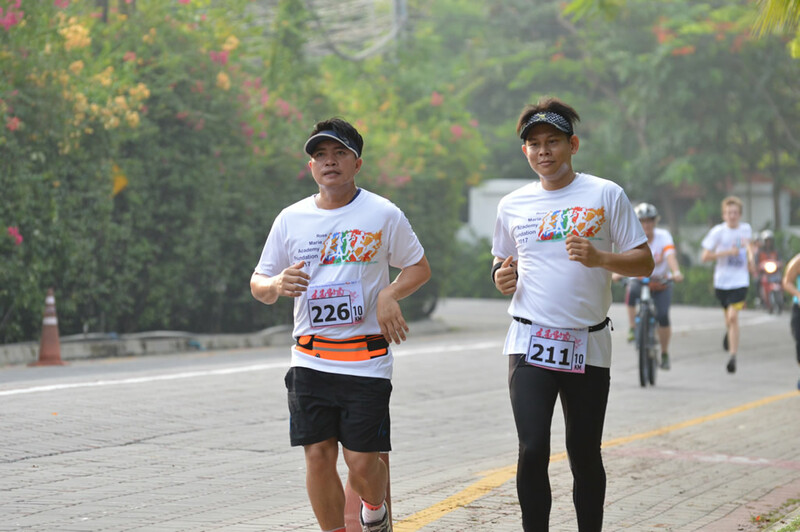 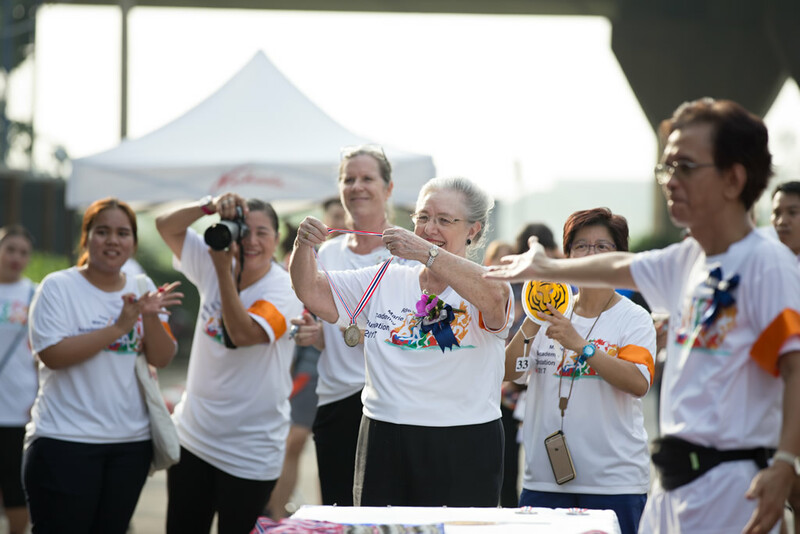 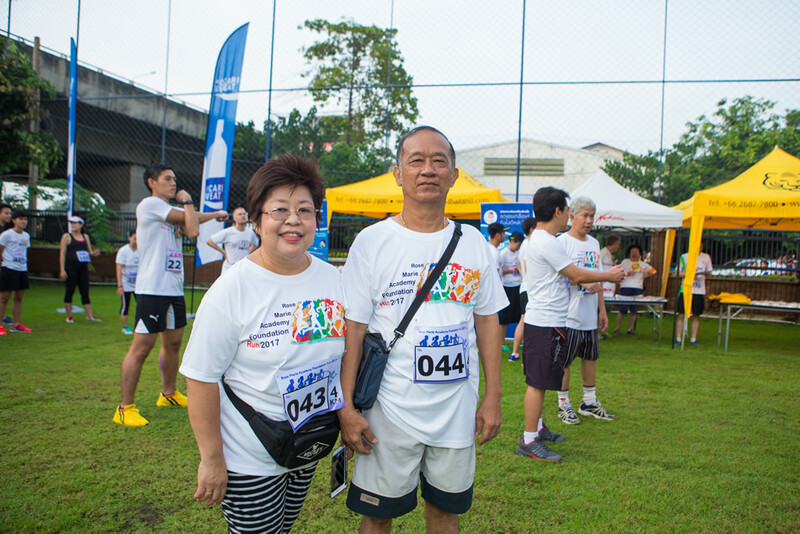 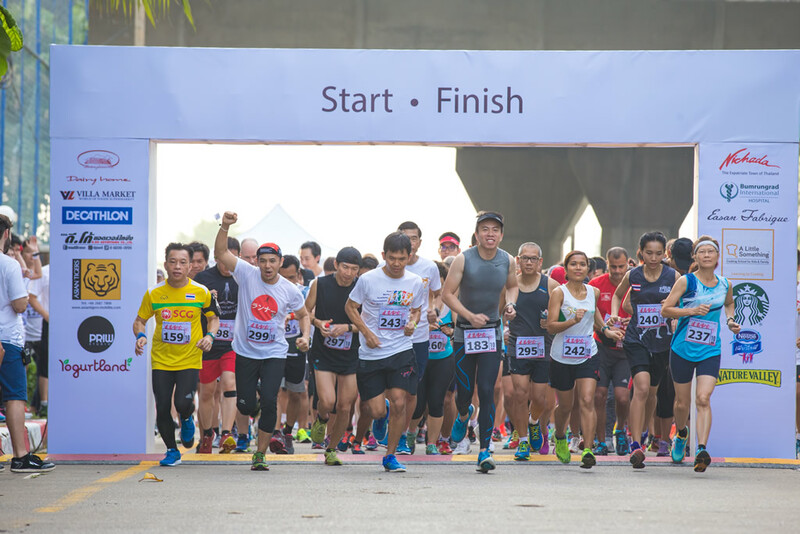 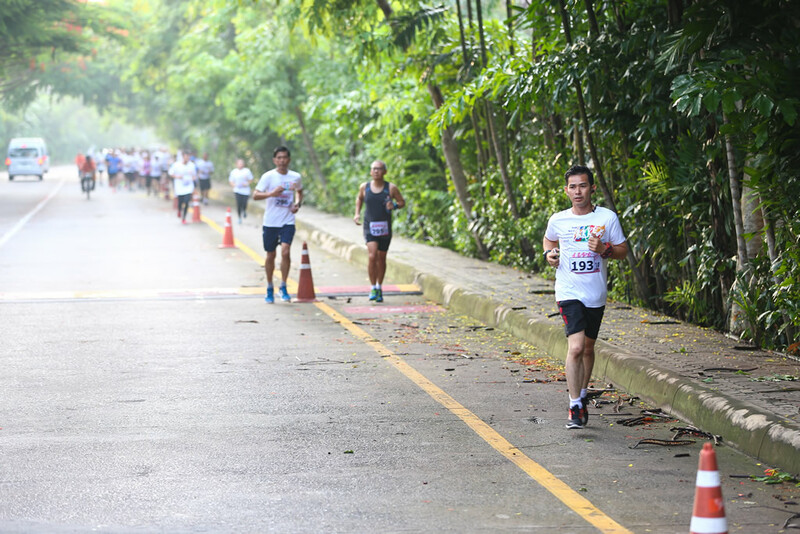 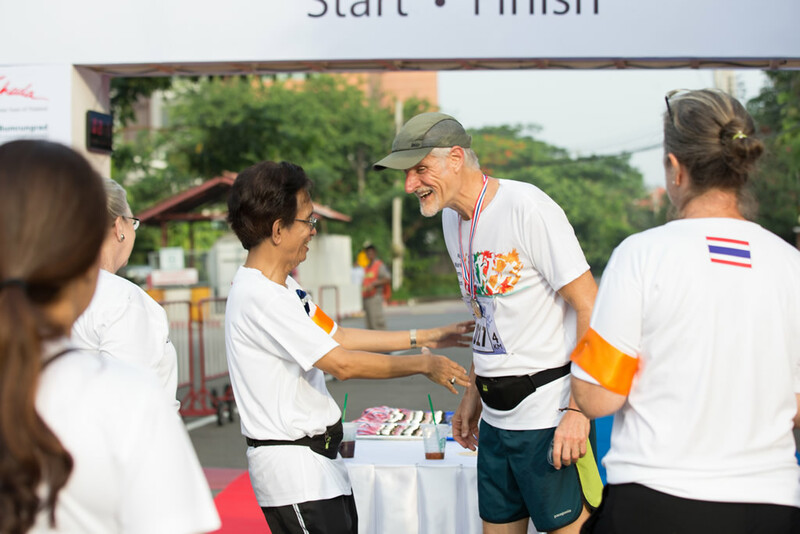 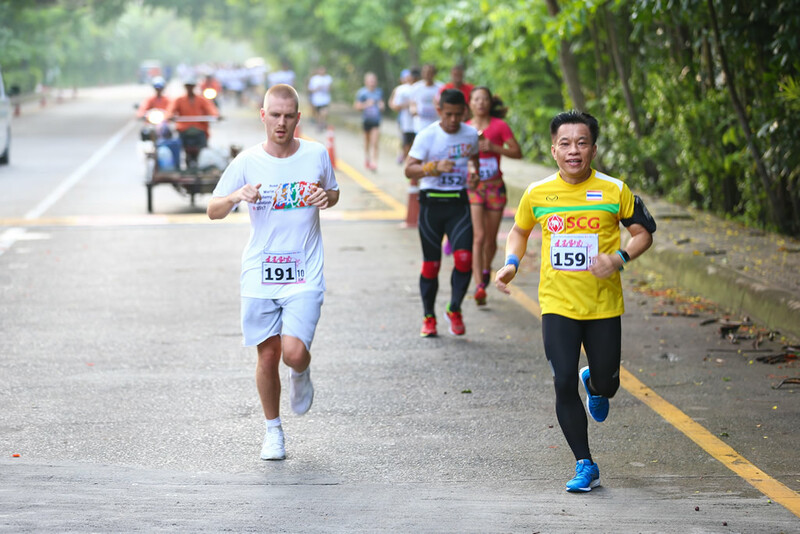 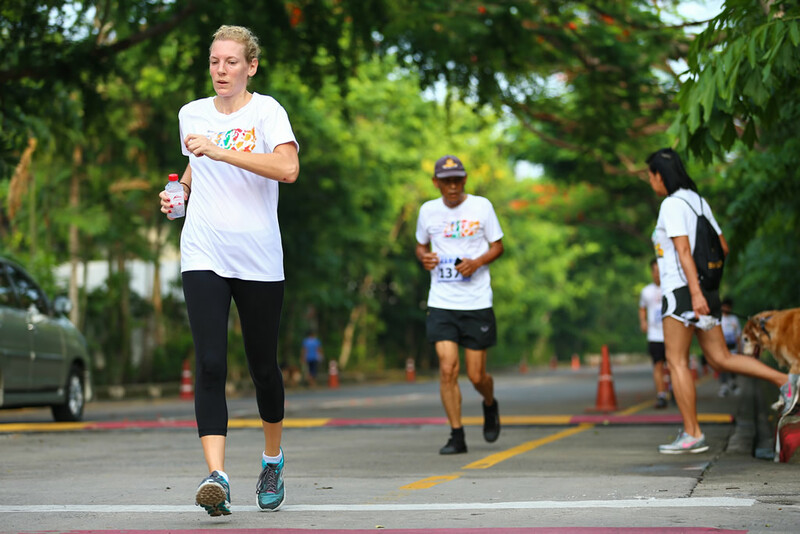 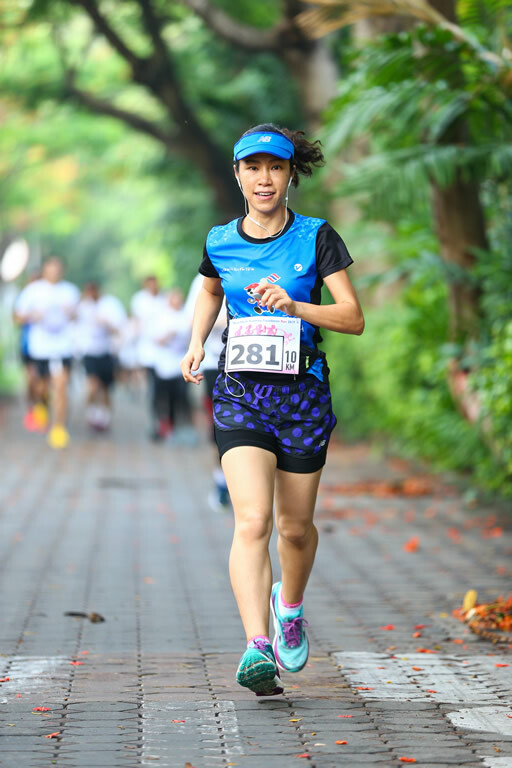 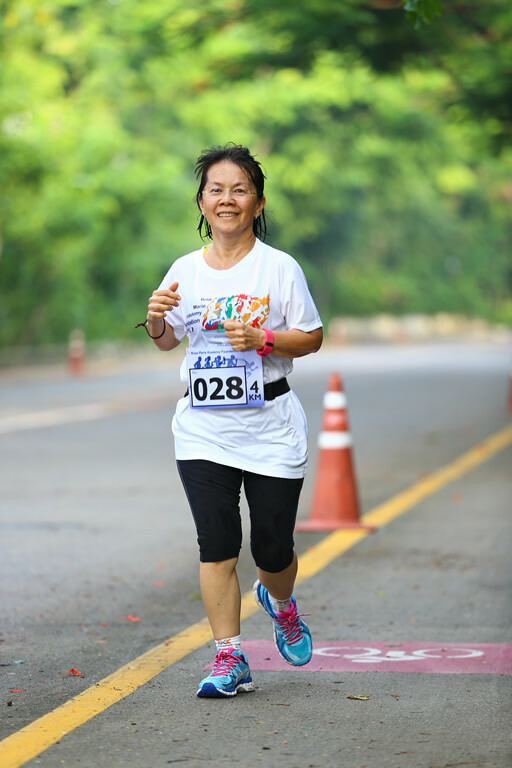 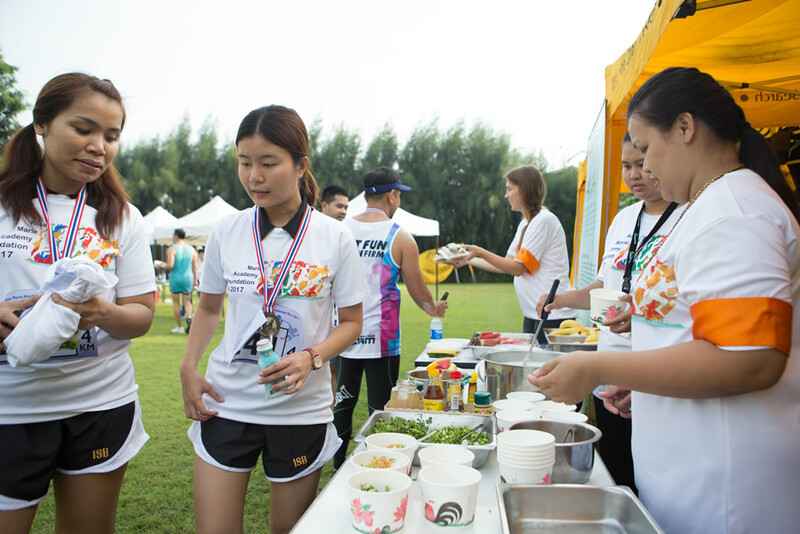 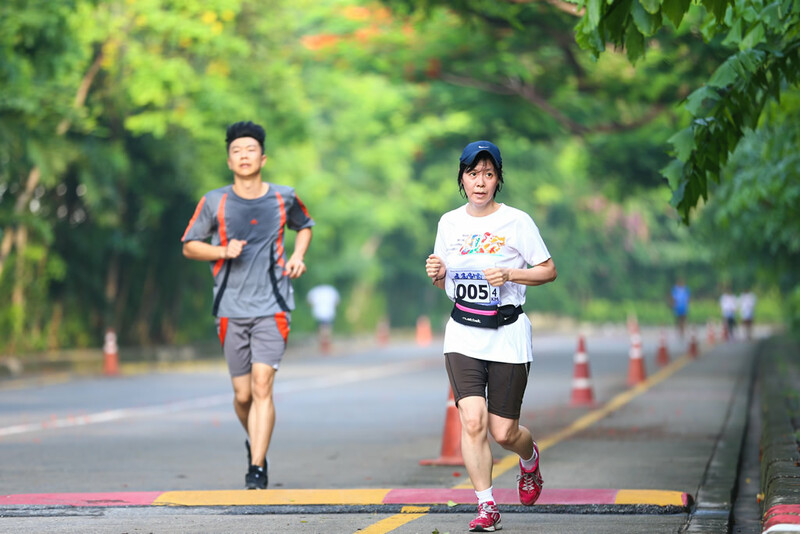 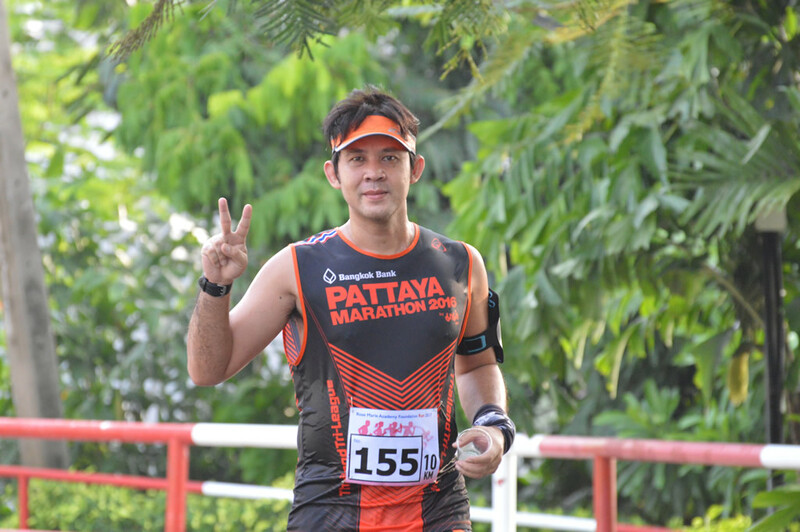 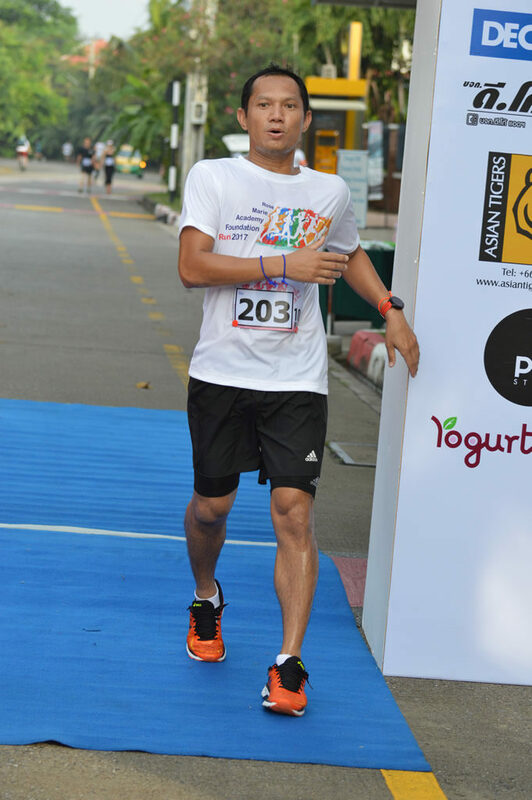 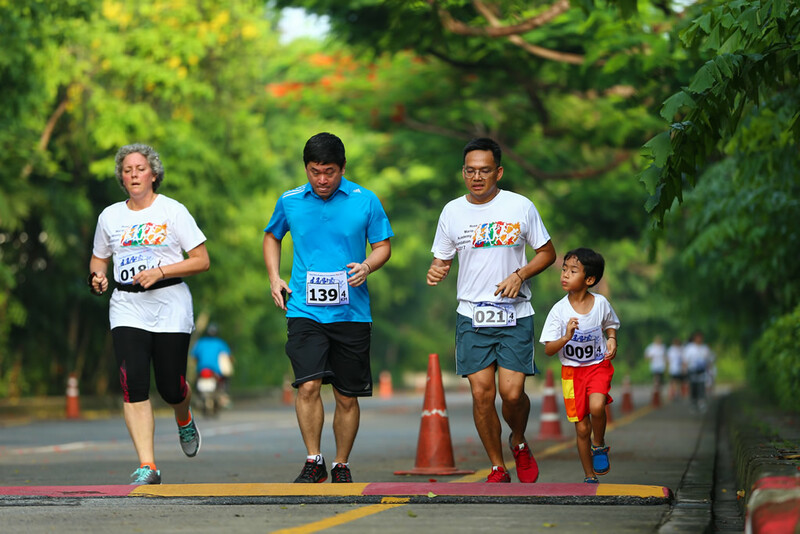 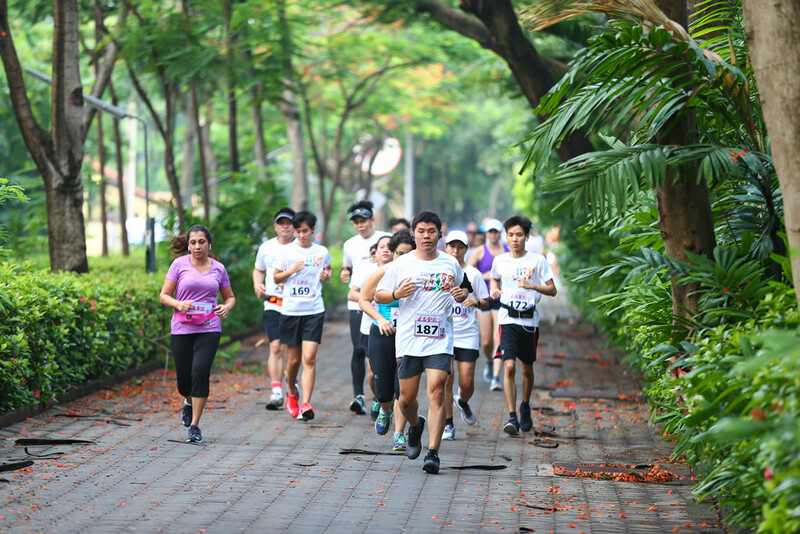 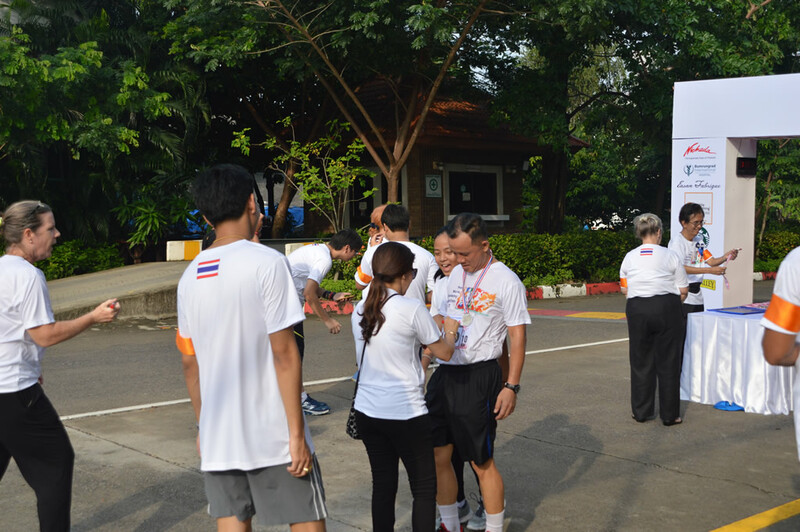 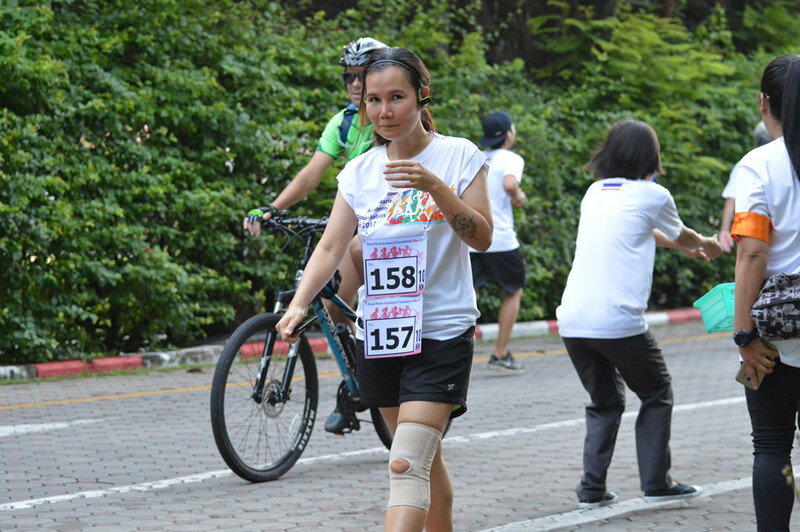 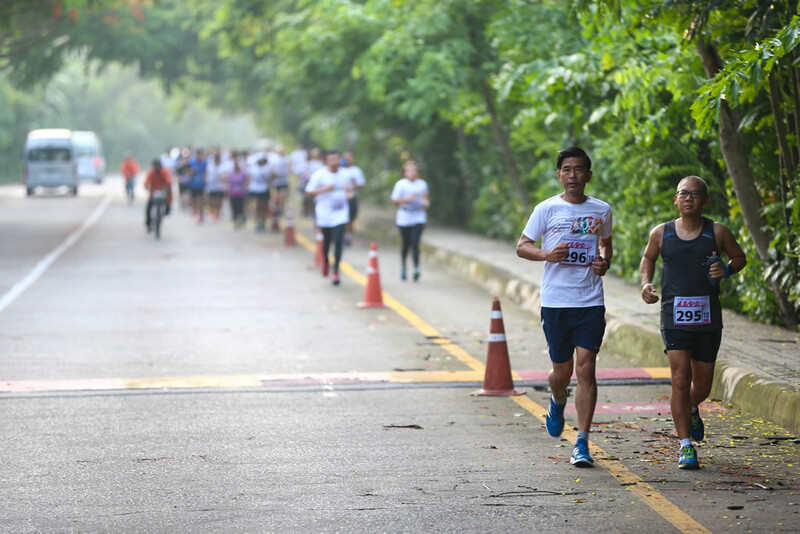 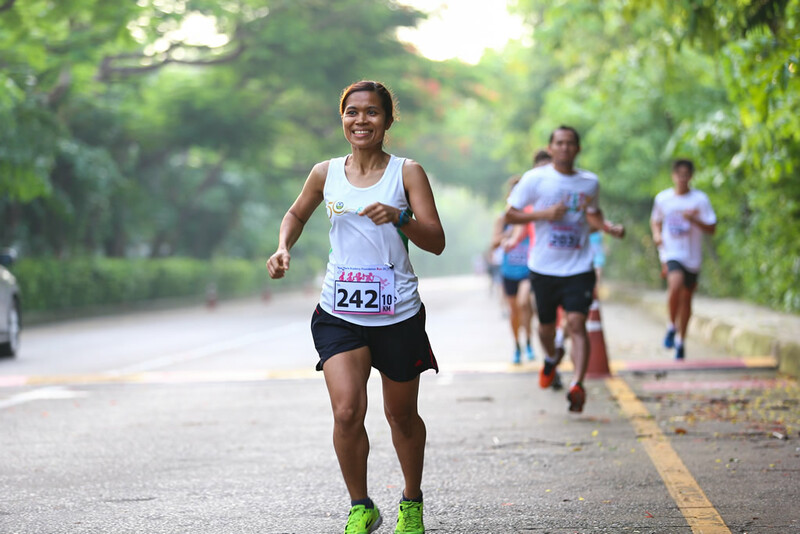 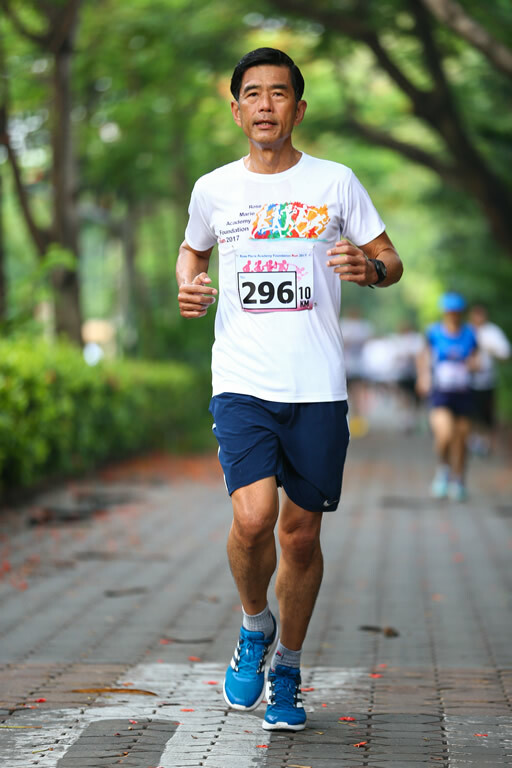 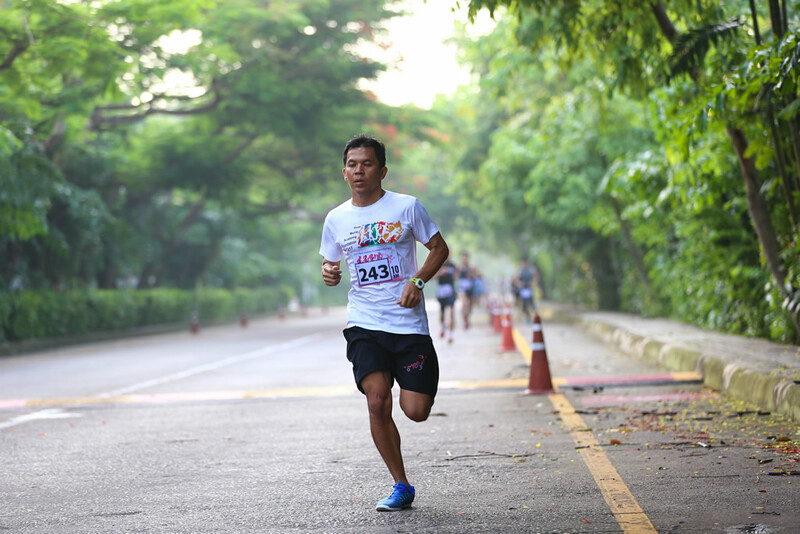 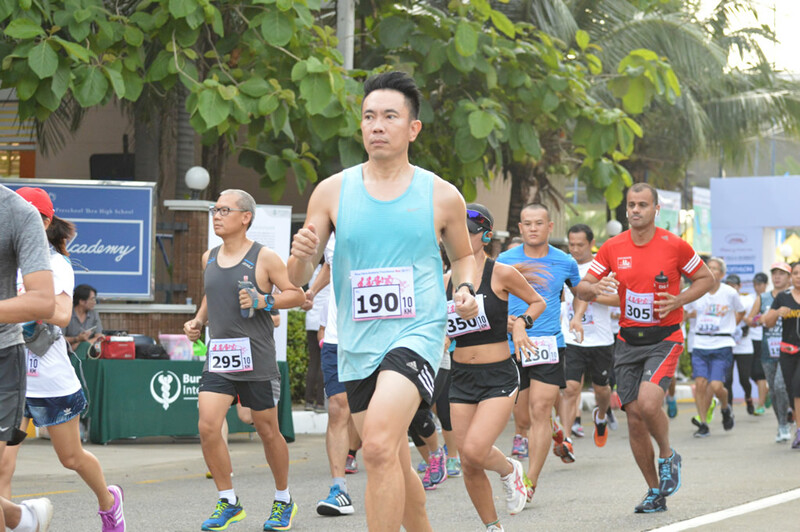 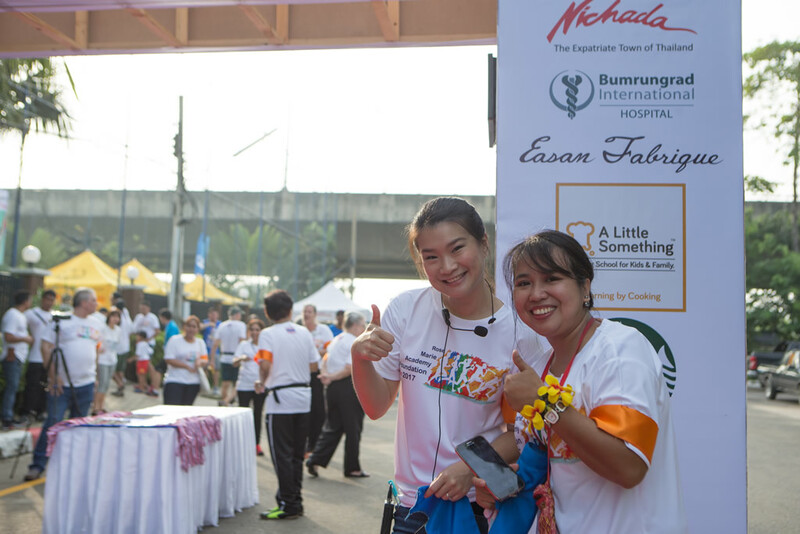 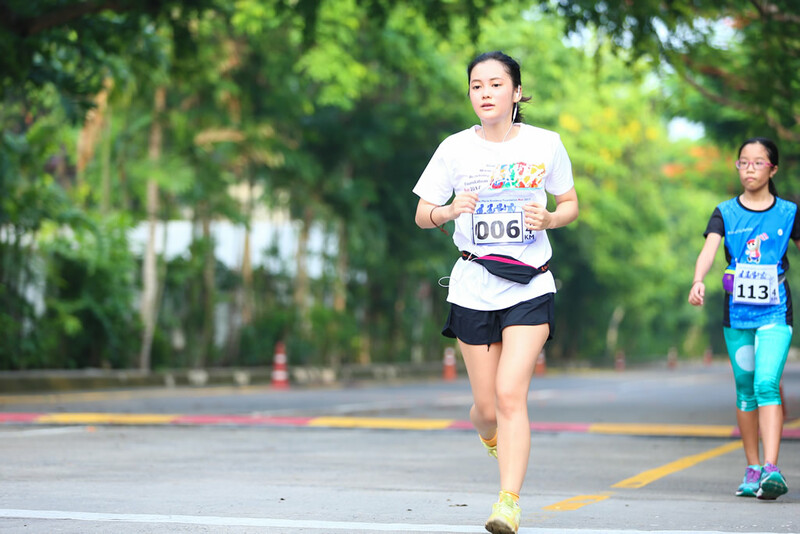 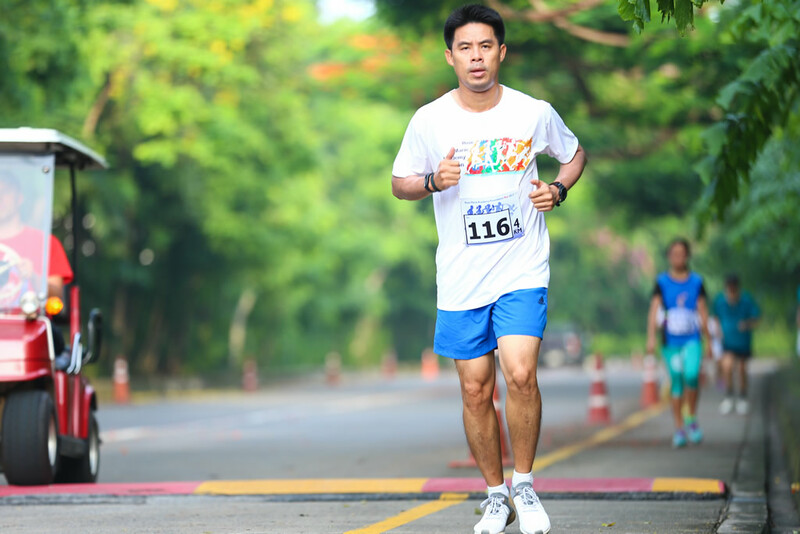 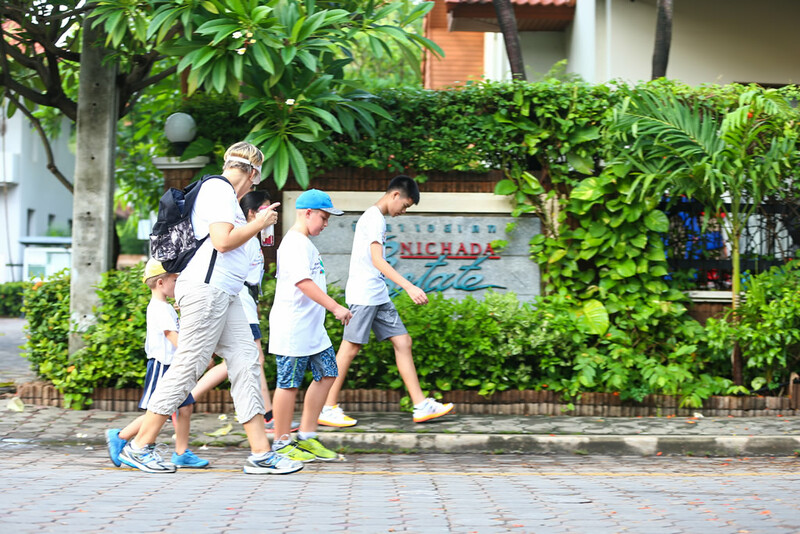 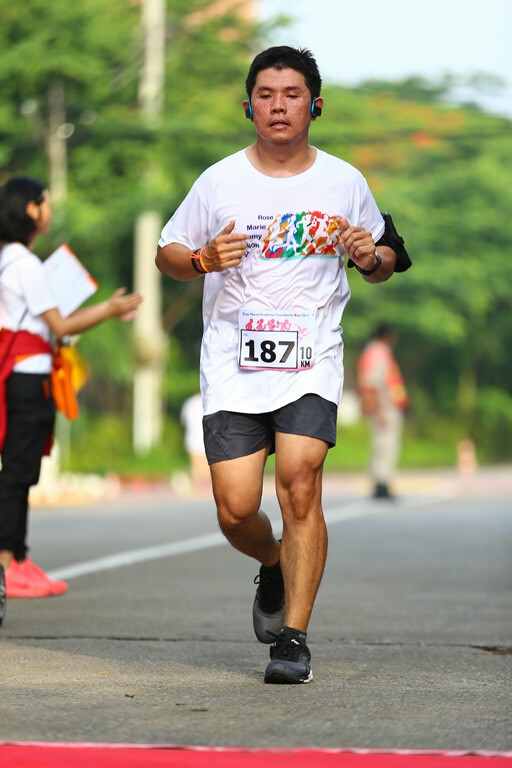 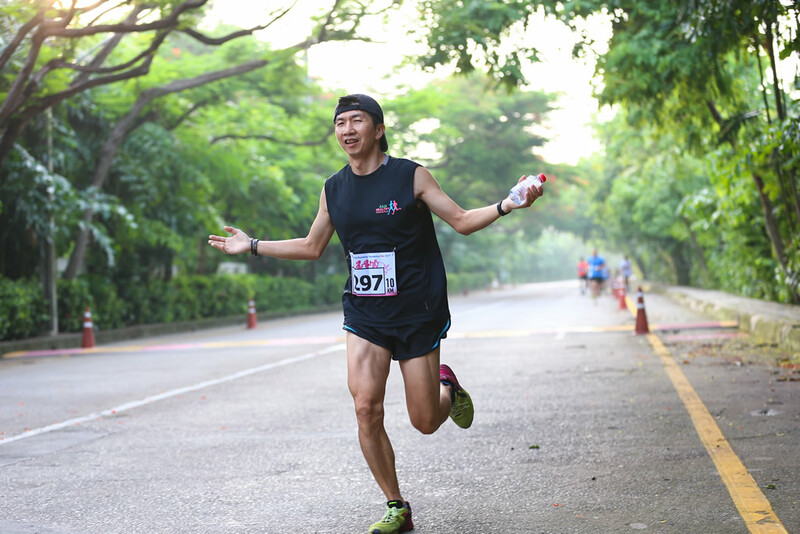 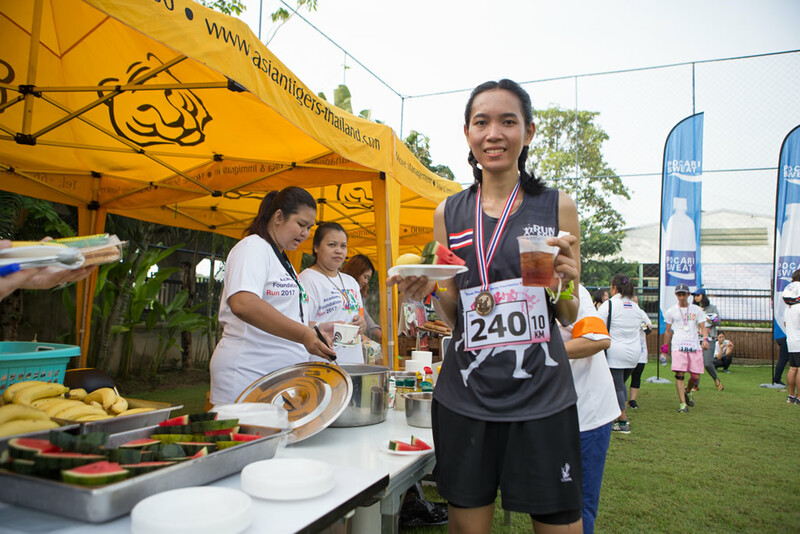 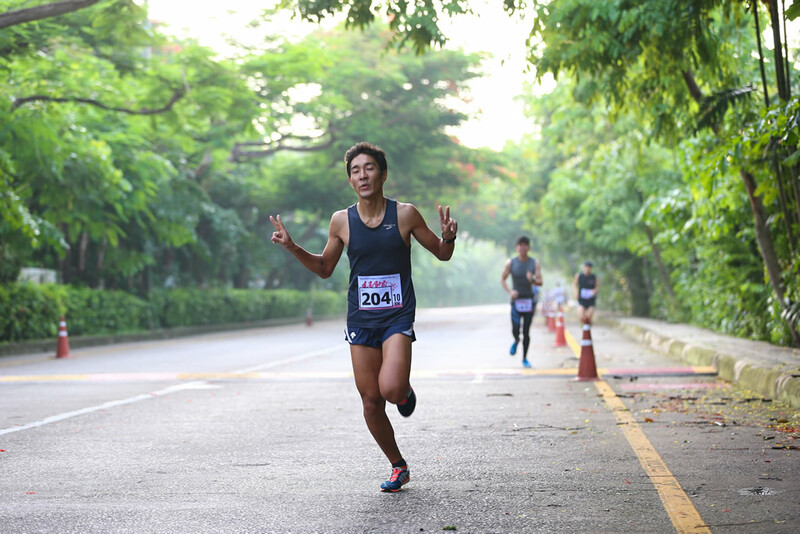 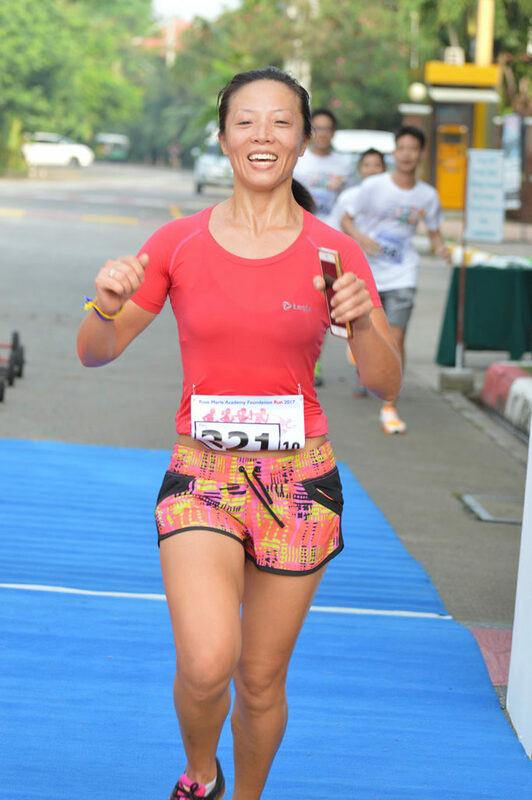 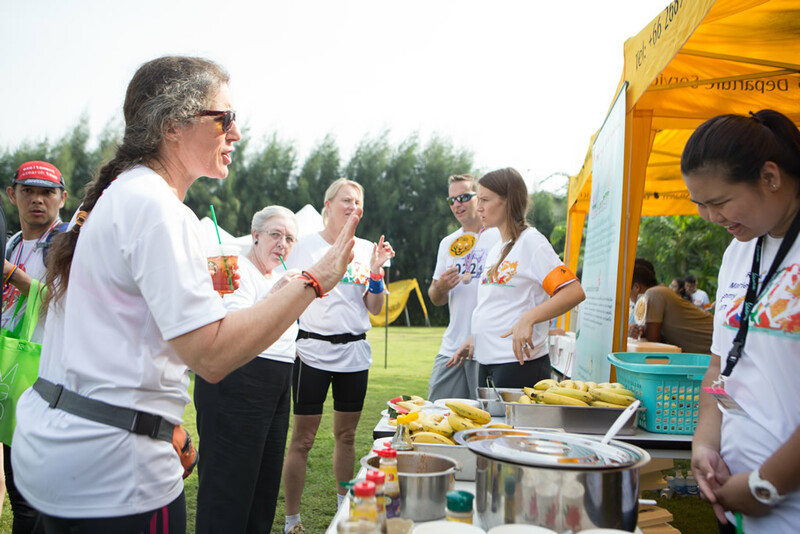 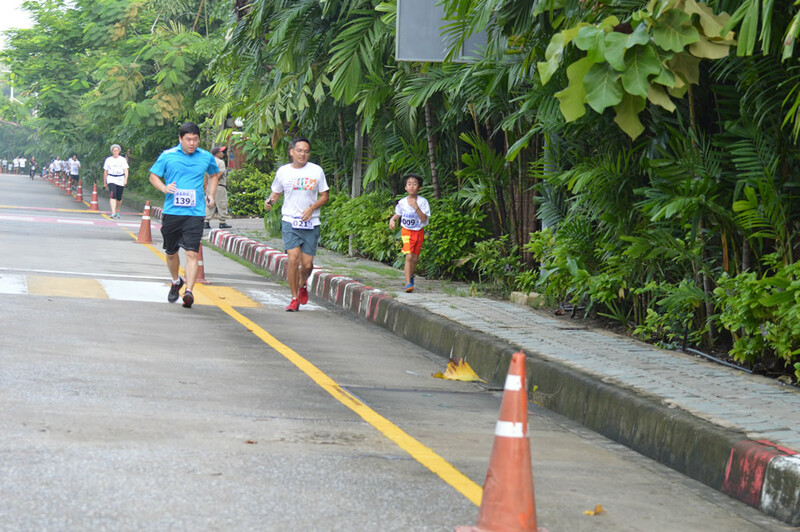 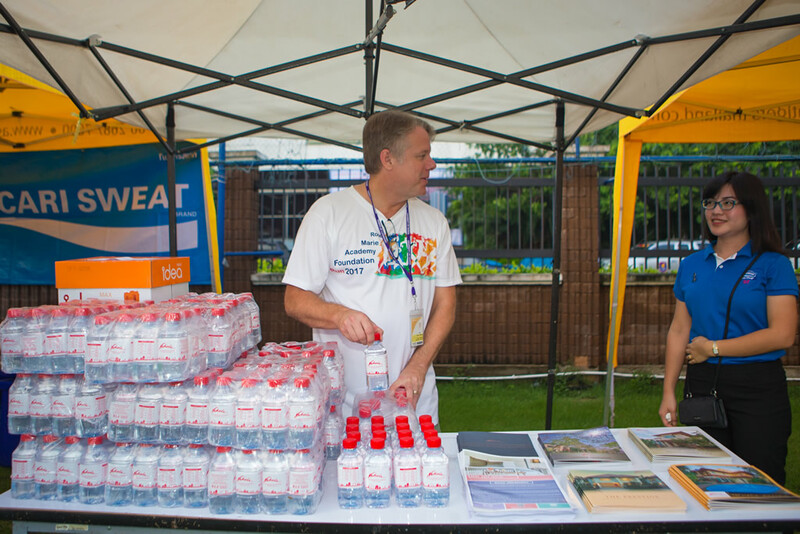 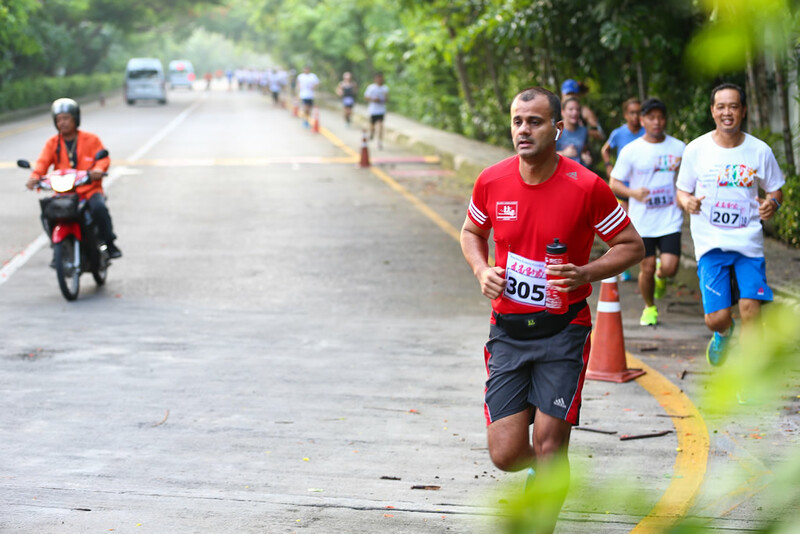 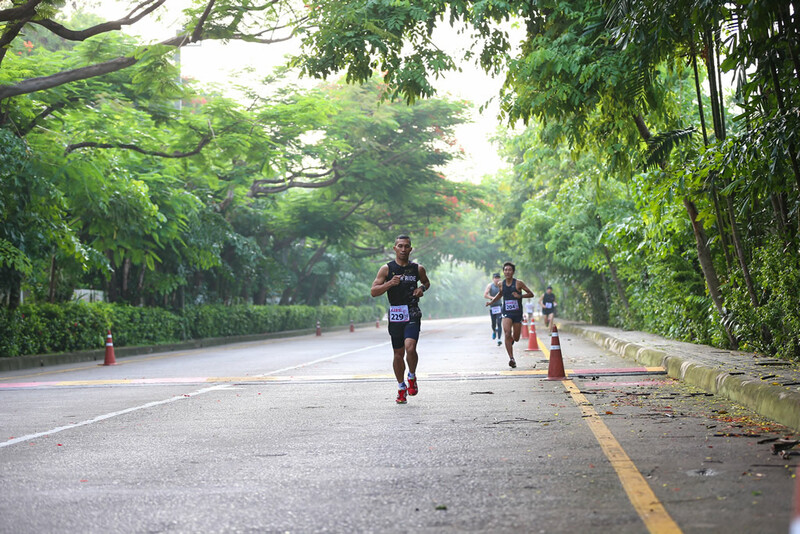 Runners arrived bright and early on that Saturday morning and after a lively warm-up, off they ran through the well-maintained grounds of Nichada Thani housing estate in Pakkret, Nonthaburi. 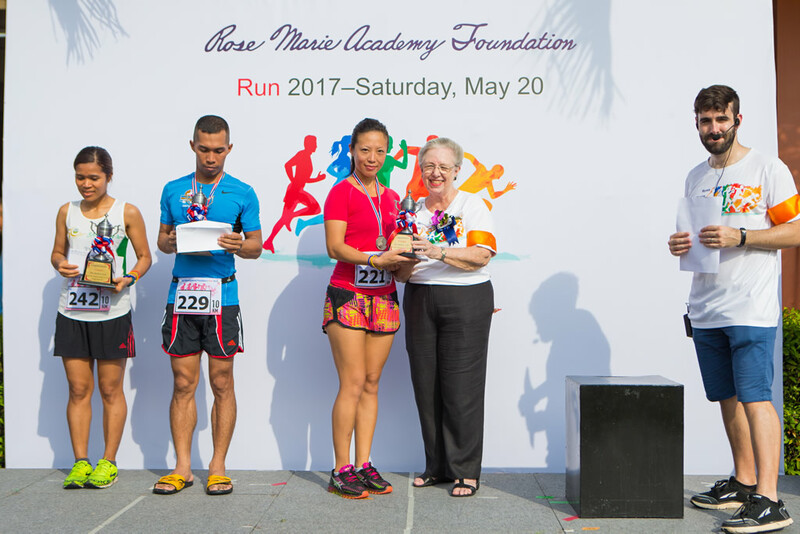 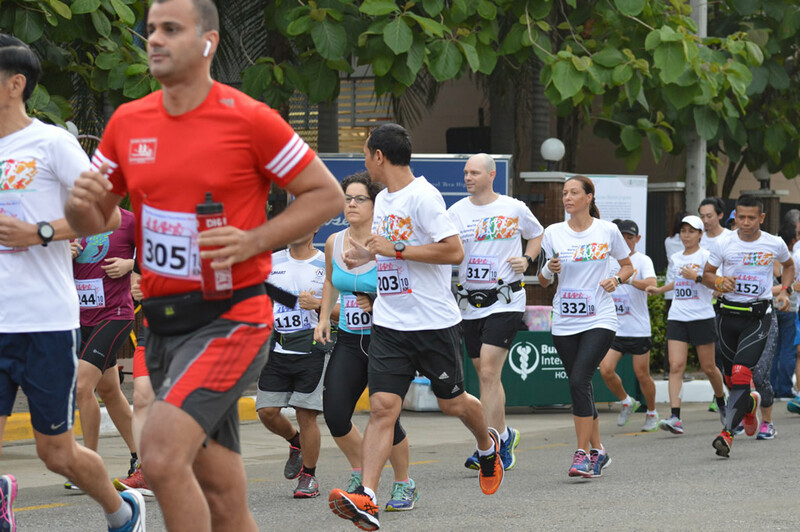 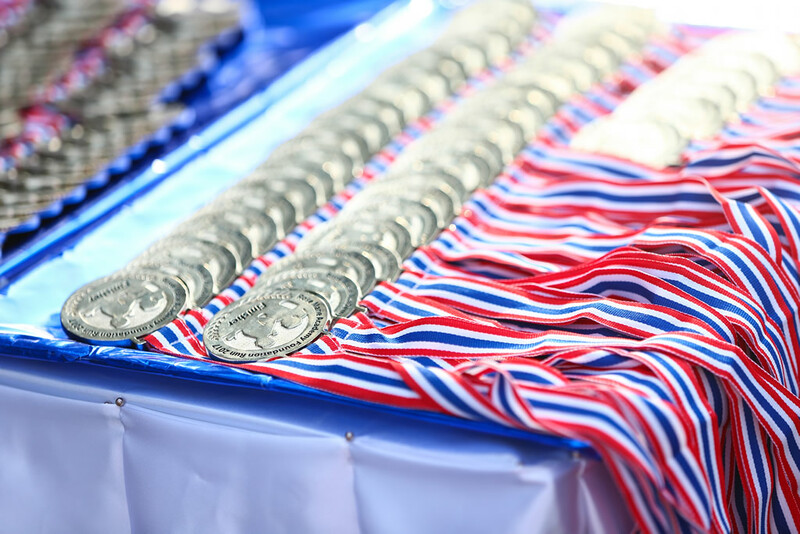 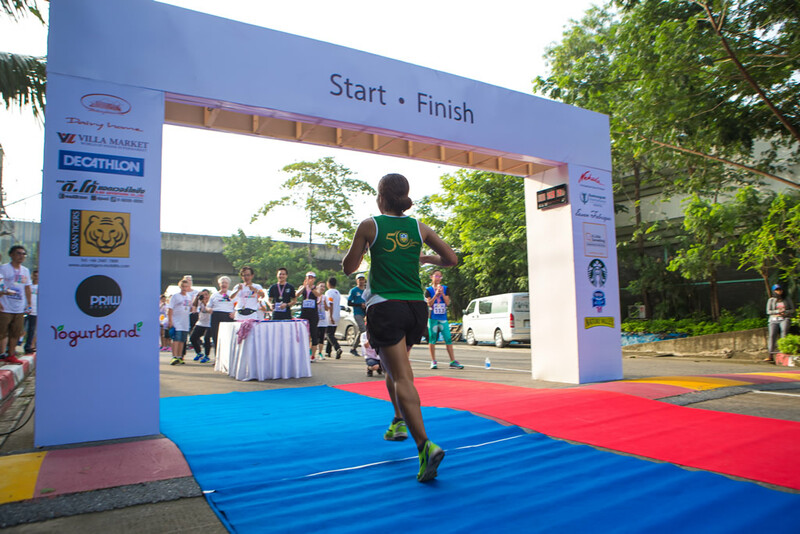 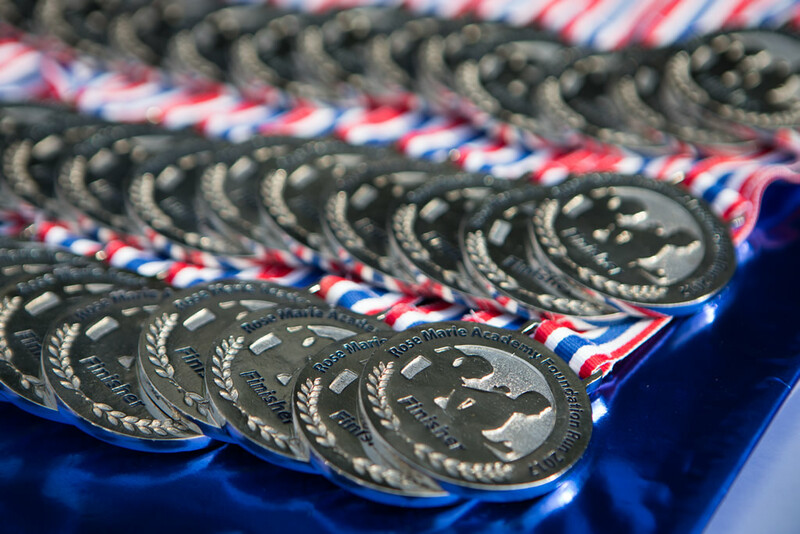 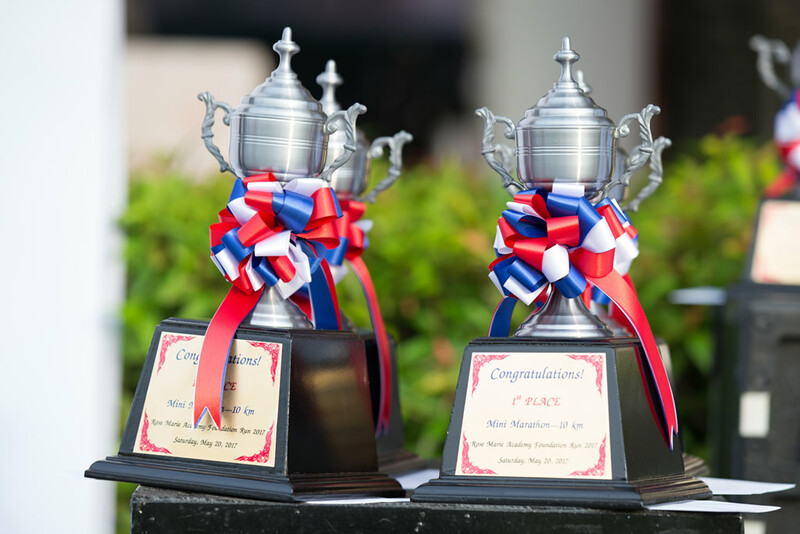 Trophies were awarded to the first three male and first three female finishers for the 10 kilometer Mini Marathon, followed by special prizes for the first male and female finishers of the 4 kilometer Fun Run. 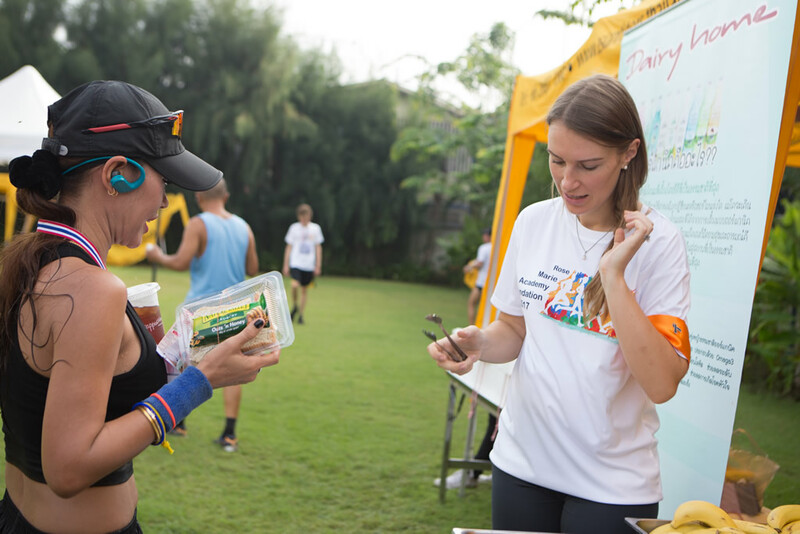 Participants enjoyed a healthy breakfast donated by our sponsors namely, Dairy home, Starbucks Coffee, Nature Valley, and Villa Market. 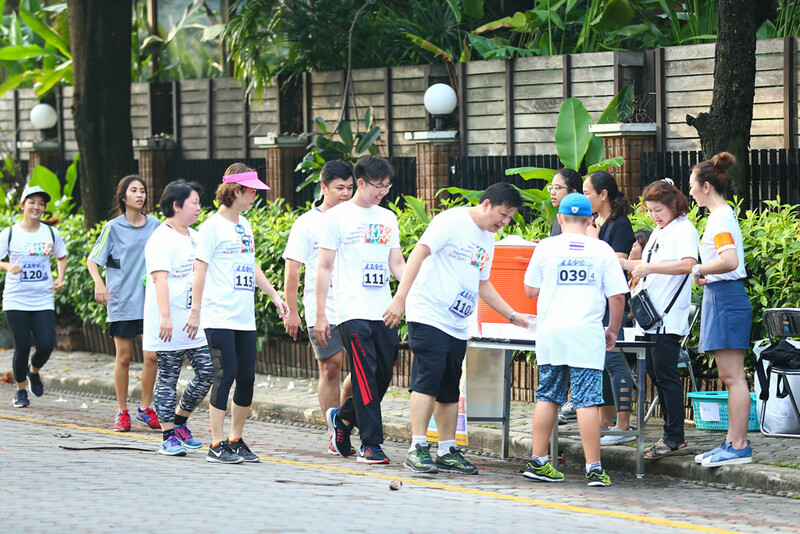 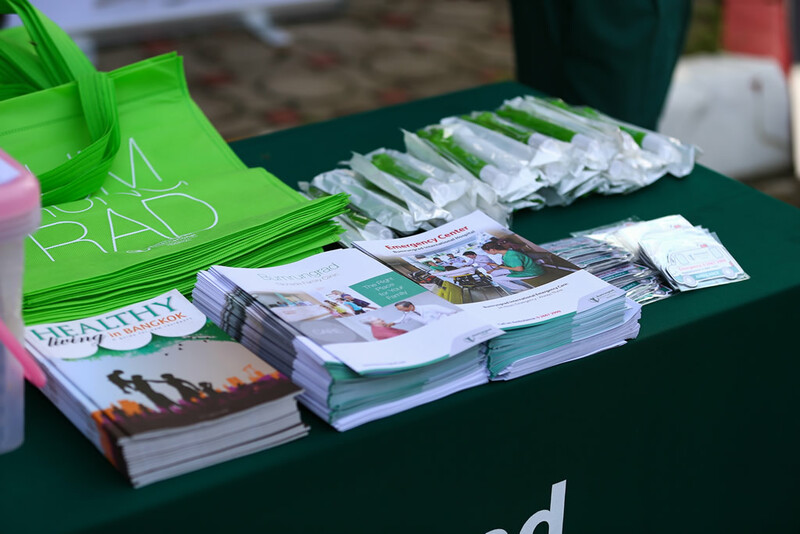 Many went home with lucky draw prizes donated by generous supporters of the charity run, which included a little something, Priw Studio, Yogurt Land, and Asian Tigers. 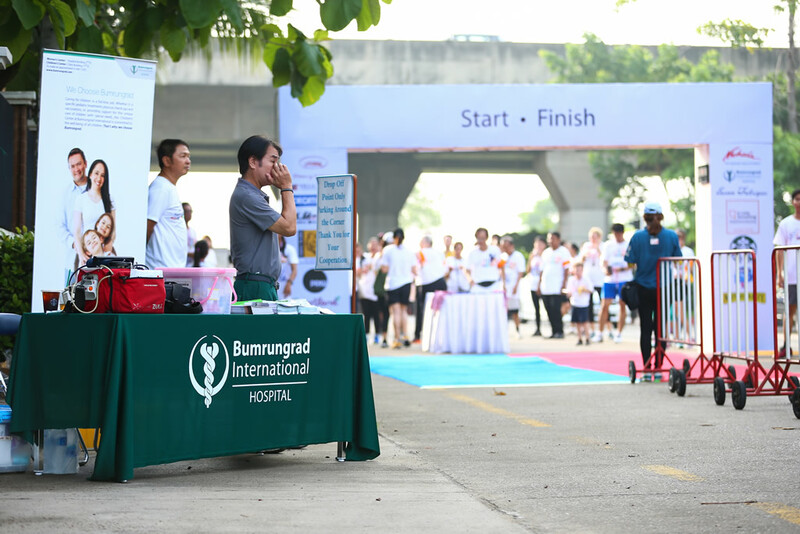 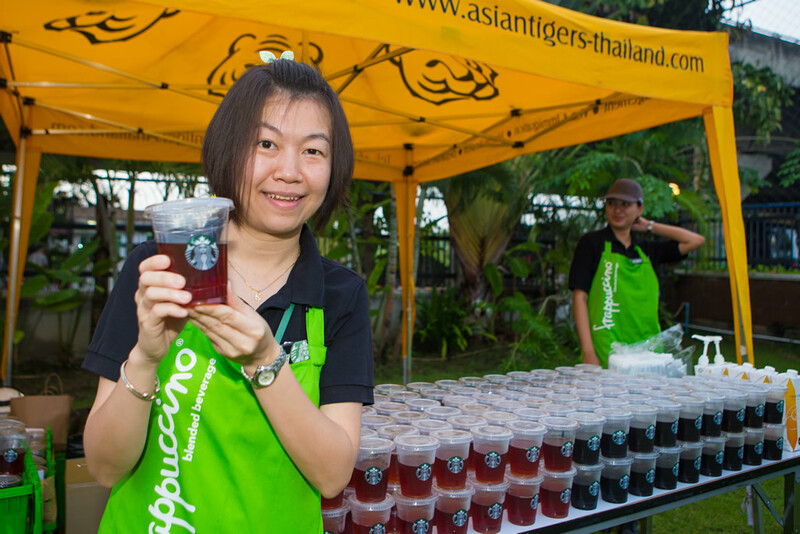 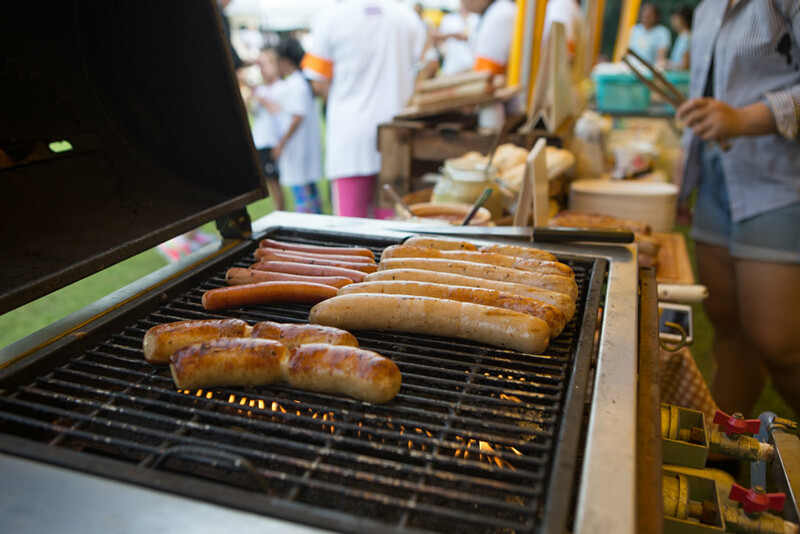 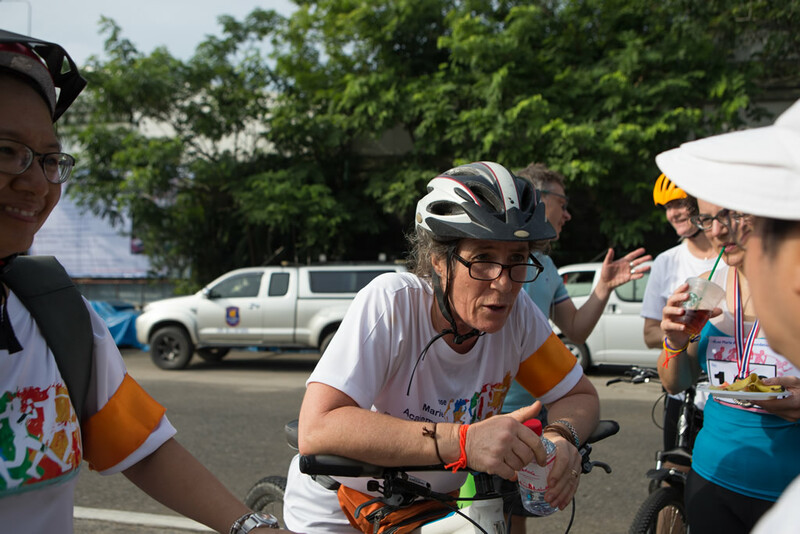 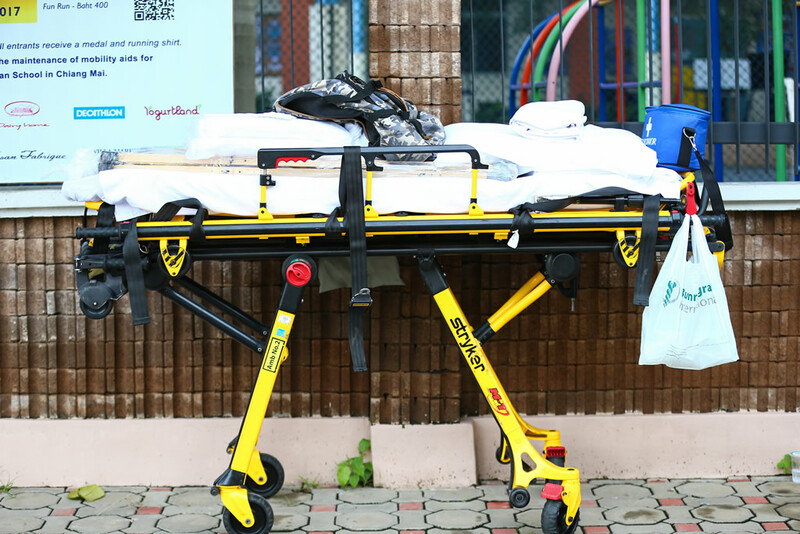 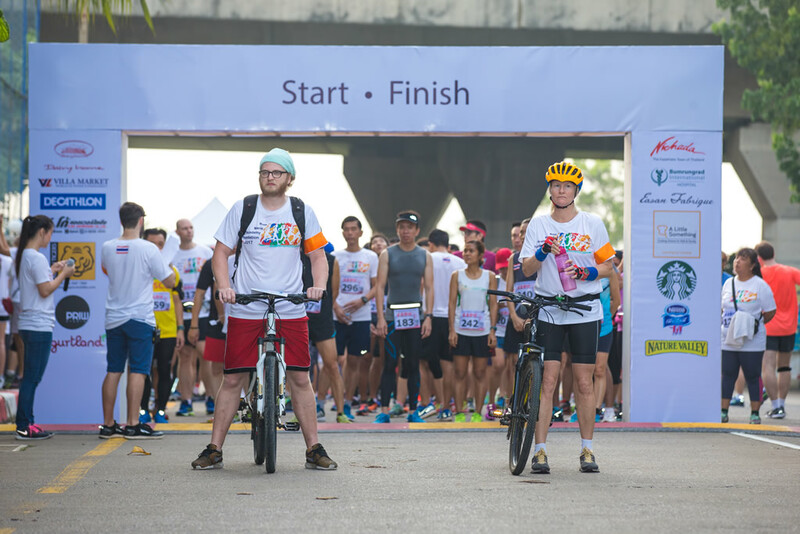 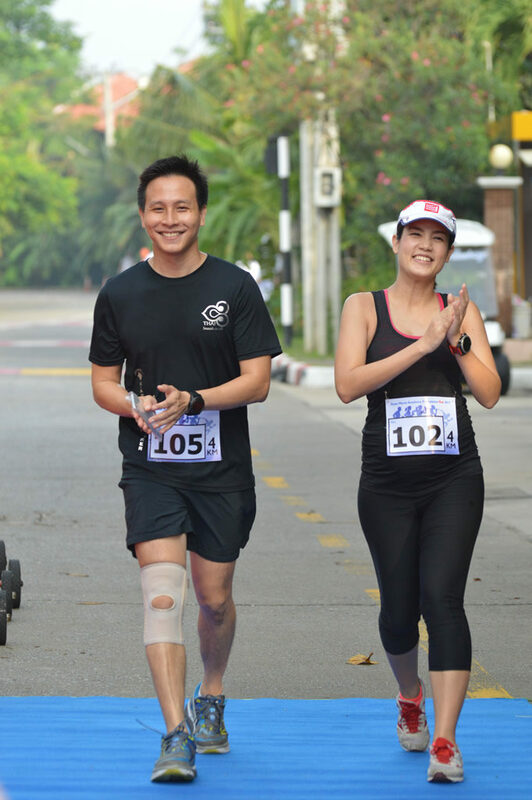 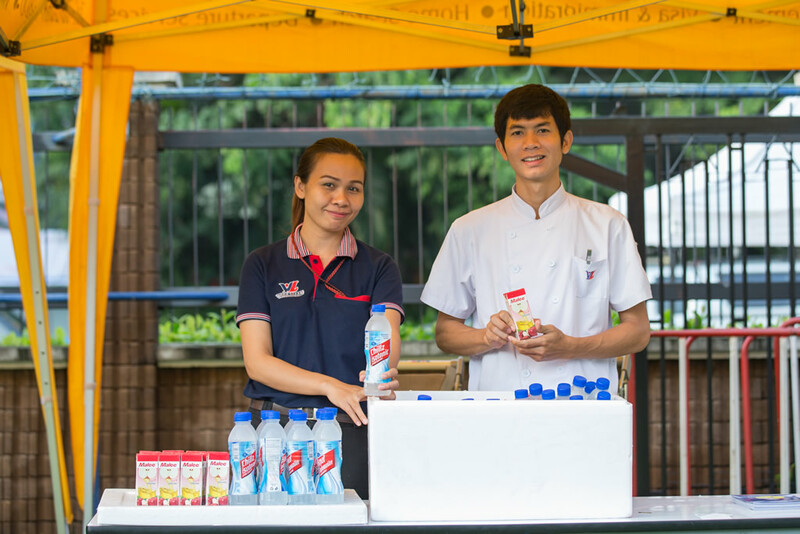 Proceeds from this event will go toward supporting the Maintenance of Mobility Aids for Disabled Students Project at Srisangwan School in Chiang Mai, which is the first of many charity projects planned to support the aims of the Foundation. 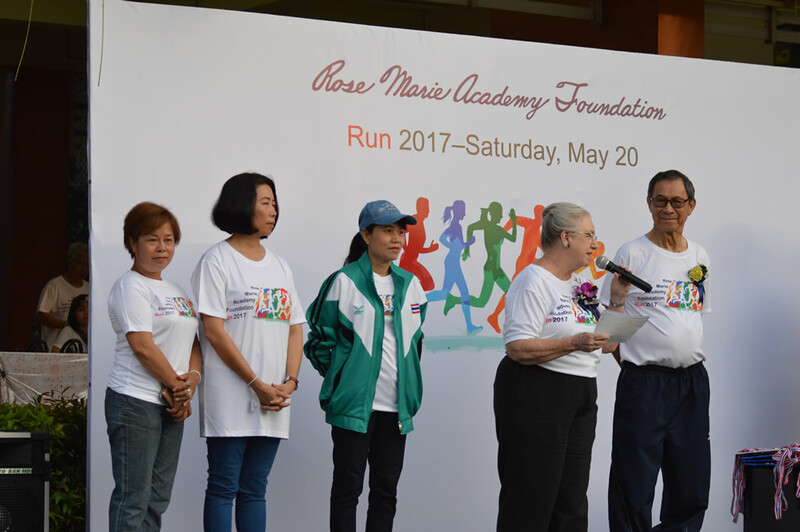 The Rose Marie Academy Foundation members would like to thank all runners, donors, participants, and volunteers for supporting this fund. 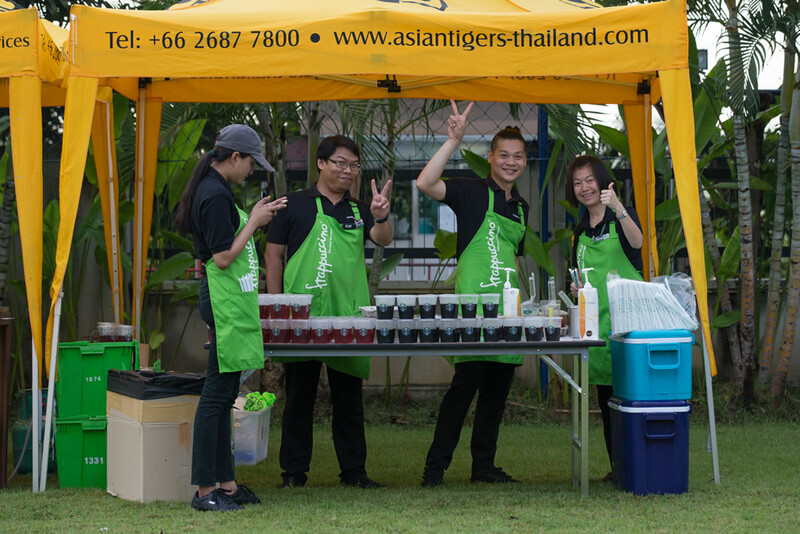 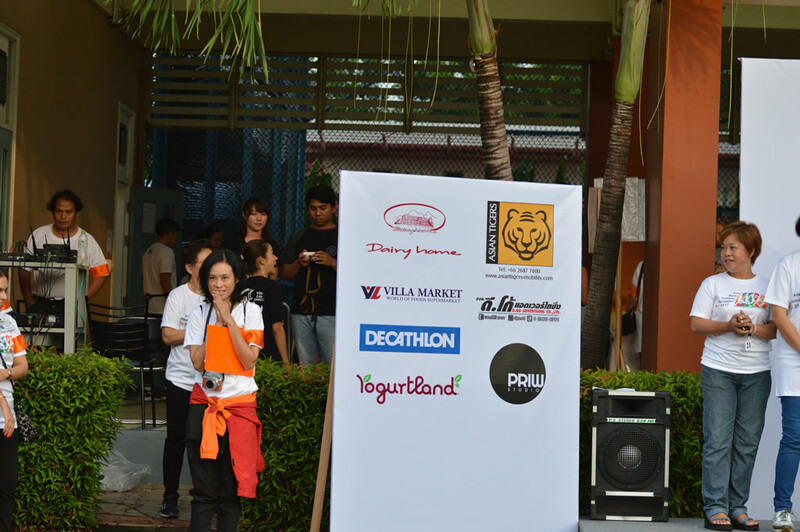 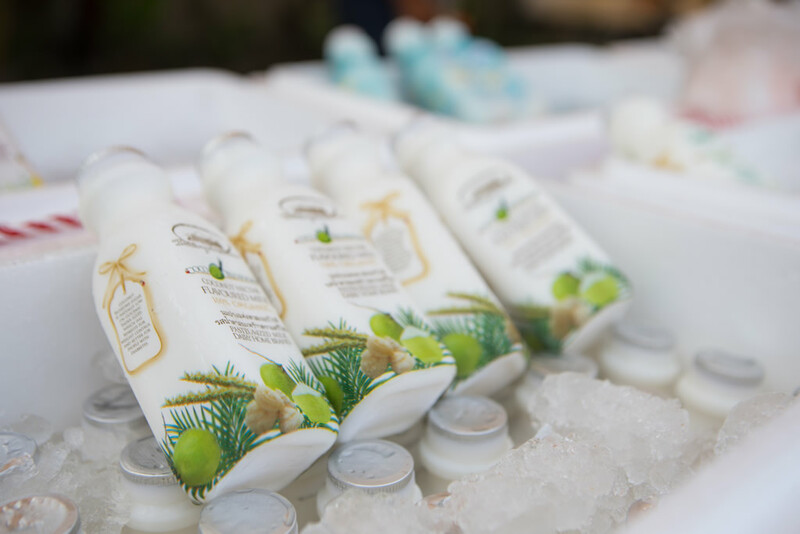 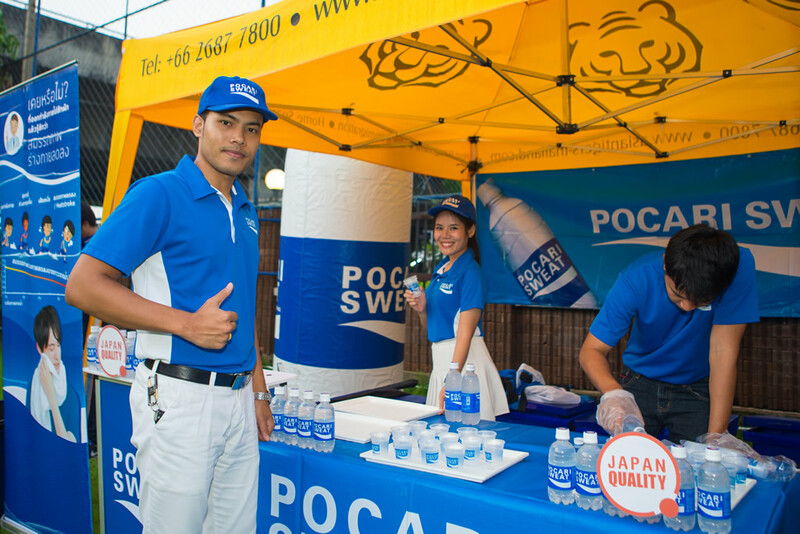 Our special thanks go to our generous sponsors: a little something, Asian Tigers, Bumrungrad Hospital, D.Go Advertising, Dairy home, Decathlon, Easan Fabrique, Nature Valley, Nestle Pure Life, Nichada Thani, Priew Studio, Starbucks Coffee, Villa Market, and Yogurt Land. 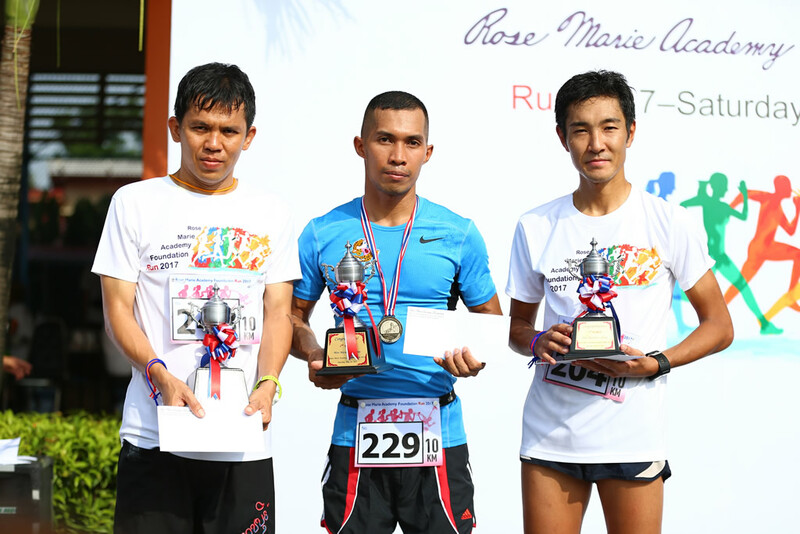 To review runners’ time record, please visit…..